In today’s video, I review Vishy Anand’s win over Levon Aronian from the 2016 Candidates Tournament in Moscow. 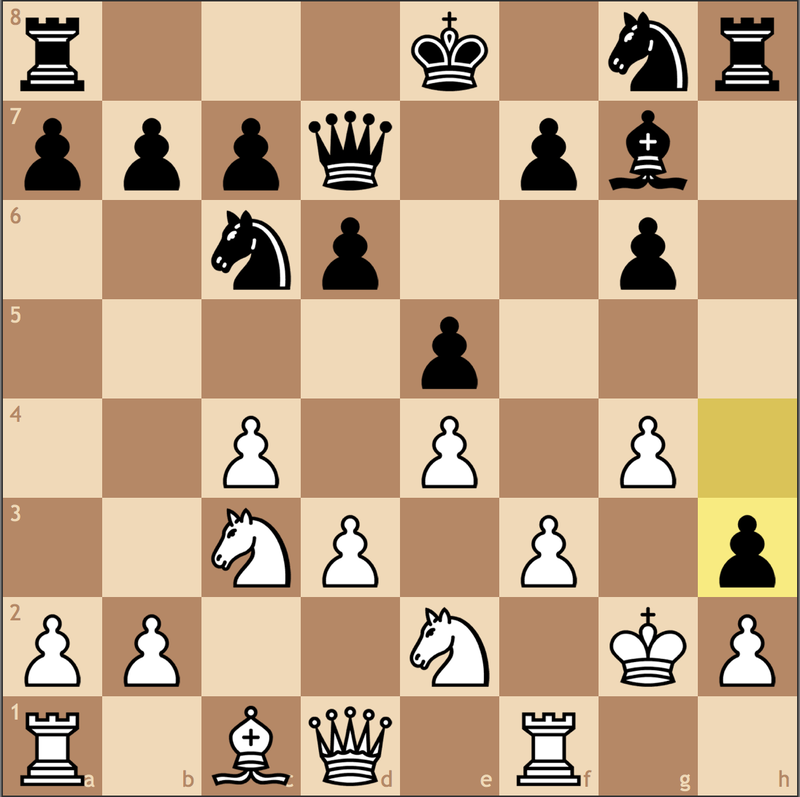 While everyone will be discussing Giri’s missed chance against Caruana, a lead change this late into the tournament cannot be overlooked! I haven’t done a Free Game Analysis post in a while, so I was extremely pleased to get two game submissions this week from tournaments in both Pittsburgh and Washington, D.C. 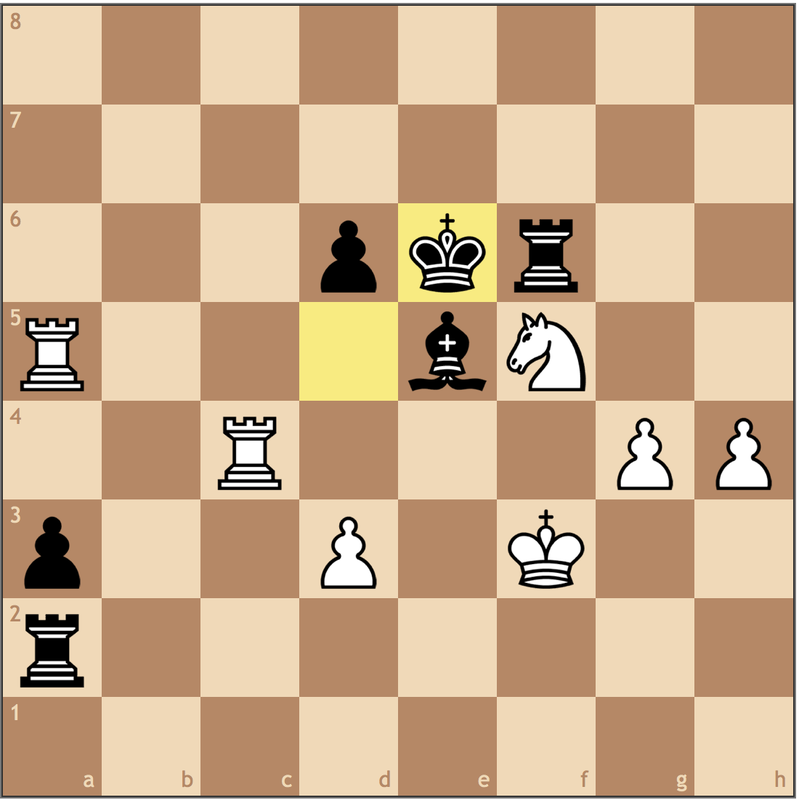 If you too would like to have your game analyzed for free by me, send your game PGNs to chess.summit@gmail.com! Our first game is from Joe P’s last round of last week’s Pittsburgh Open. Joe scored 3.5/5 in the U1800 section, and saw a rating boost of 71 points to break 1600! Congrats Joe! Instinctively, I don’t like this move. 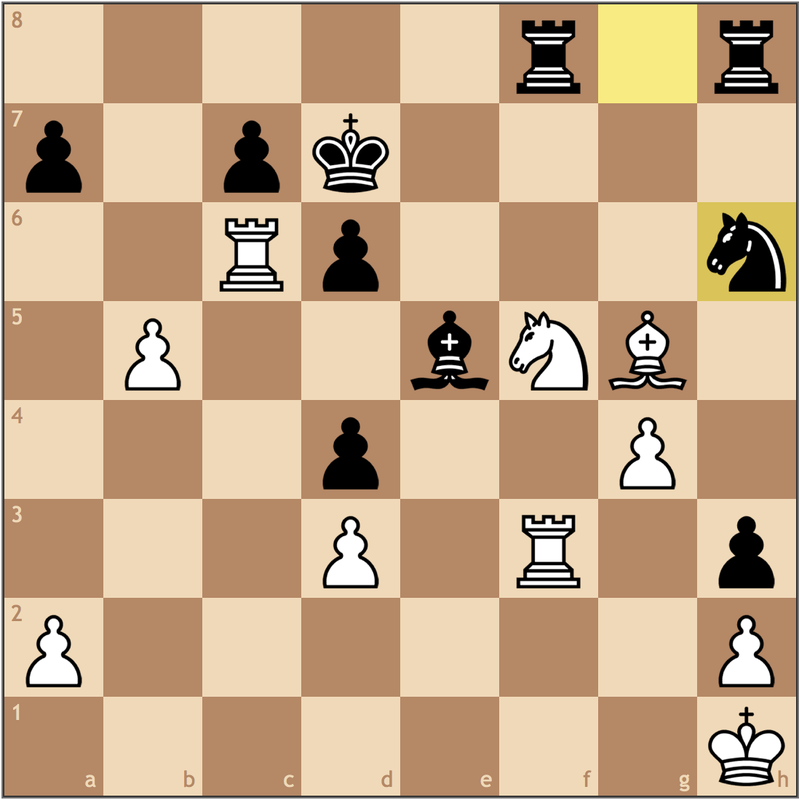 Black moves the knight a second time and it’s not quite clear what the compensation is. 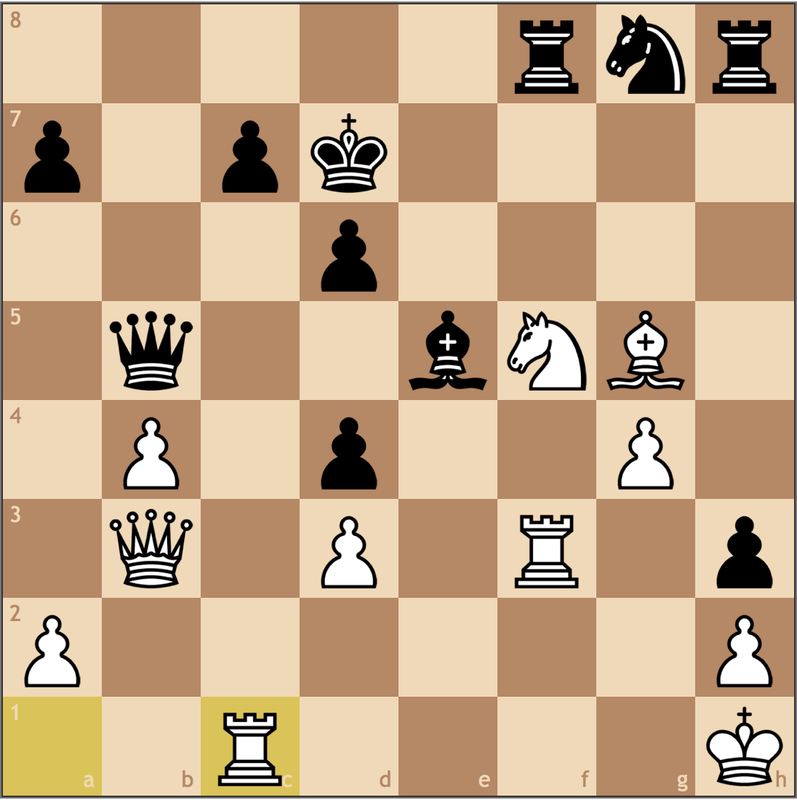 Attacking the c4 pawn and provoking White to push it to c5 gives White a space advantage, with Black’s knight forced to move once again. So what should Black do instead? 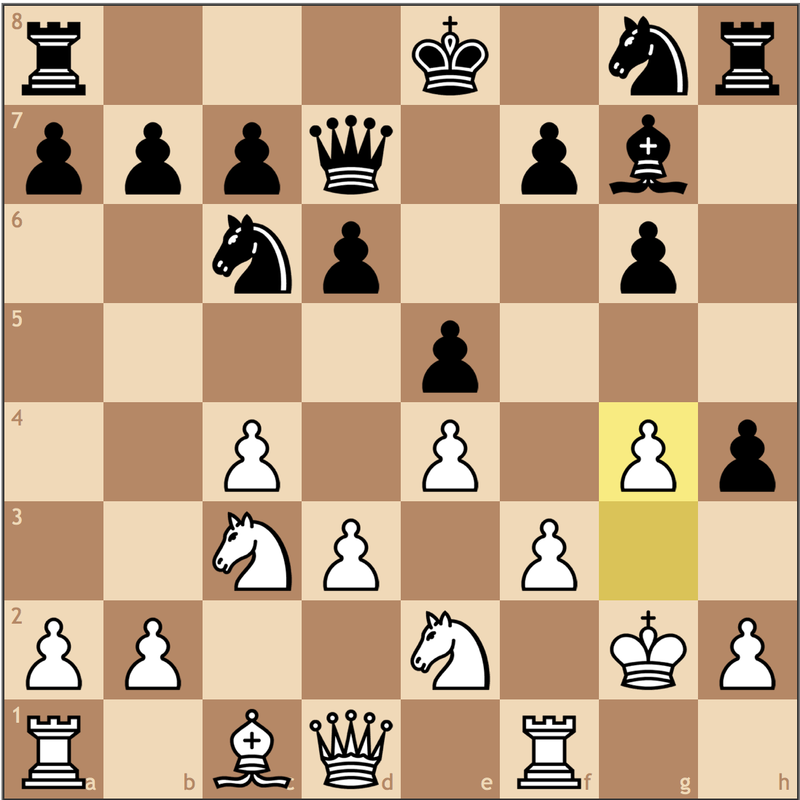 The main lines in this position are 6…0-0 and 6… c6 with the intention of keeping a closed position, and standard QGD play. While there’s nothing objectively wrong with this, Black doesn’t score very well at the top level. 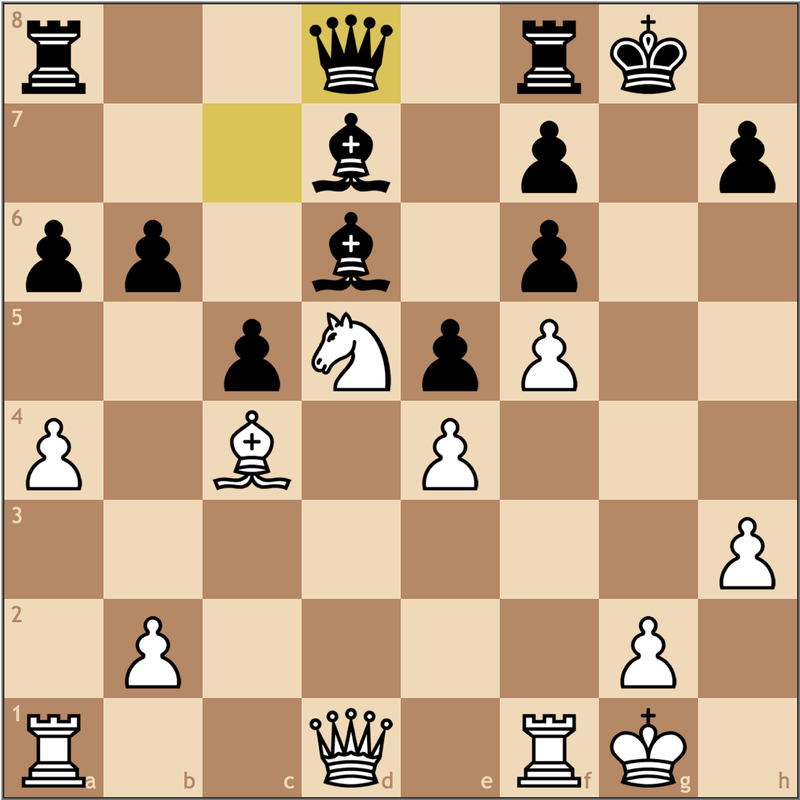 With this quick look in ChessBase’s free online Mega Database, Black only has two decisive games in the position after 6… 0-0 7. Rc1. If you look at some of the names, strong players like Sargissian, Naiditsch, and Kryvoruchko all lost to lower rated players in this line. 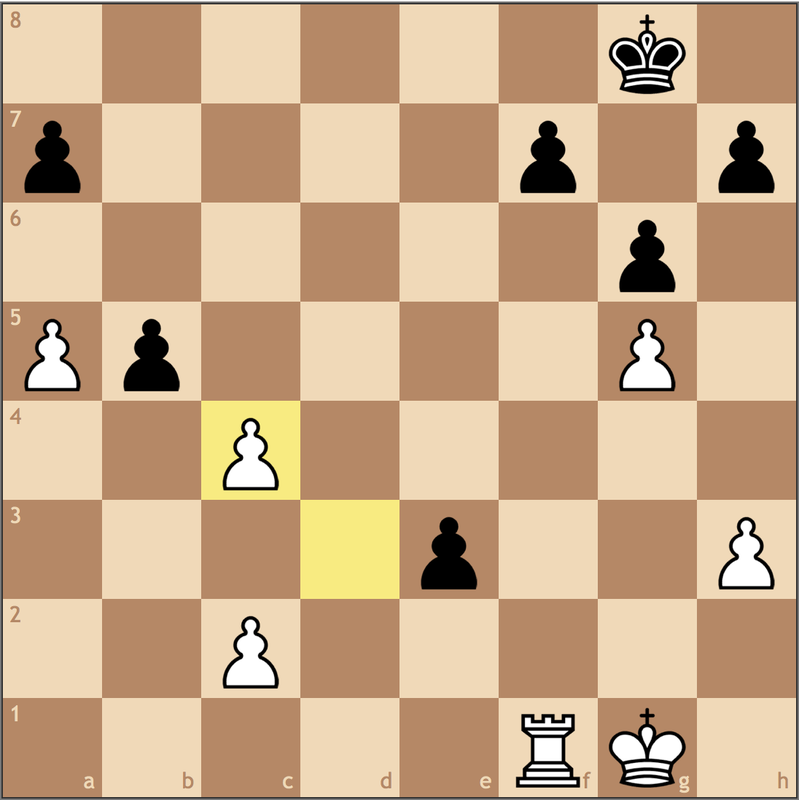 Black’s relative passivity in this line makes life tough for Black, which is why I’m going to recommend the much more active set-up in the Ragozin. 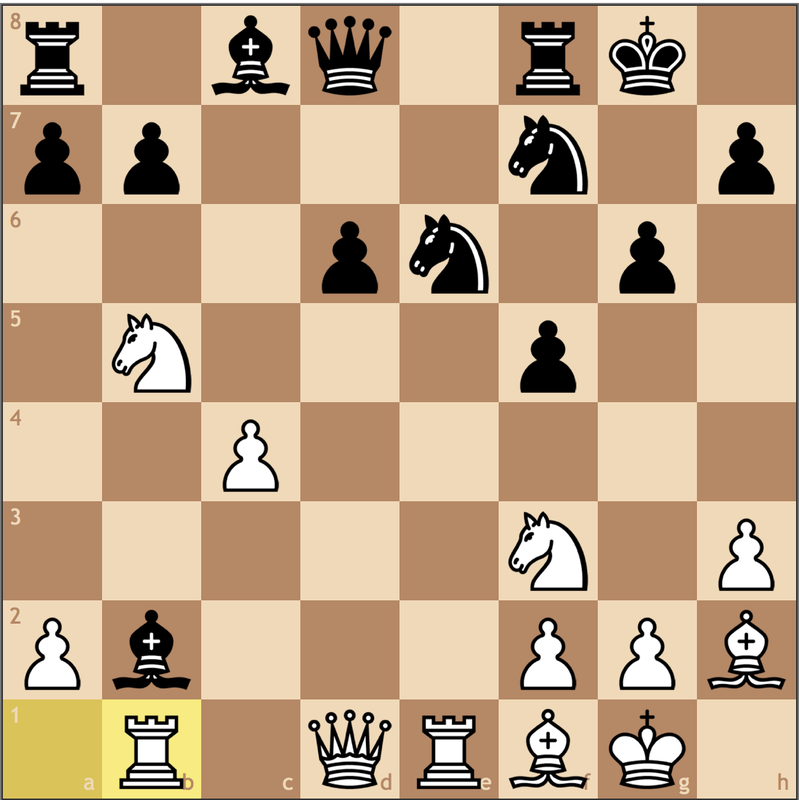 Putting the bishop on b4 instead of e7 gives Black alot more flexibility and space, and while there is plenty of theory, it’s clear that Black can play for a win in the opening. This position gives Black a little more life. 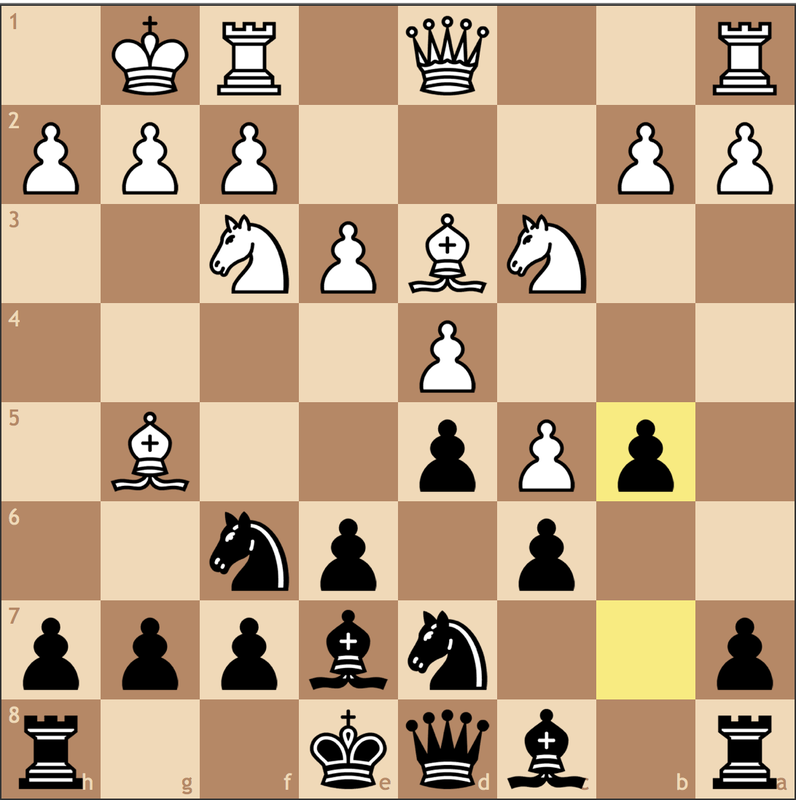 It’s important that this isn’t a true Ragozin, since Black usually keeps the option of playing …Nb8-c6 open, meeting Bg5 with …h7-h6. 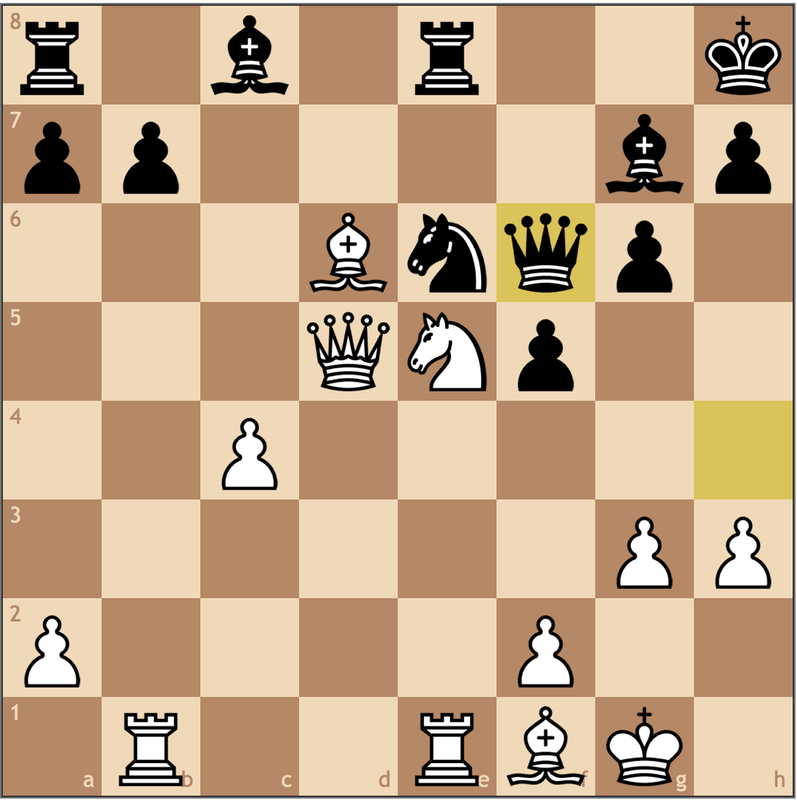 7. c5 Nbd7 8. Bd3 c6 9. O-O b5? A strategic error! With this push, we reach a padlock structure (check out the idea here). 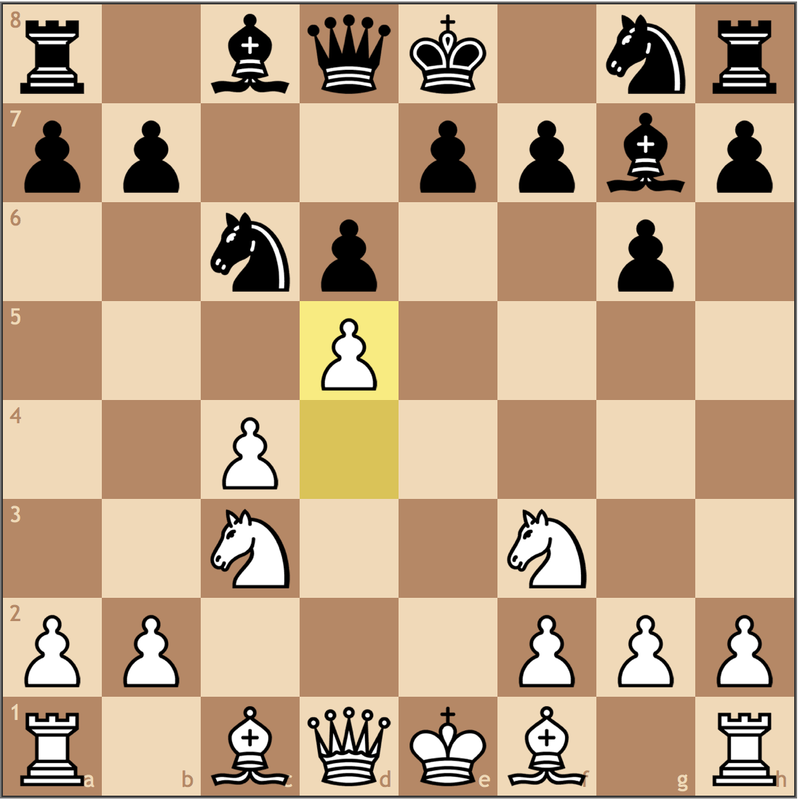 By reaching this kind of position, Black shuts down his own queenside counterplay, meaning that White is the only side that can press for the initiative. 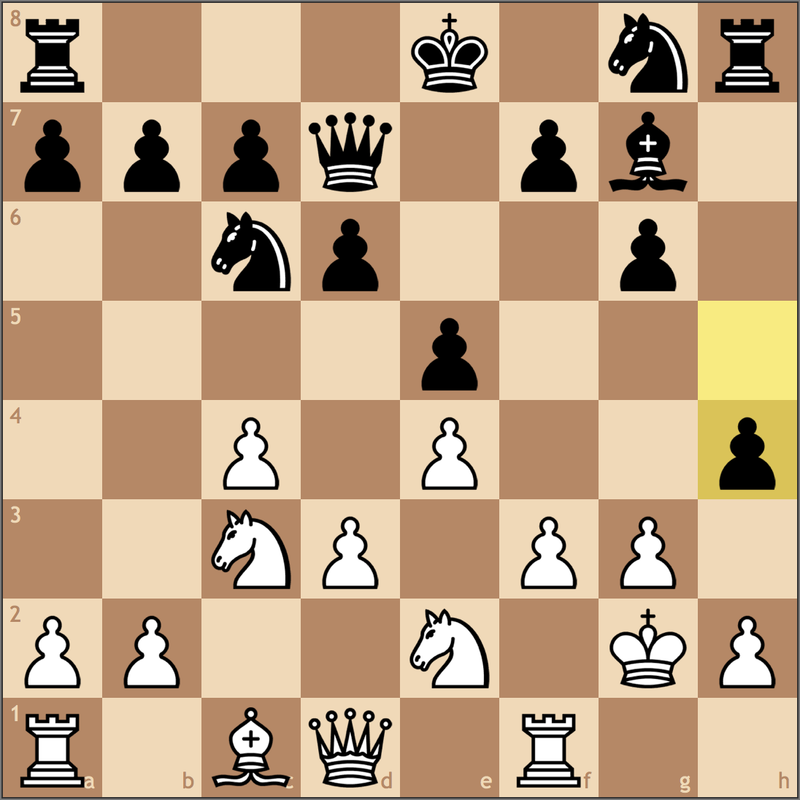 Think about it, if Black gets a pawn on b3, White can meet it with a2-a3, and if Black reaches a3, b2-b3 will shut down the queenside. 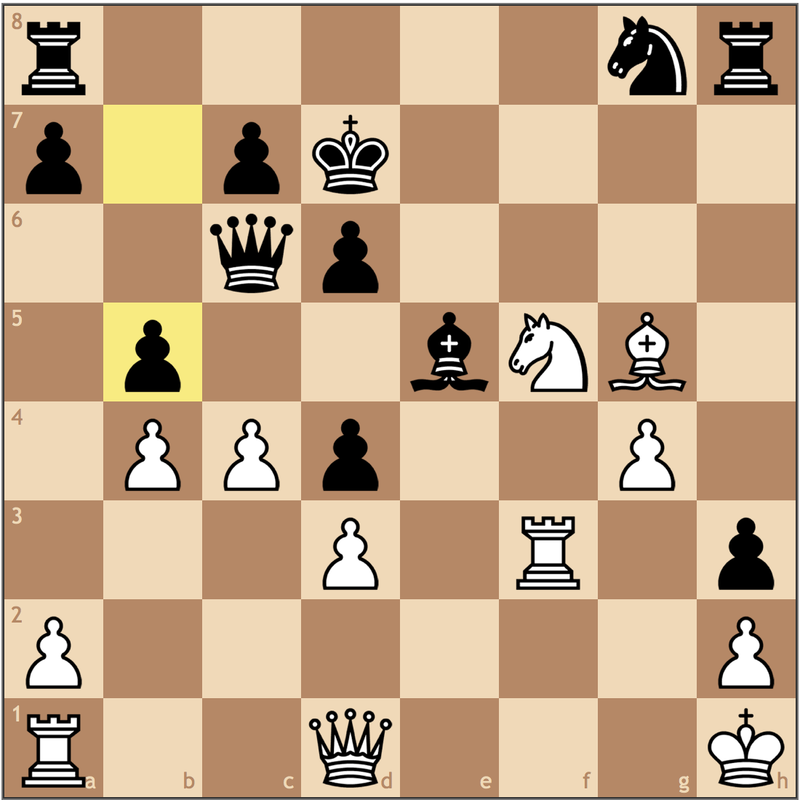 Furthermore, if White does nothing, Black now has a very bad bishop on c8. 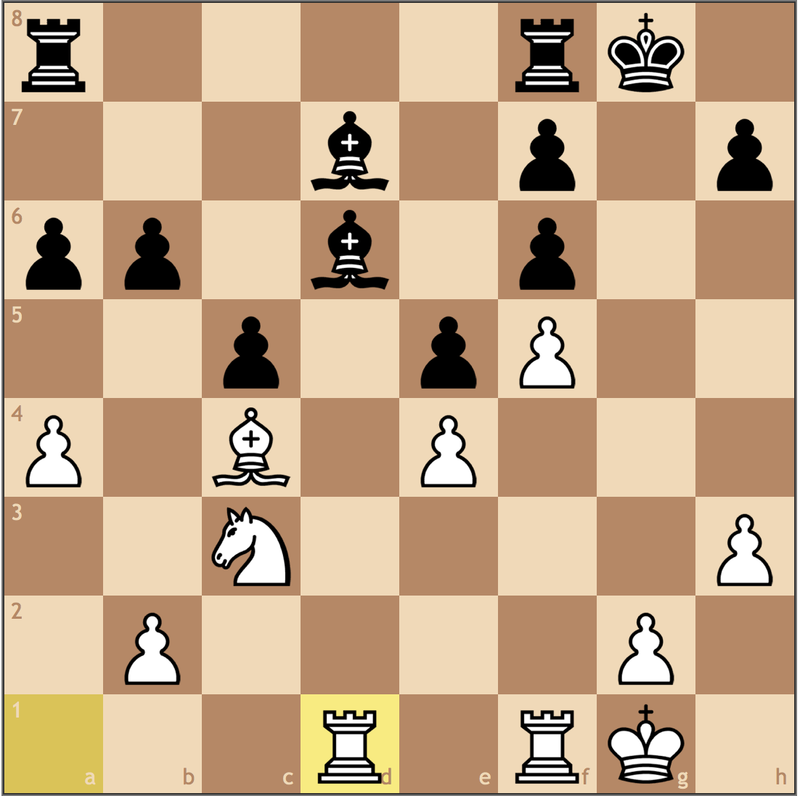 Much better was 9… b6, putting pressure on the c5 pawn, while making the b7/a6 squares available for the c8 bishop to clear the way for a rook. 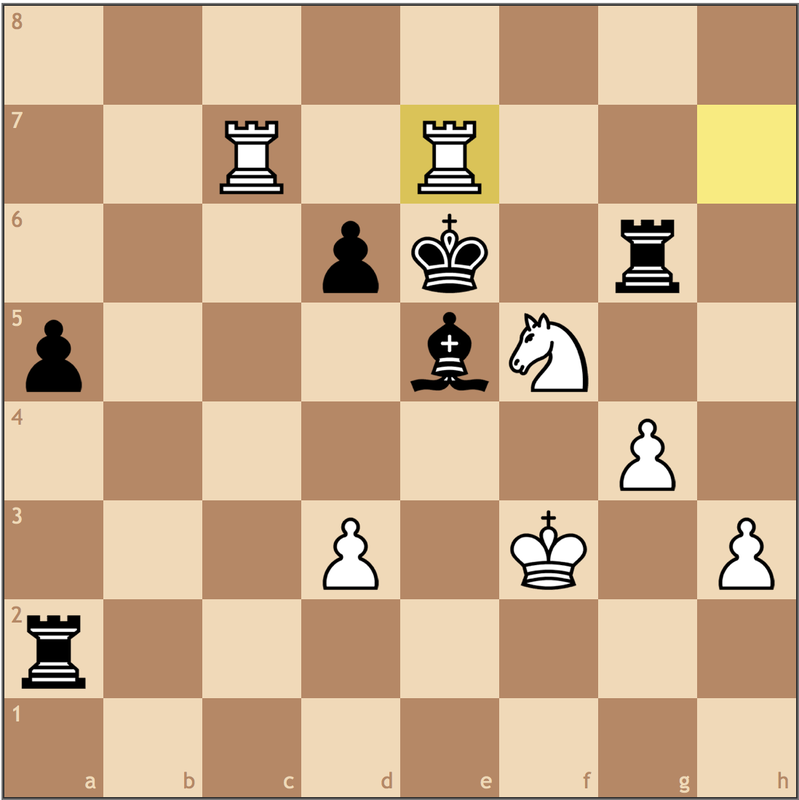 This move justifies Black’s play. 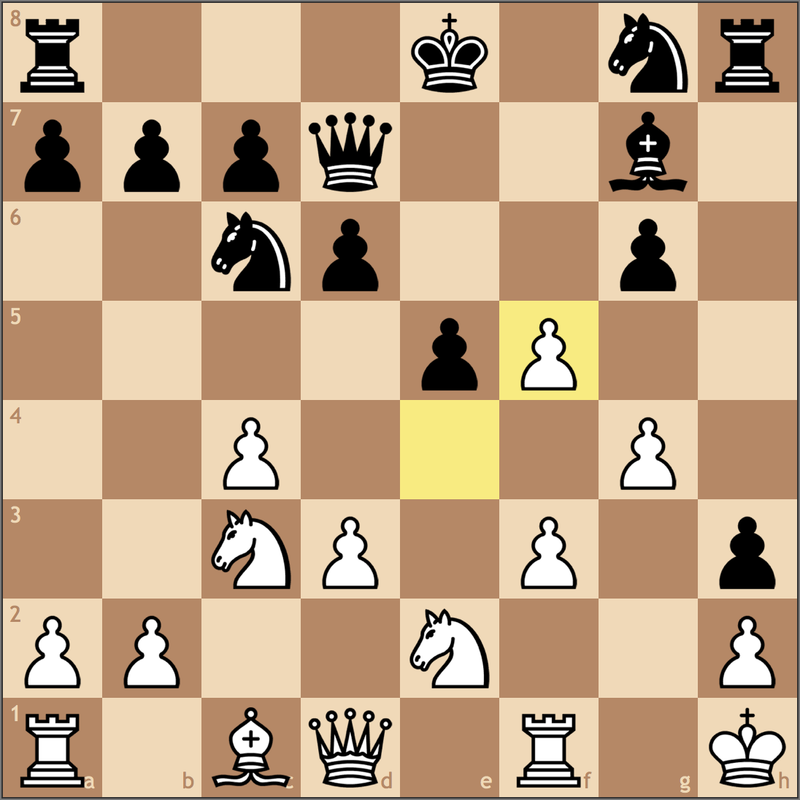 Now when Black recaptures on b6 with the a-pawn, Black will have dynamic chances with a …c6-c5 push, as well as pressure on the a2 pawn. This brings us back to the importance of statics and dynamics. 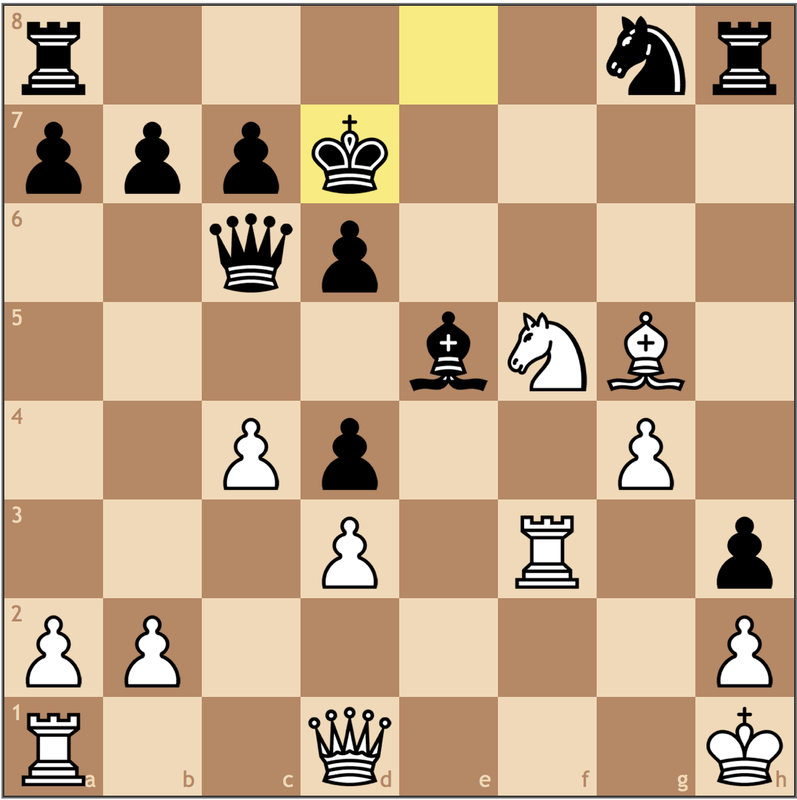 Just a move ago, White was statically better, and could simply improve his own position. 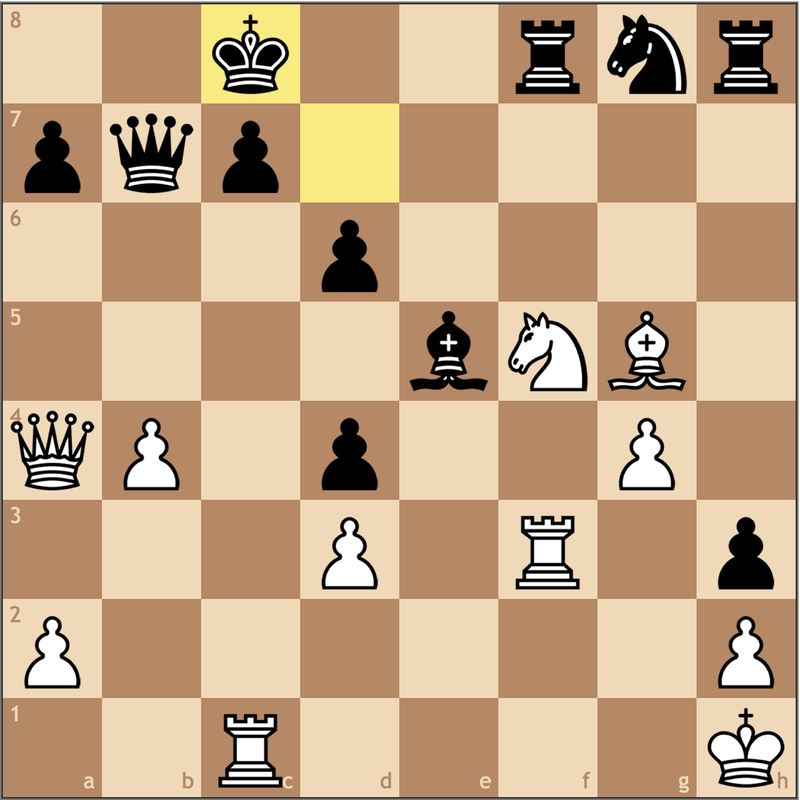 However, by changing the structure and taking a dynamic measure, Black’s resulting position is vastly improved. To learn more about static play, make sure to check out my October Article! A practical decision. 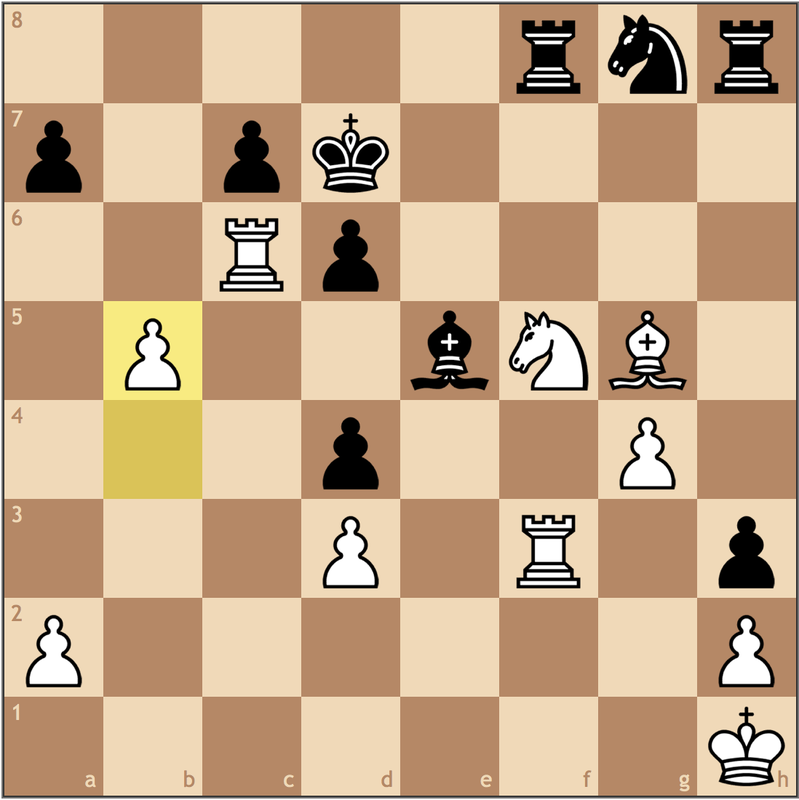 Here Black trades off the light squared bishops, getting rid of his worst piece. 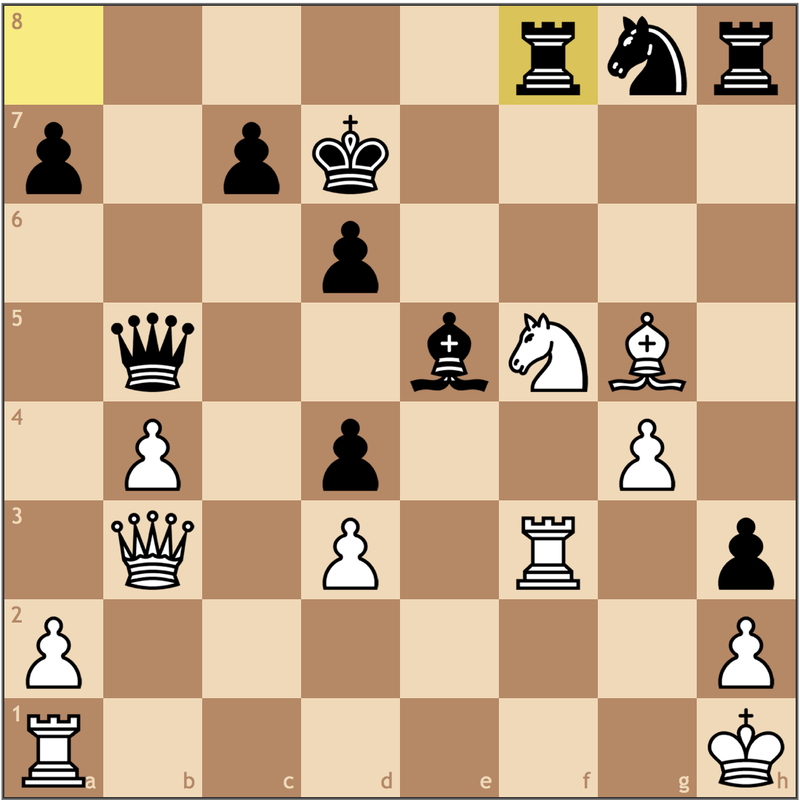 Furthermore, this reduces White’s ability to defend squares like e4 and c4. Let’s see if this becomes an issue. Well the typical recapture would be with the knight, right? Maybe, but I like this better. 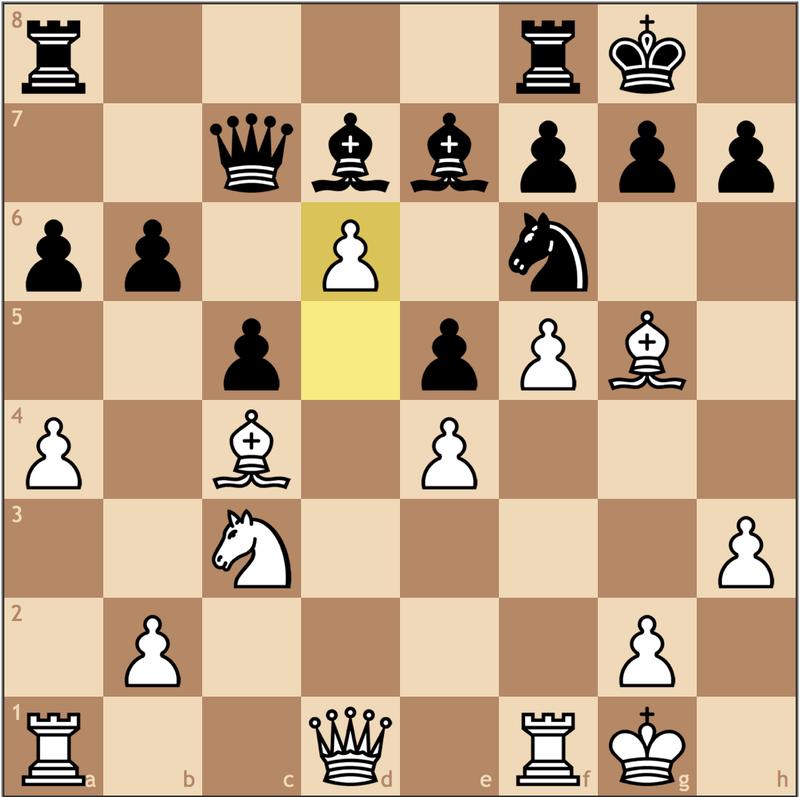 If Black can play …c6-c5, he can put even more pressure on d4 with a bishop on f6. 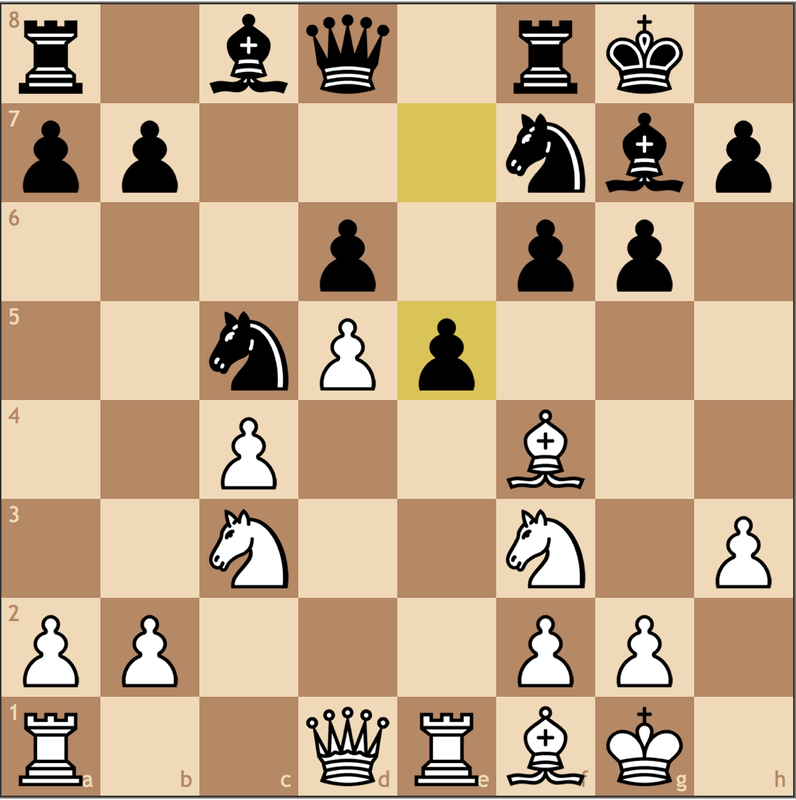 From d7, Black’s knight not only controls e5 and c5, but safeguards the weak pawn on b6. 16. Ne2 c5 17. dxc5? 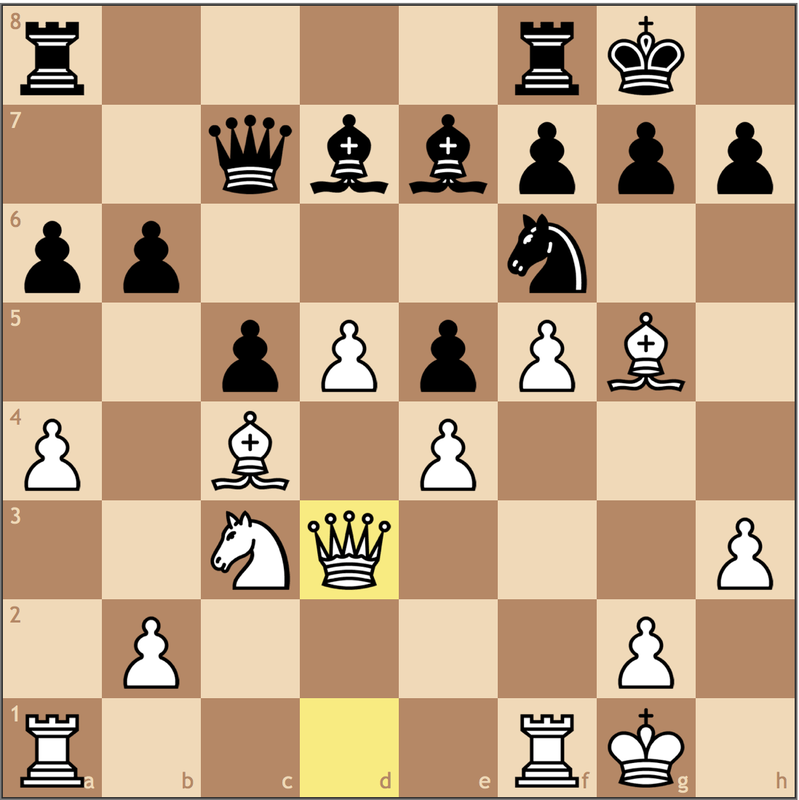 One thing I’ve discovered about lower rated play is that less experienced players HATE structural tension. 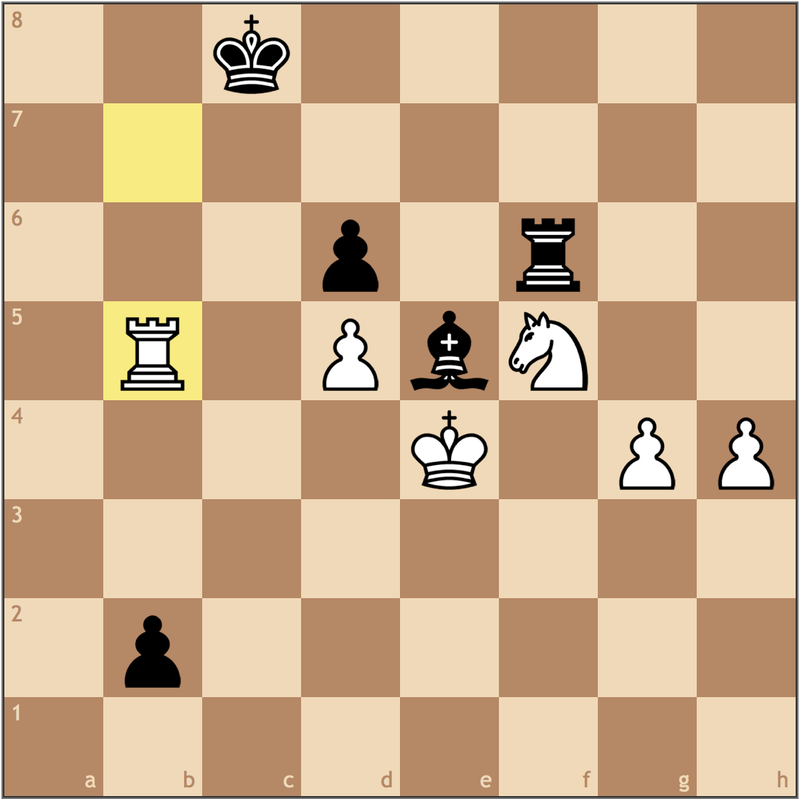 In this case, Black’s bishop is opened (even with a quick cheap shot on b2!) 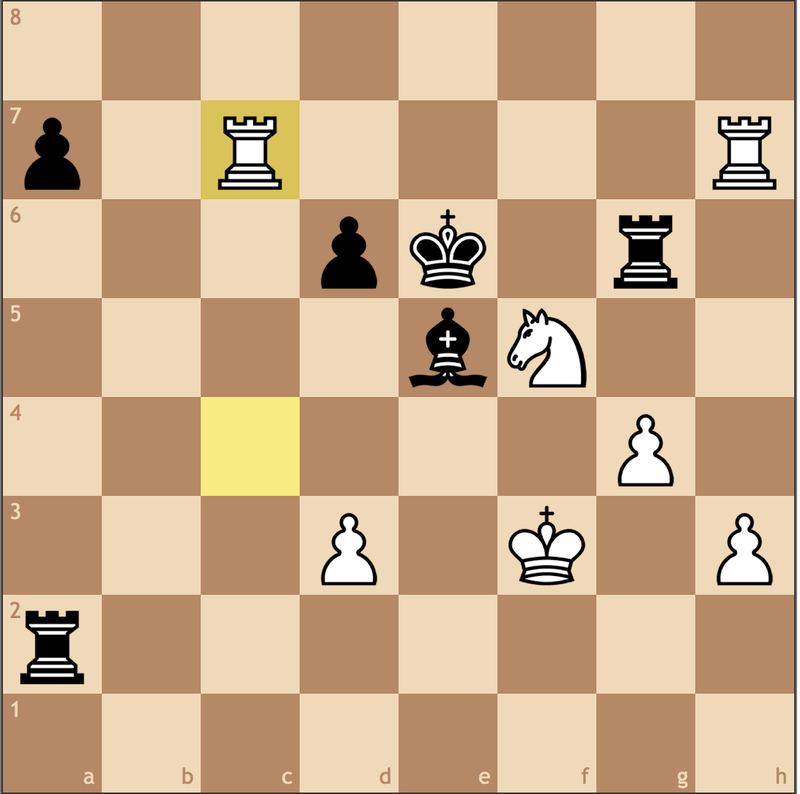 and he trades off his last weak pawn, b6. 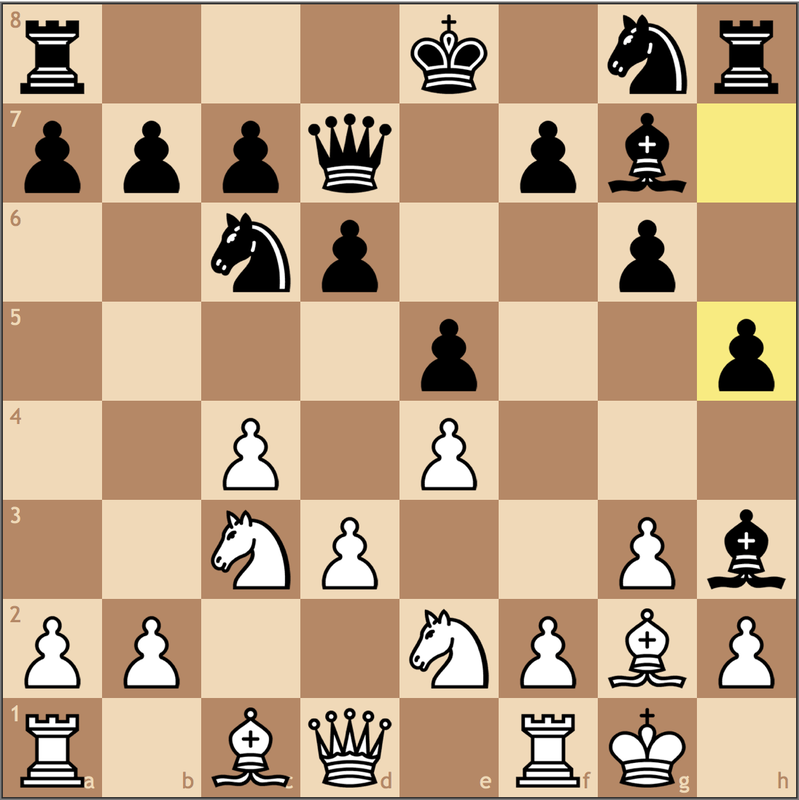 Much better was 17. b3, preventing …c5-c4. I’m not quite sure what White intends with his knight on e2, since it doesn’t exactly have many great squares. 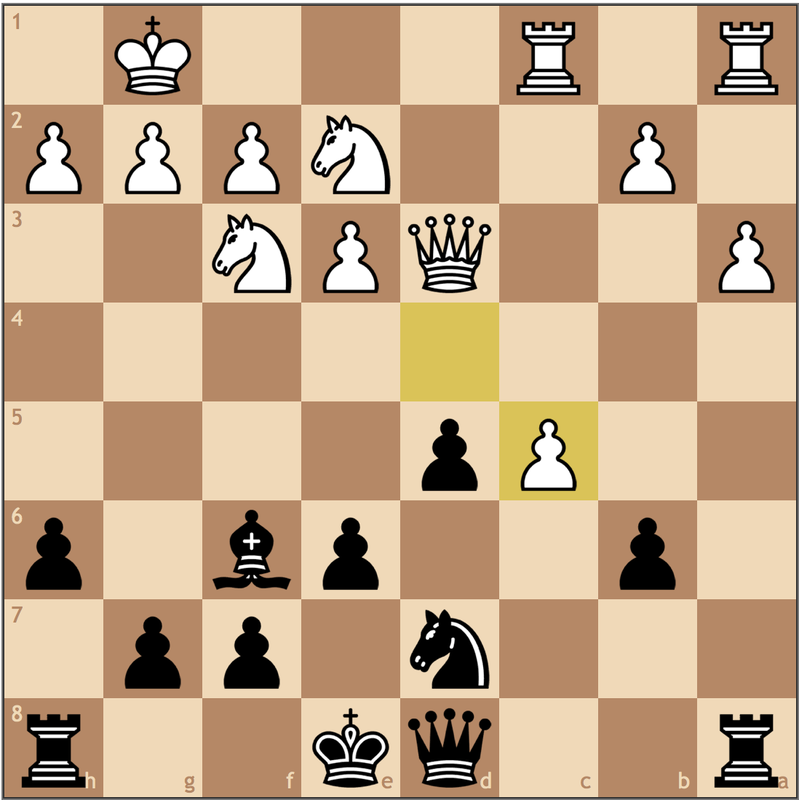 Black is clearly better here but had to make a lot of precise moves to hold on to the advantage. Sure, being able to see this line would have been nice, but not being able to clearly see the right continuation and taking on c5 instead is the much more practical choice. 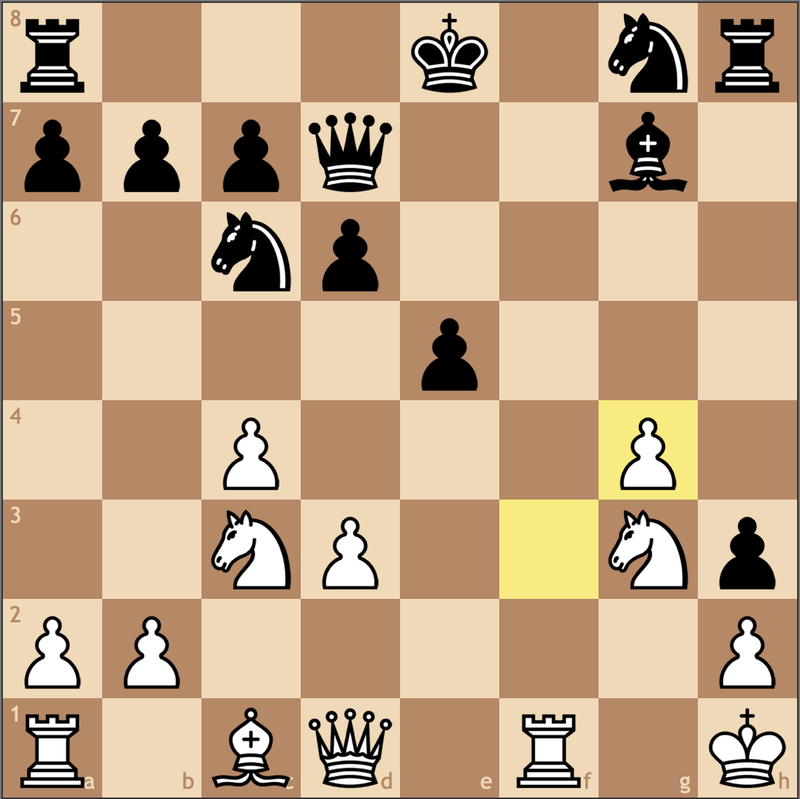 This move isn’t exactly precise, as White’s idea is at some moment to push b4 and rid himself of this weak b2 pawn. 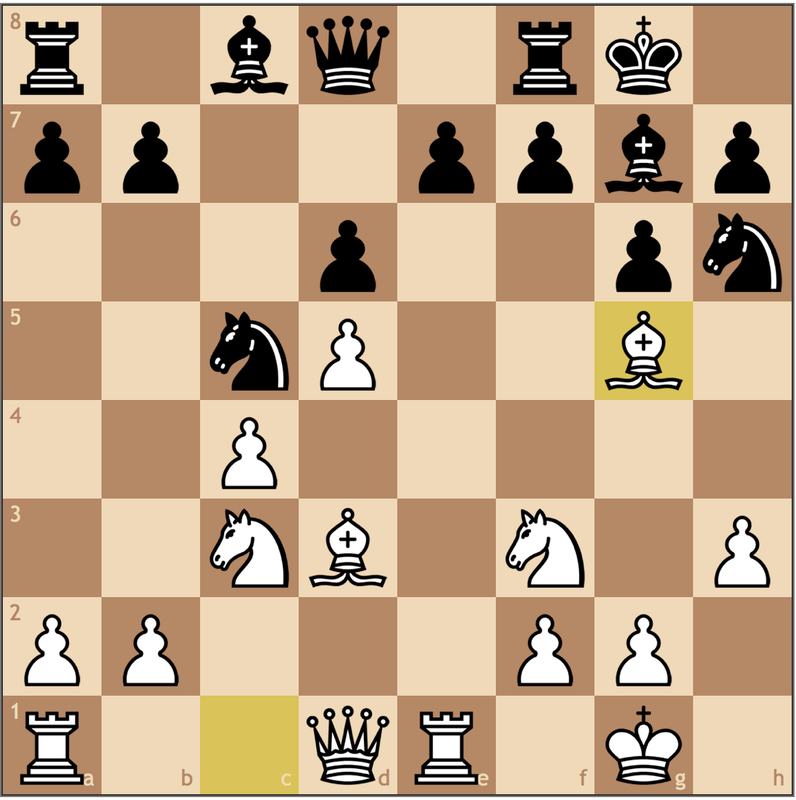 Rather than checking an engine for the best line here, I encourage you to ask yourself how to limit White’s play. 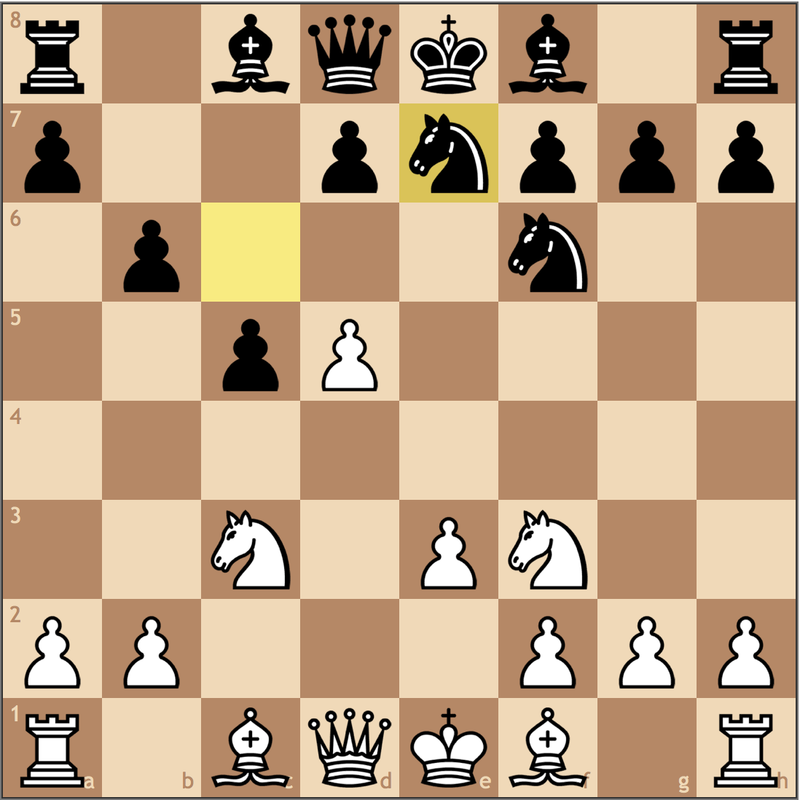 If you found 18… c4!, then you’ve found the best way to take control of the position. 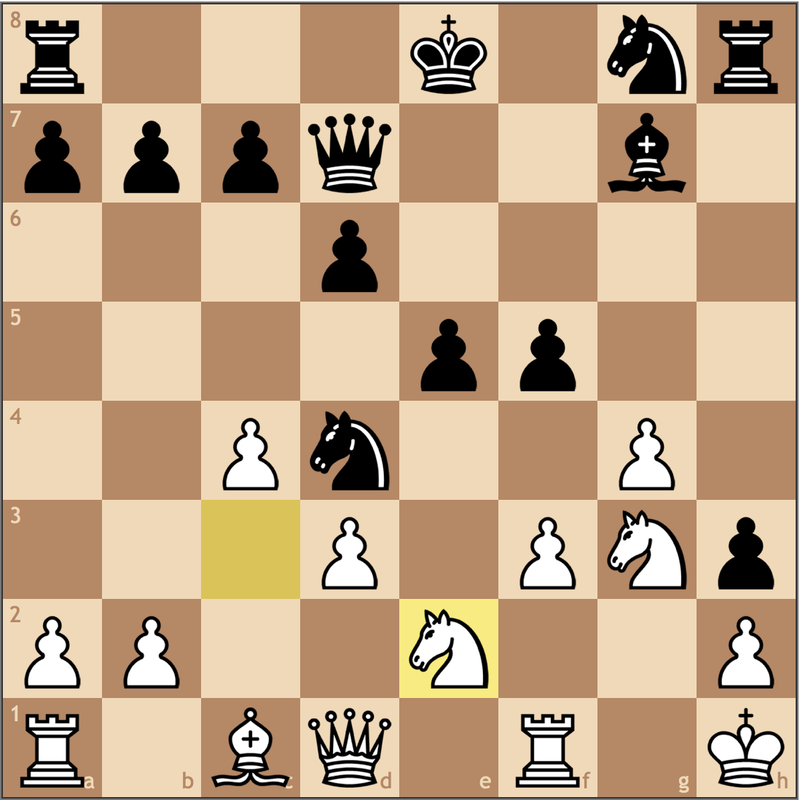 Black’s knight will move to c5 with nice options on b3 and d3, and it’s White who must find ways to break out of his shell. 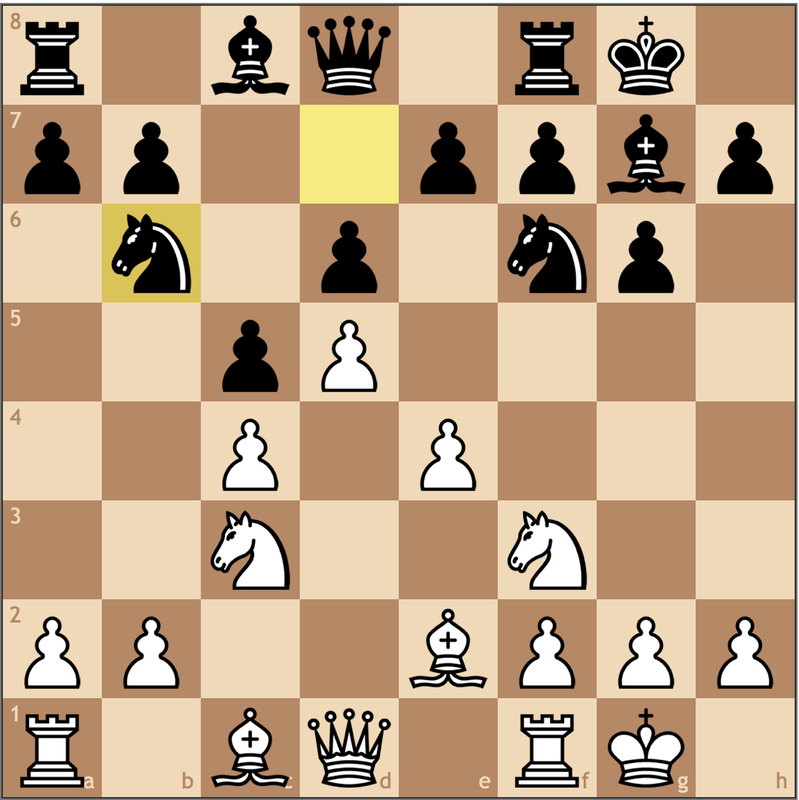 This knight does a lot of dancing over the next few moves, watch it jump on its quest to nowhere… White really needed to keep the knight on the queenside, since that’s where the battle is being fought. 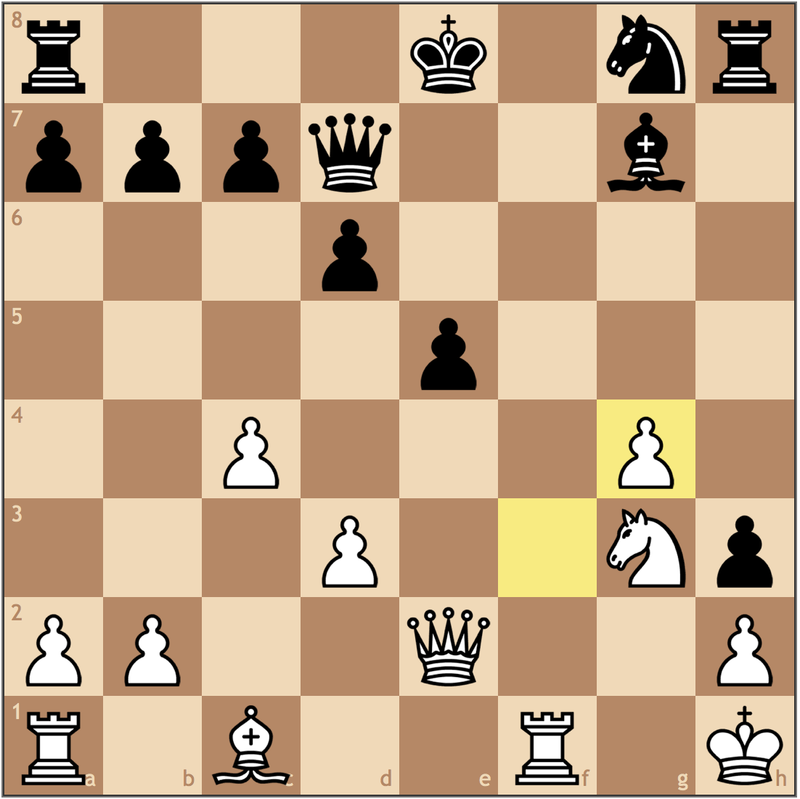 I’m not a fan of this move, as Black’s knight on d7 does a lot more than White’s. 19… 0-0 was the computer move, but 19… h5?! 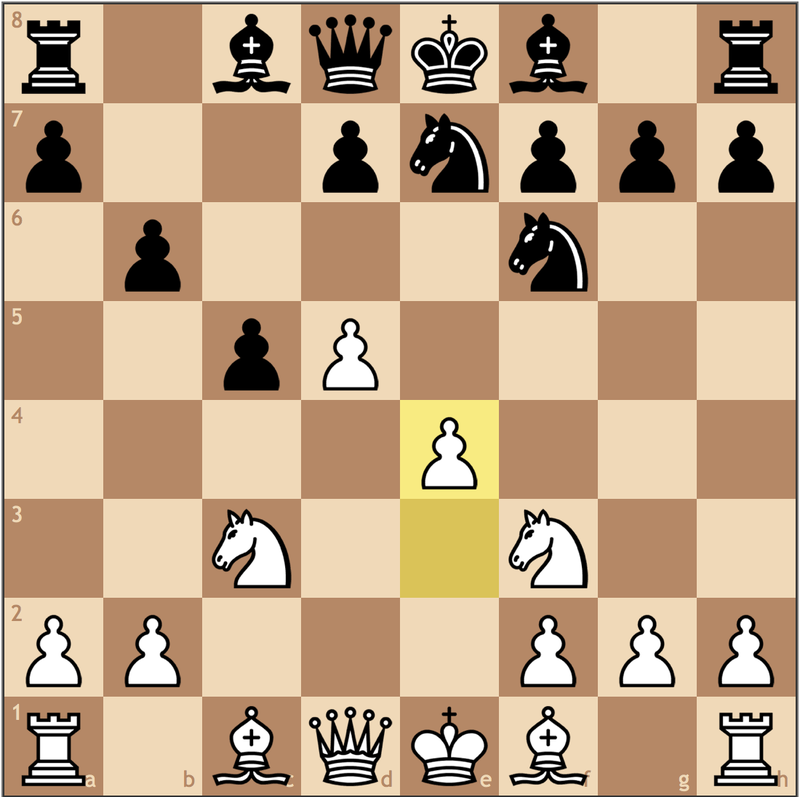 is an interesting alternative, with the idea of marching the h pawn down the board to attack. 20. Nxe5 Bxe5 21. Qe2 O-O 22. Nf1 Rfb8 23. Nd2 Bd6? 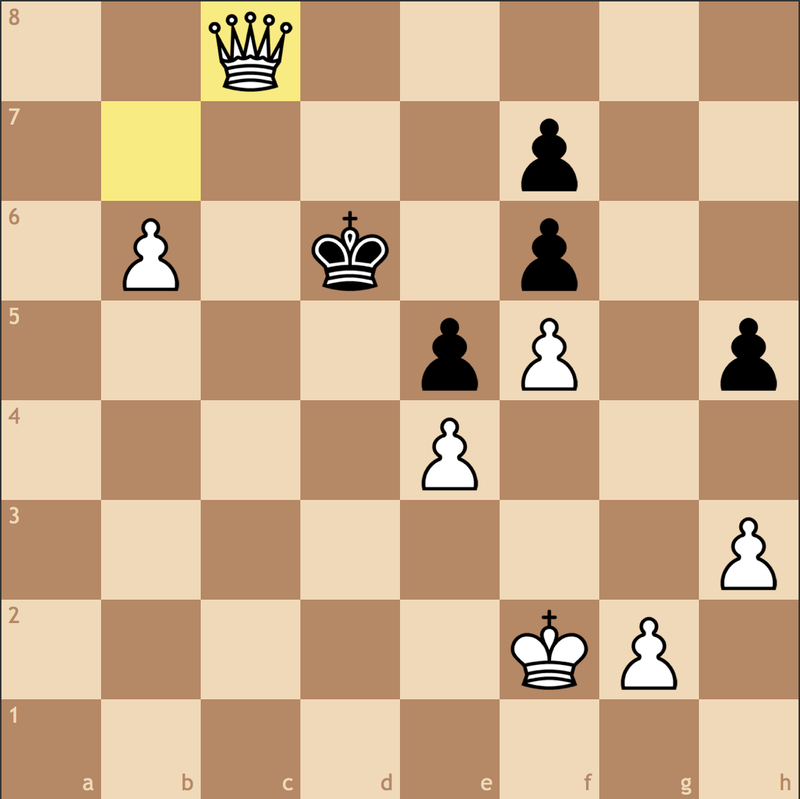 I understood before, but why not take on b2? 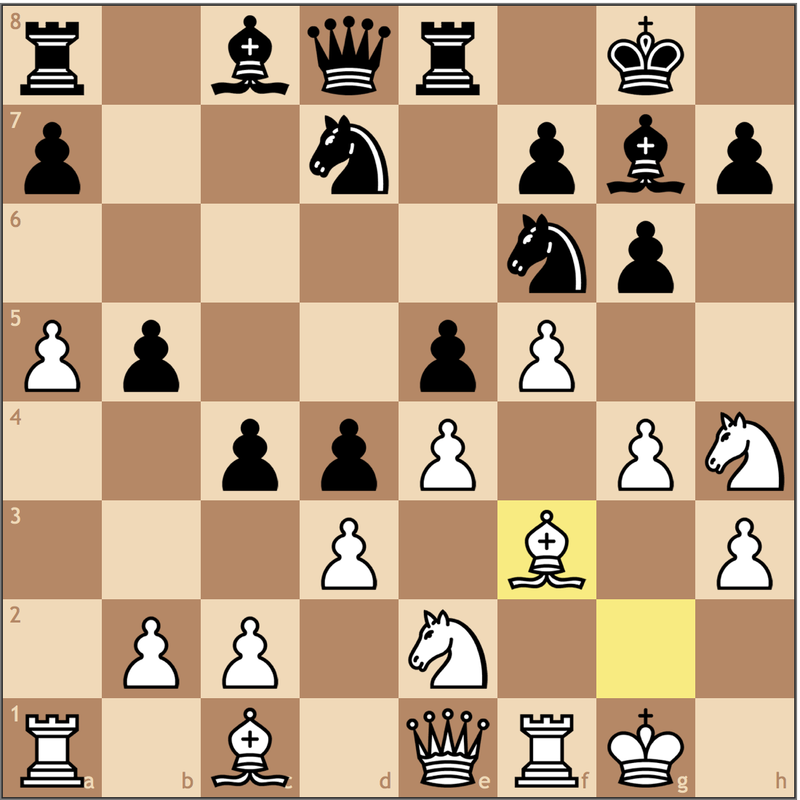 The pawn won’t get much weaker than it is presently and White has no way of exploiting the pin by tactical means, thanks to the bad knight on d2. 24. 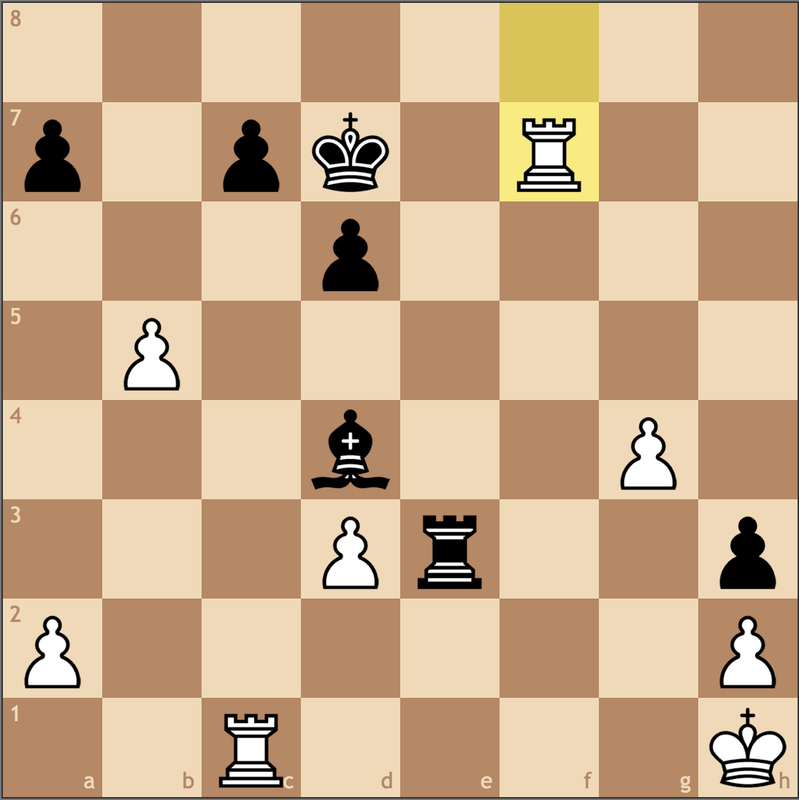 Qd1 Ra5 25. a4 c4? 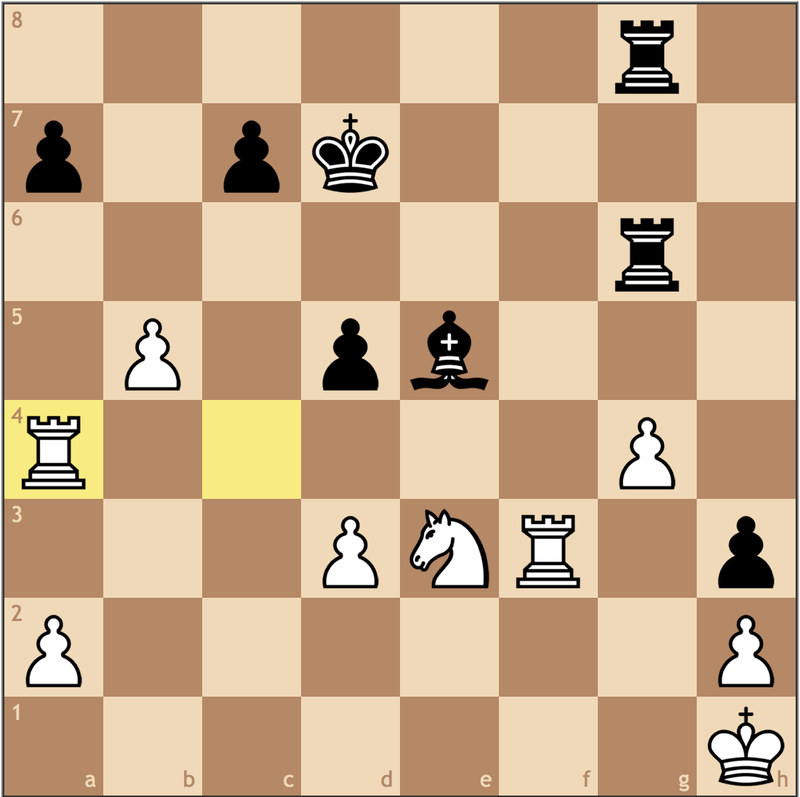 I think Black’s future problems stem from this move. 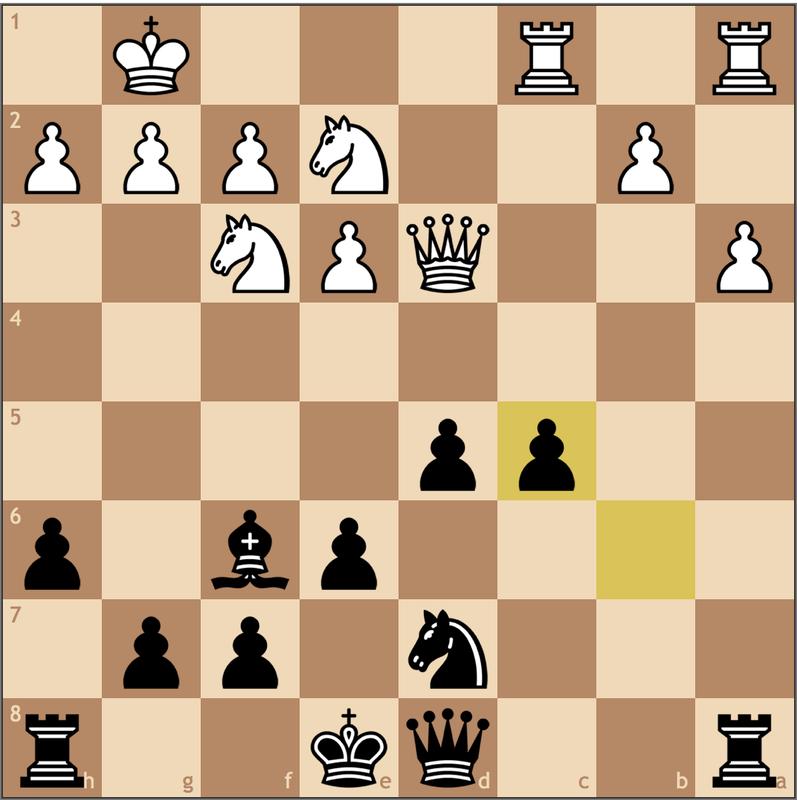 Unfortunatelty, its already unclear how to convert Blacks bishop v knight advantage. 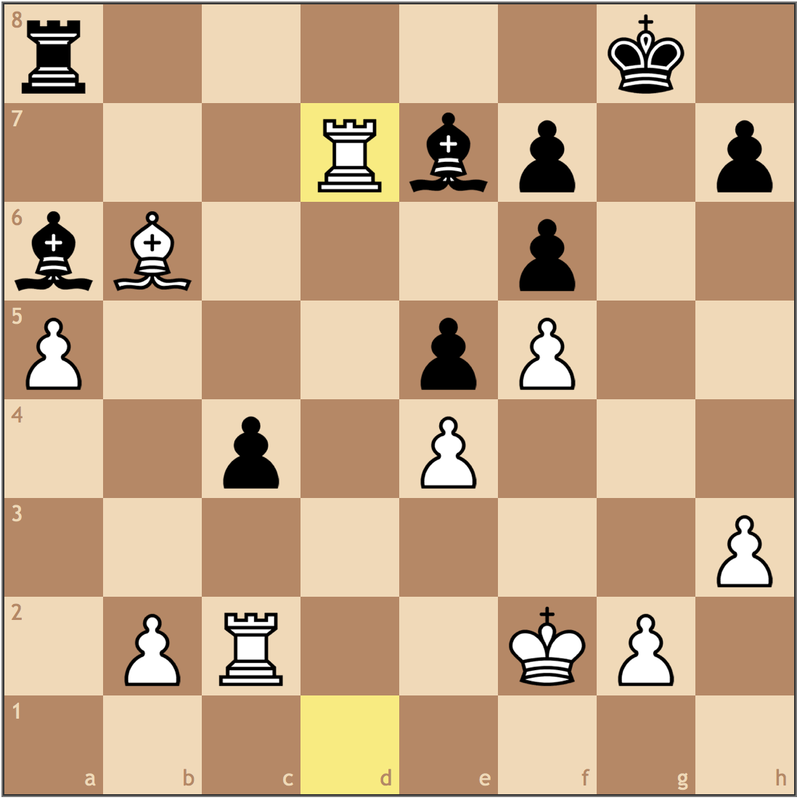 My best guess is a long term plan of …Qa7, provoking b2-b3, then play …Rb8-b7 and …Qa7-b8, targeting both b3 and h2. 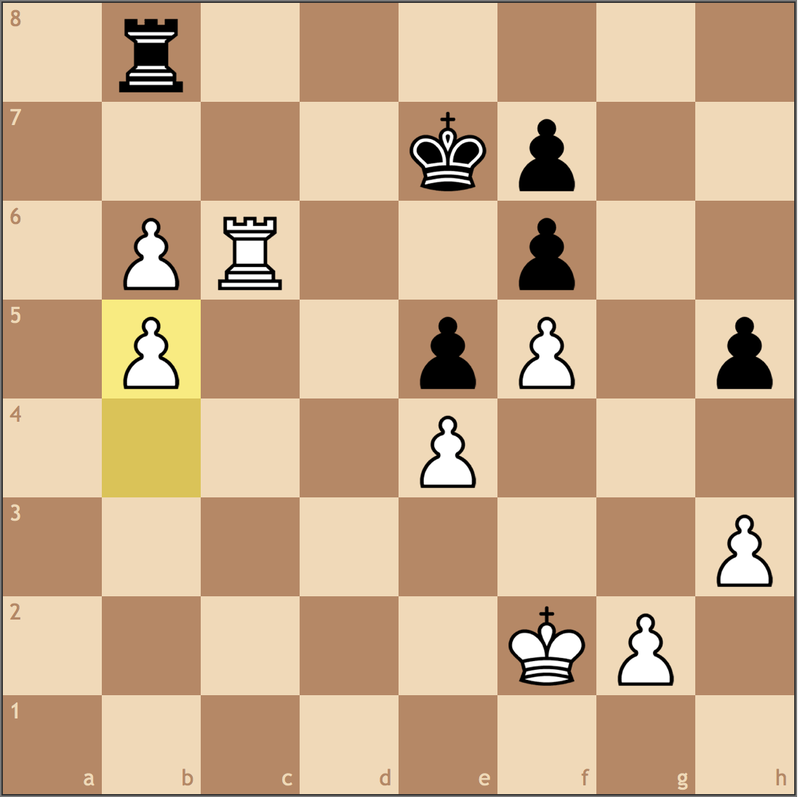 It’s a long term fight, and it’s becoming clear that Black lost his chance when he didn’t take on b2. 26. b3 cxb3 27. Rxb3 Qa7 28. Rxb8+ Qxb8 29. g3 Qa8 30. Ra1 Be5 31. Ra2 Ra7 32. Nf3 Bf6 33. Qd2?? 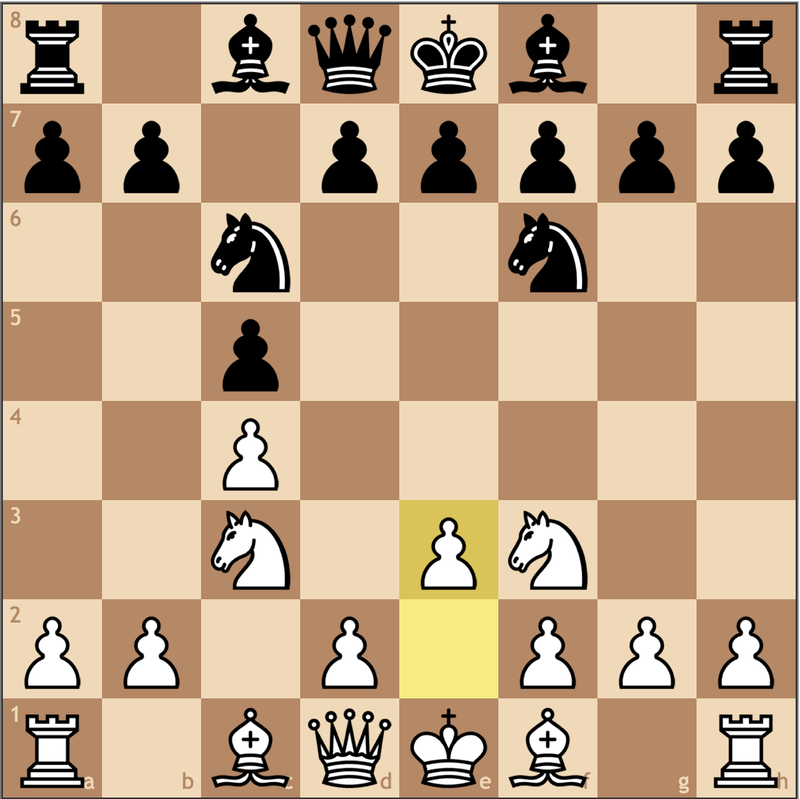 White was so close to equality, but here White willingly loses a pawn for close to no compensation. 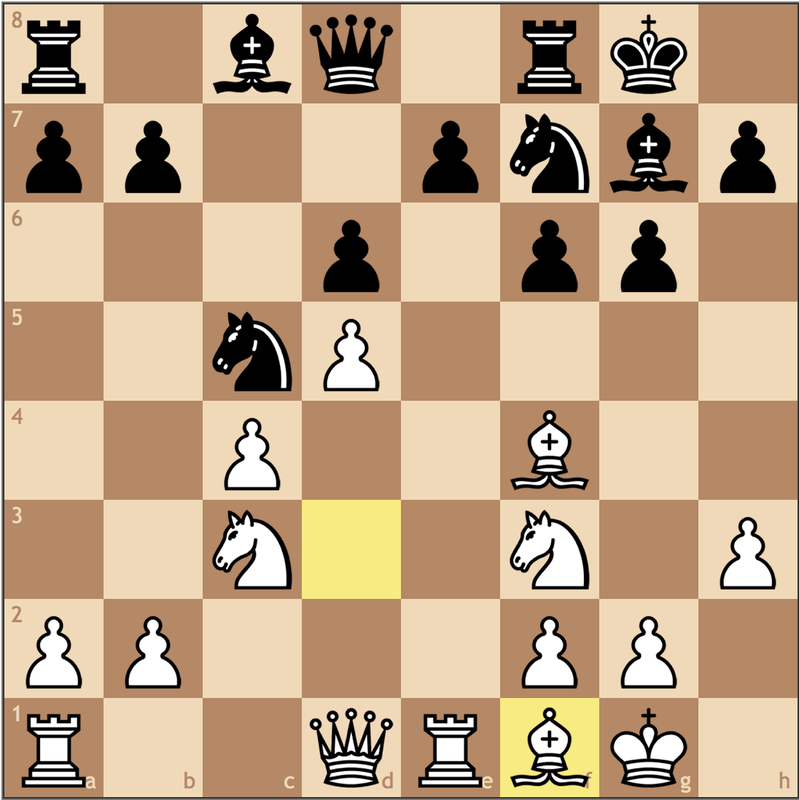 White could have tried Nd4 or h4, but this move is clearly inferior. There have been some small inaccuracies leading up to this moment, but this move is practically a resignation. 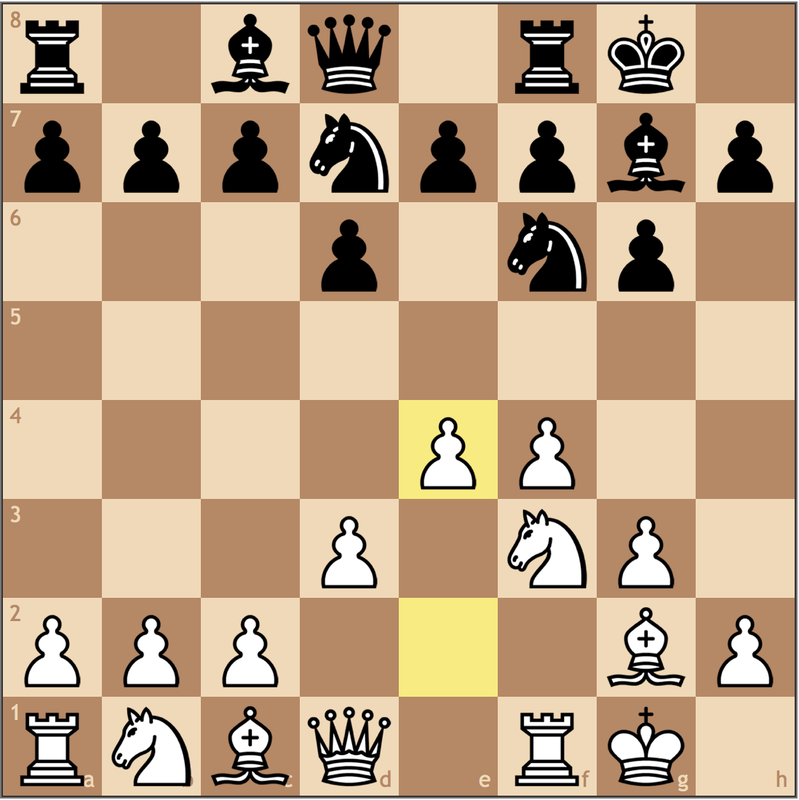 While you wouldn’t believe it from this position, a knight and queen is usually stronger than a queen and bishop due to the unusual combinations of squares they can control. 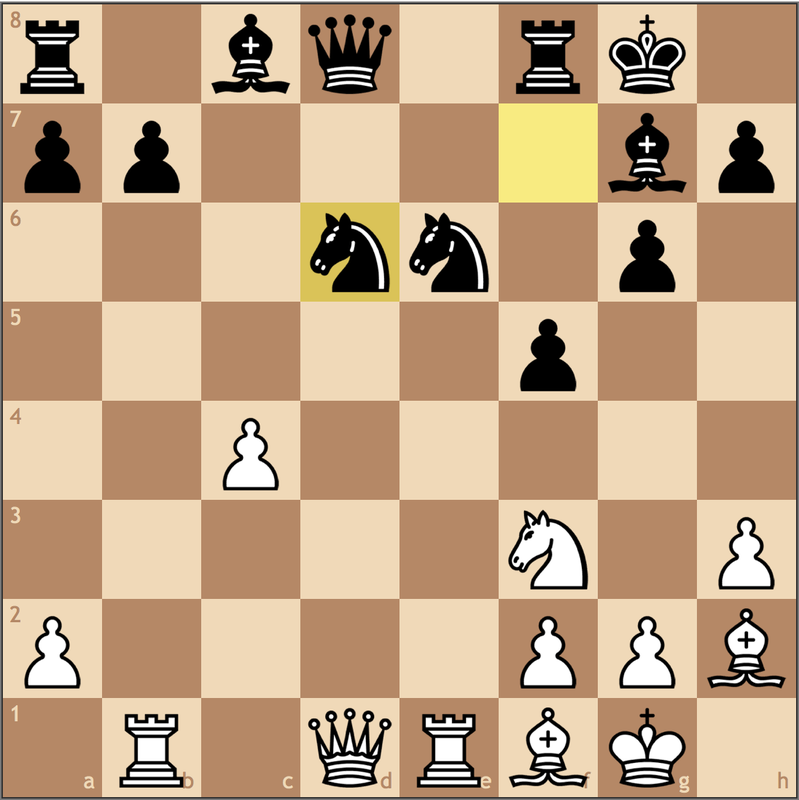 Giving up that advantage means going into a position down a pawn where Black has a bishop over a knight. 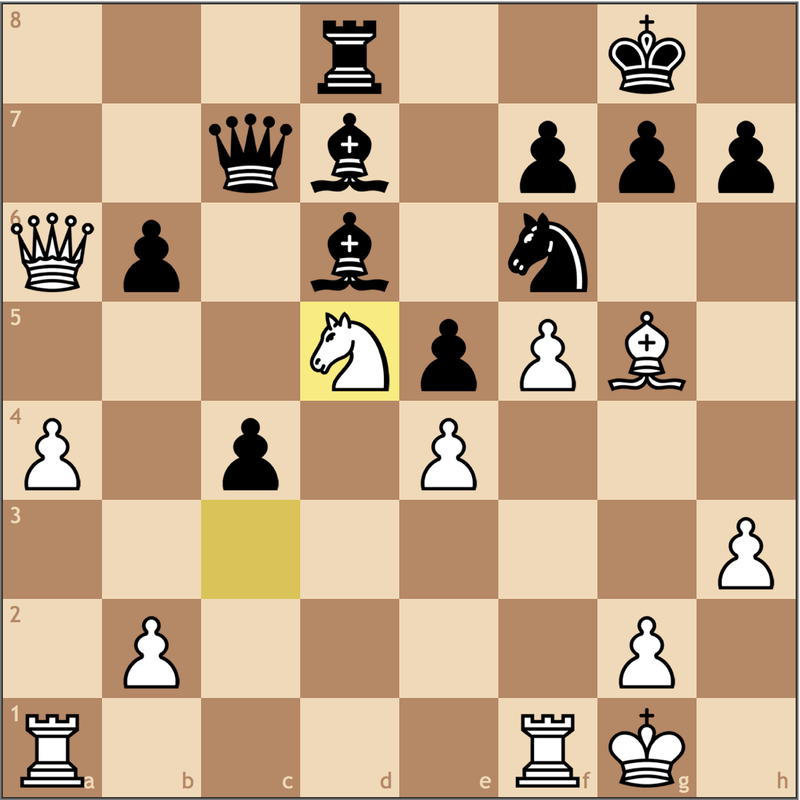 White really should have never brought the knight back to d2, but now cedes the trade without a fight. 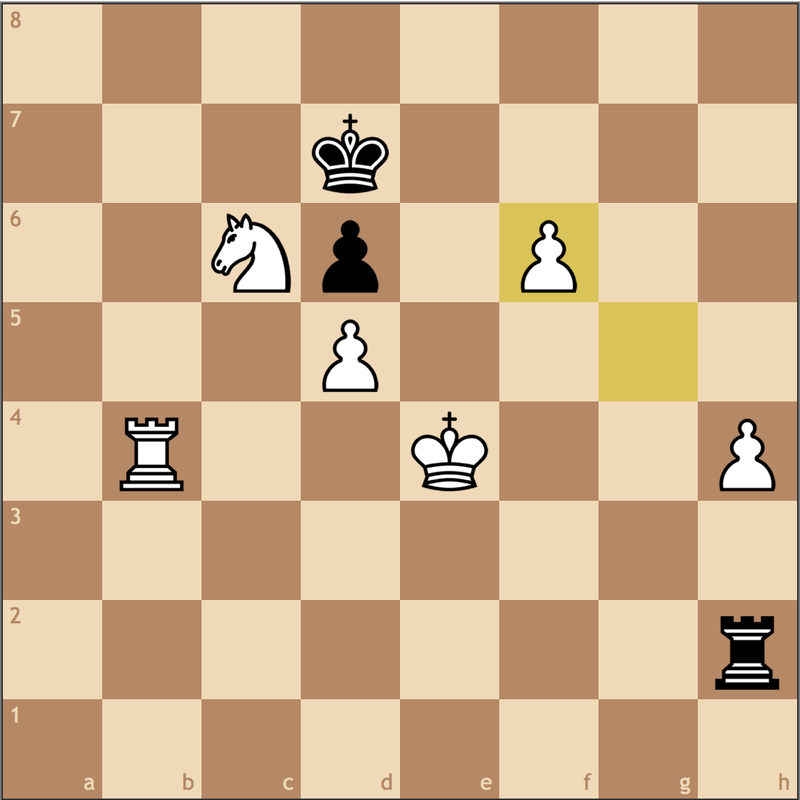 Walking into a lost pawn endgame. A poor decision by White. 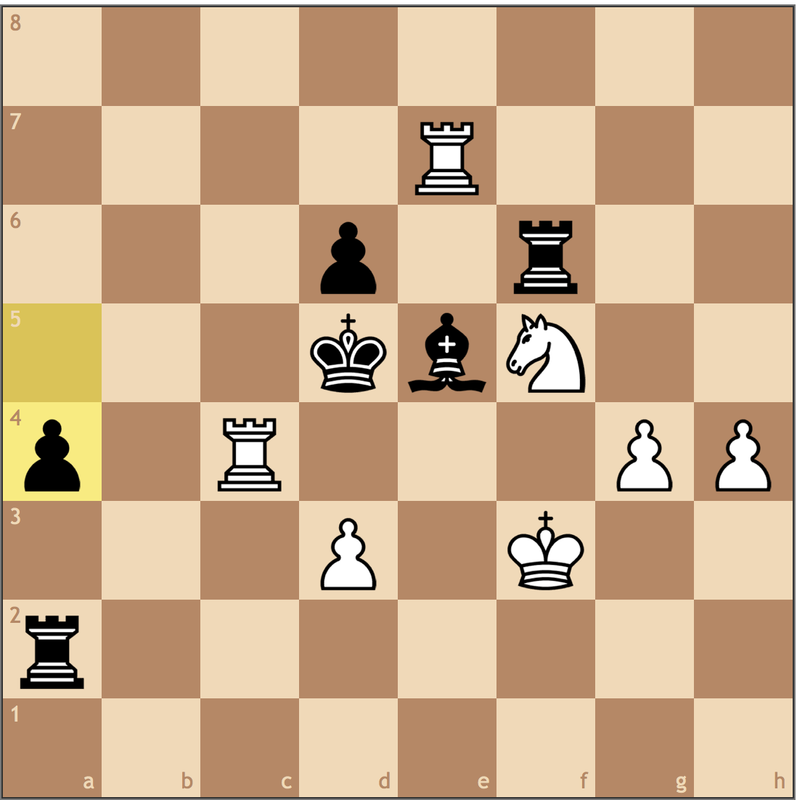 Black played reasonably well to secure the win, trading off a couple pawns to create a passed pawn. My thoughts on the game? 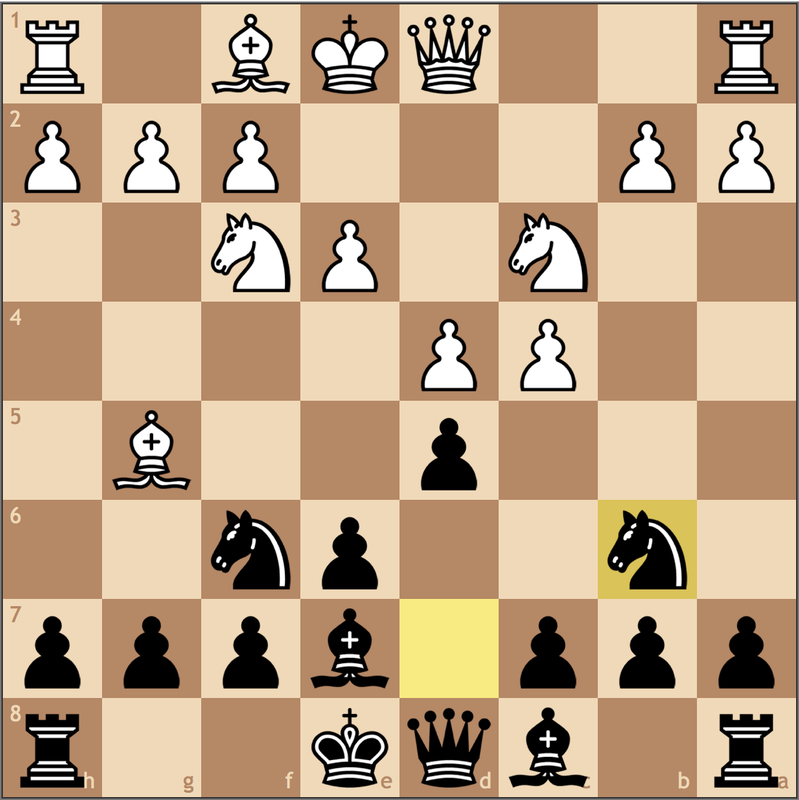 Aside from the opening, Black was never really in trouble of losing the game, but at times played too passively. 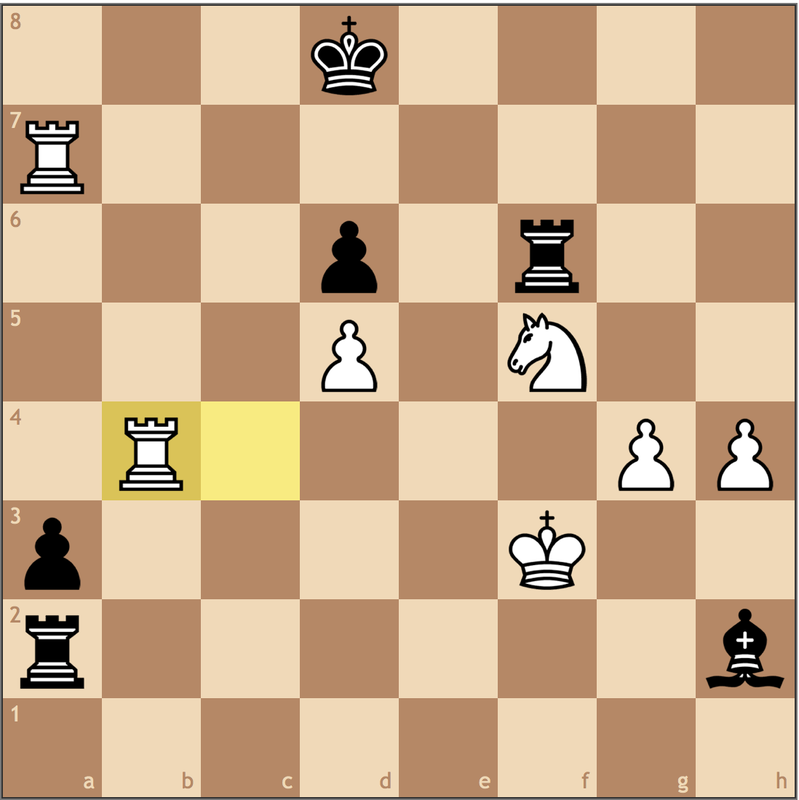 White should have secured the half point, but Black played the better game. Congrats Joe on the strong finish and the big rating gain! On to our next game, from Jeffrey, a chess^summit fan and my former teammate from my MLWGS days. Jeffrey’s currently at the Virginia Open, and after a rocky start, managed to pick up a round 2 win to reach 1.5/2. Let’s see how it went! 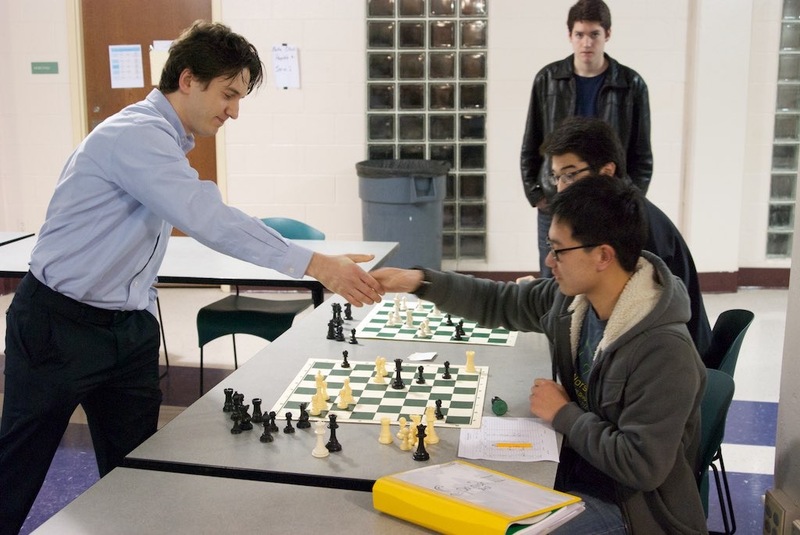 Jeffrey playing GM Sergey Erenburg in a simul back in late 2014. 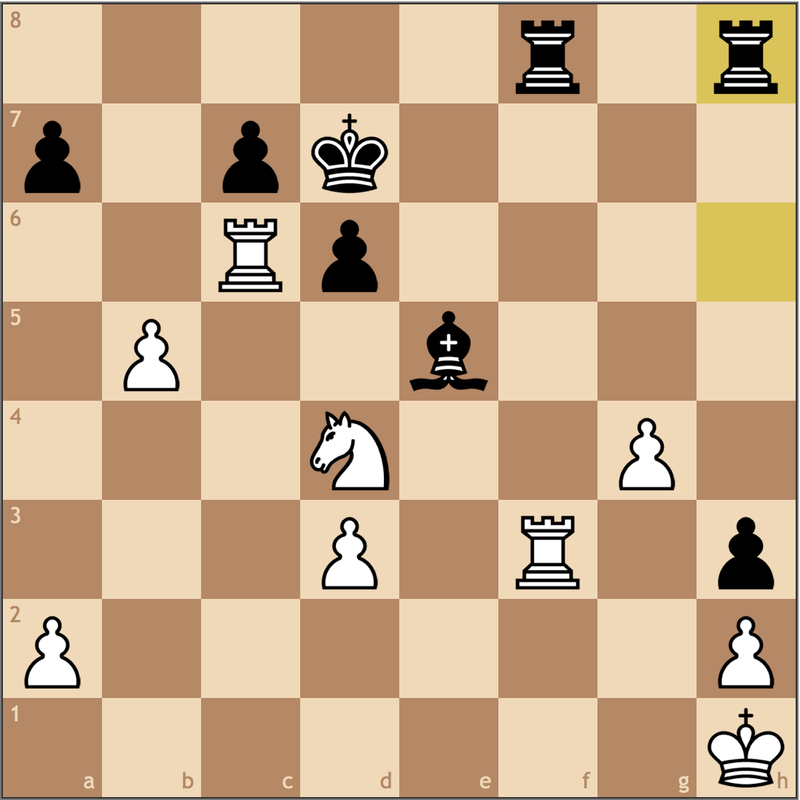 Since then, Jeff has managed to break 1700, and is trying to fit into the tough world that is adult chess. 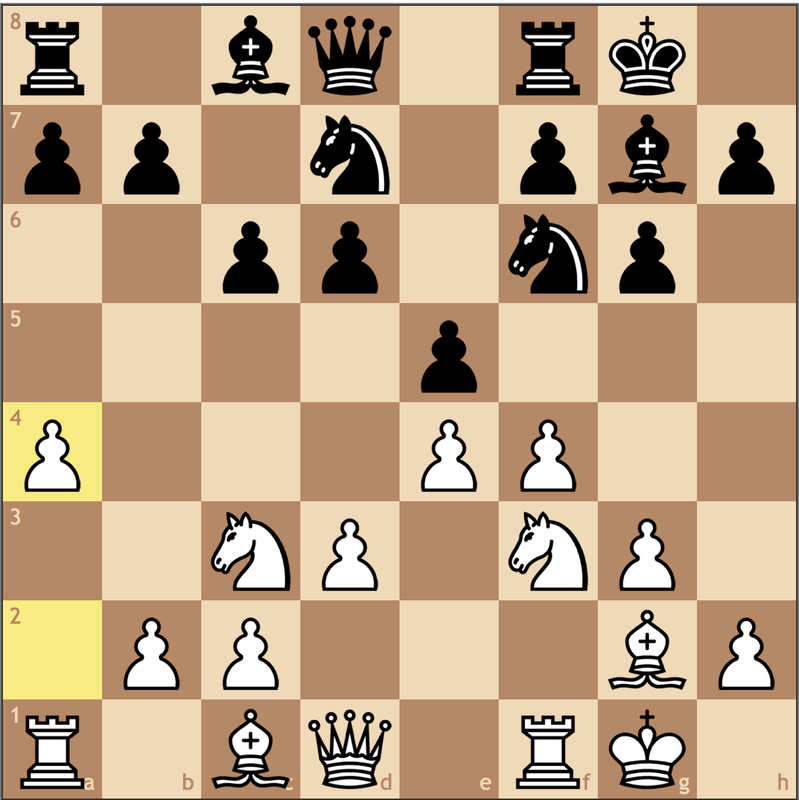 Even though the Bird’s Opening may not be the most conventional weapon, it’s different, and can still reach reasonable positions. 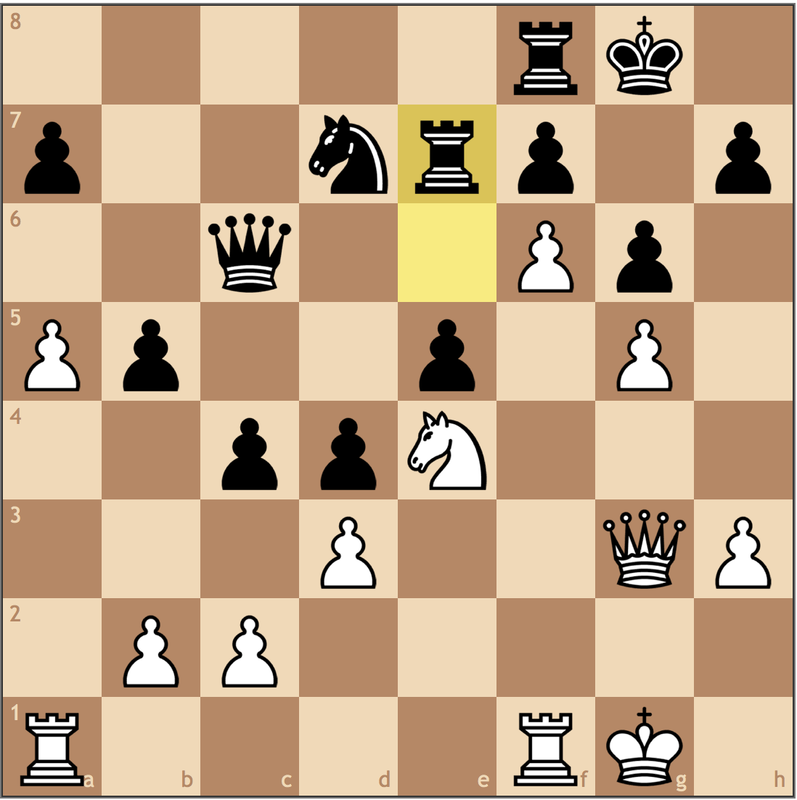 Here White could transpose into a Closed Sicilian if Black were to choose …c7-c5 for his next move. 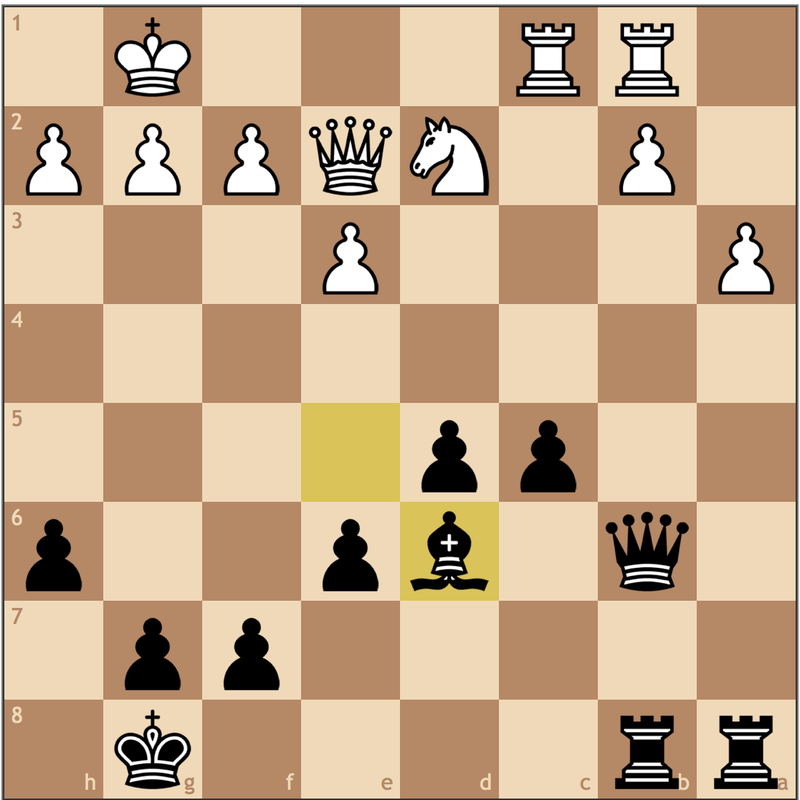 As a King’s Indian player, I’m not thrilled with this choice for Black. 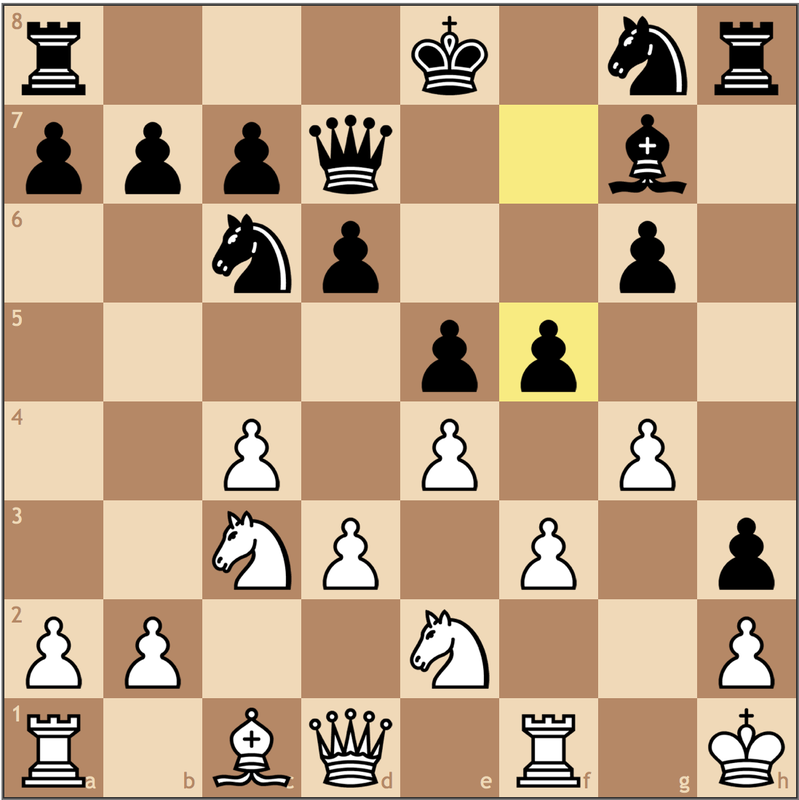 Usually, Black plays …e7-e5 to undermine the d4 square to control critical outposts like c5, but here the position is different. 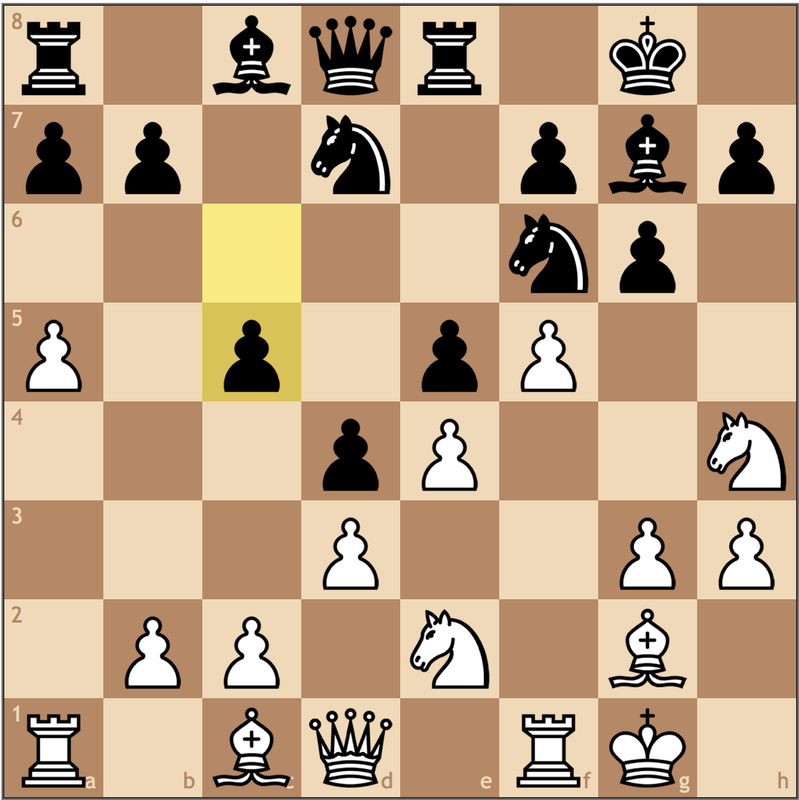 I think the most sound move is 7… c5 going into a semi-Sicilian, but the knight on d7 does make it hard for Black to play moves like …Bg4 and …Nd4. 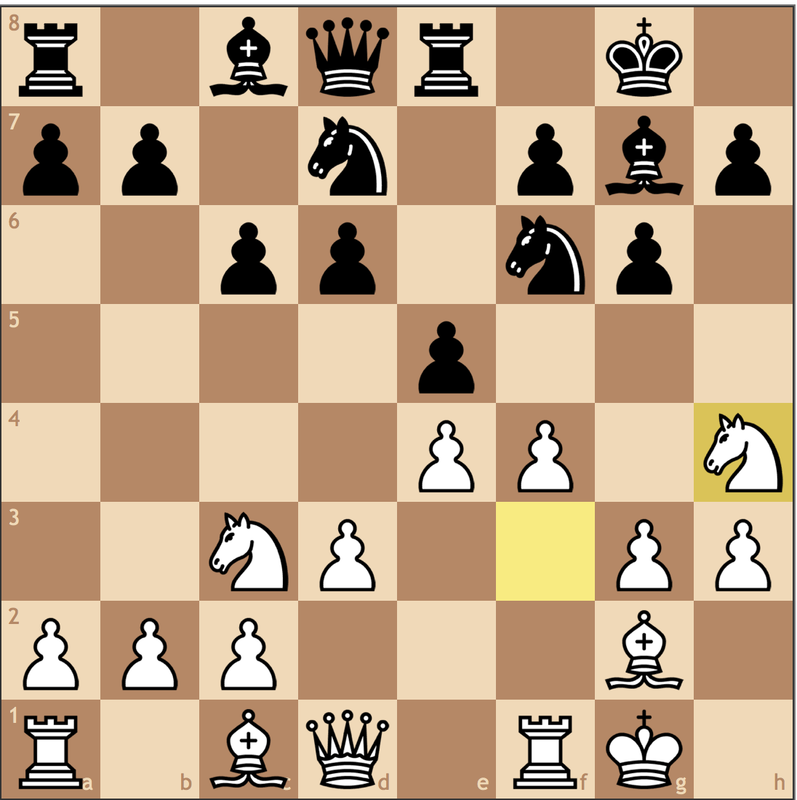 One reason I switched out of the Nbd7 King’s Indian lines was that it wasn’t very flexible and could often lead to passive positions with innacurate play. 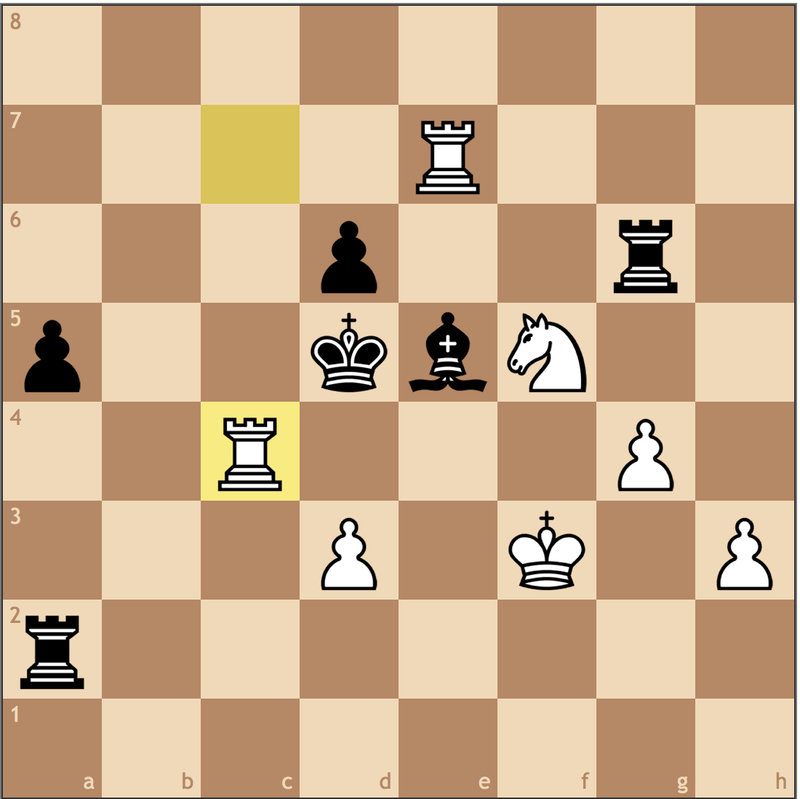 Whenever I play against the King’s Indian, I’m always thrilled to see this move. 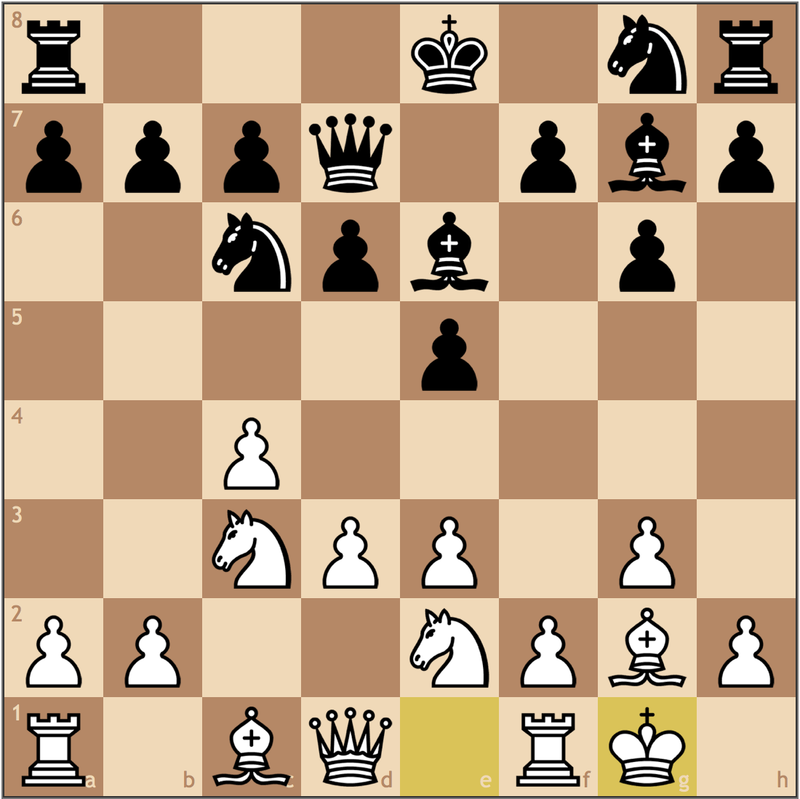 Here, with the pawn on e4 protected by the d3 pawn, this …Re8 move actually does nothing! 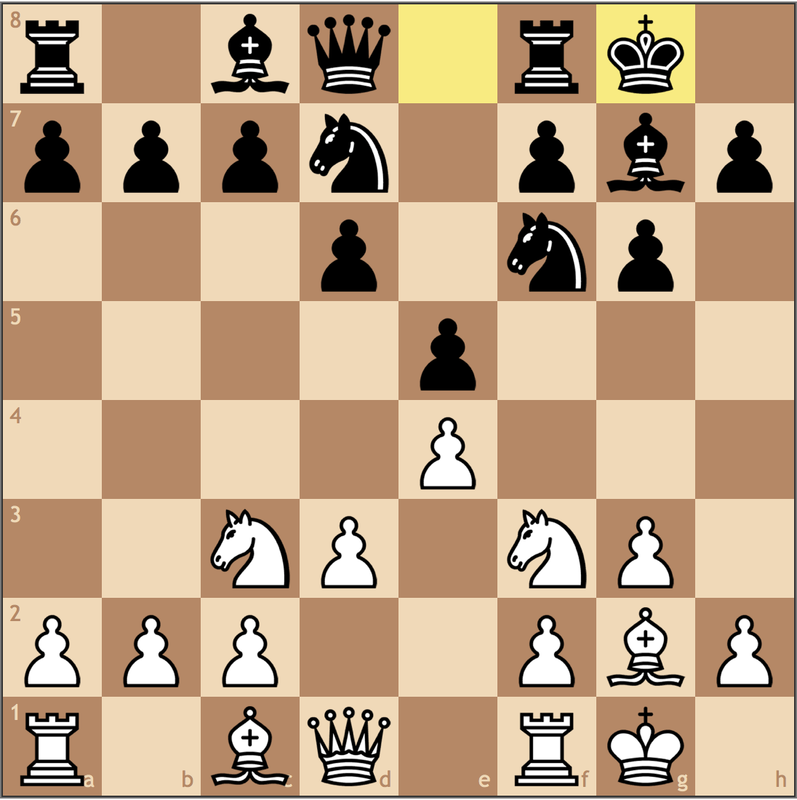 Keeping the rook on f8 is a thematic resource, not only to play …f7-f5, but to protect the f-file in some positions. Black has bigger problems right now besides the placement of his rook such as development and space. Knight on the rim is grim! Or is it? 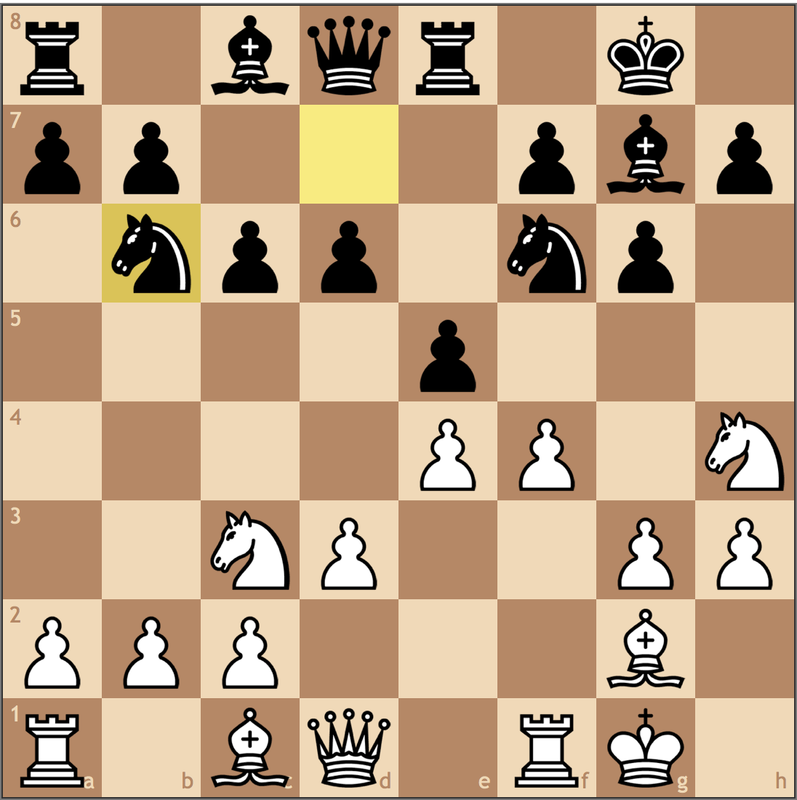 This is a new move for me, but it does help push the f-pawn to f5. 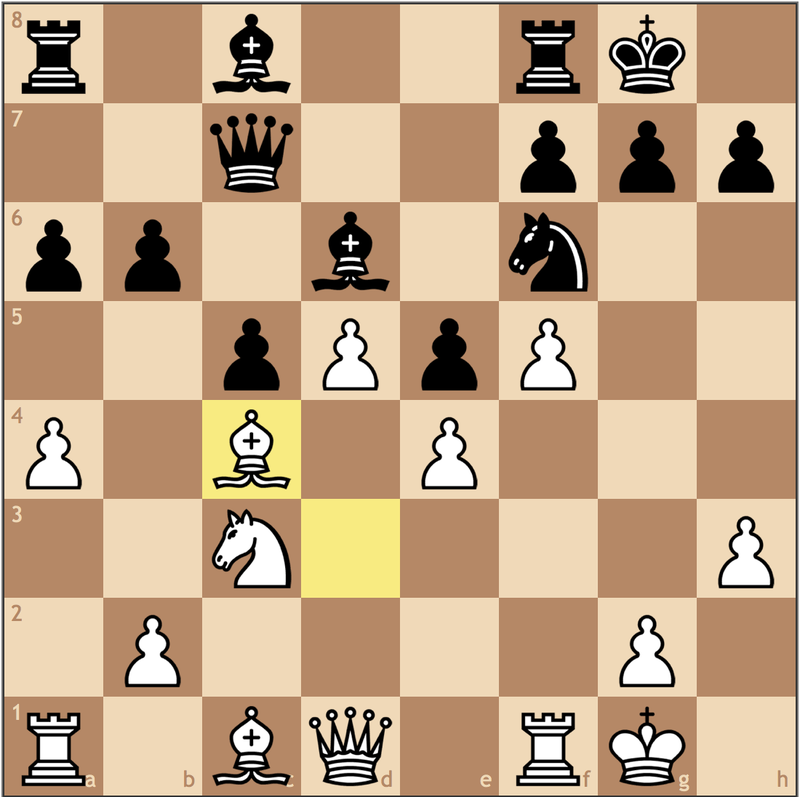 While it’s a neat idea, this move tactically fails to 10… exf4 11. gxf4 Nd5! and the h4 knight is hanging. 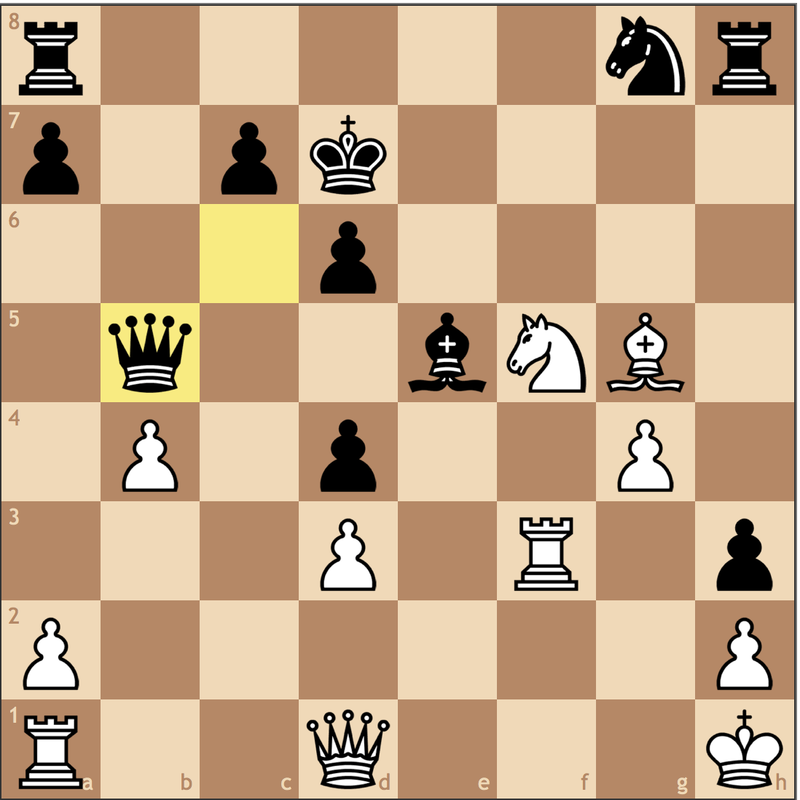 Honestly, White doesn’t need the support of the knight to play f5, it might even be worth a pawn later if black were to cripple his structure by taking with g.
Just like the last game, another bad …Nb6! 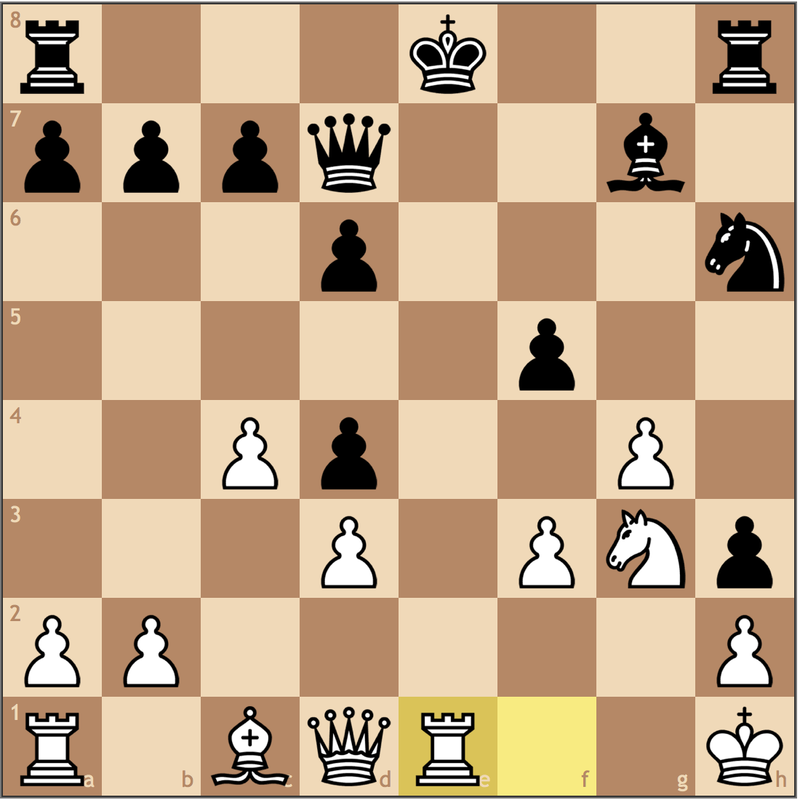 While it technically opens the bishop, where can it actually go? 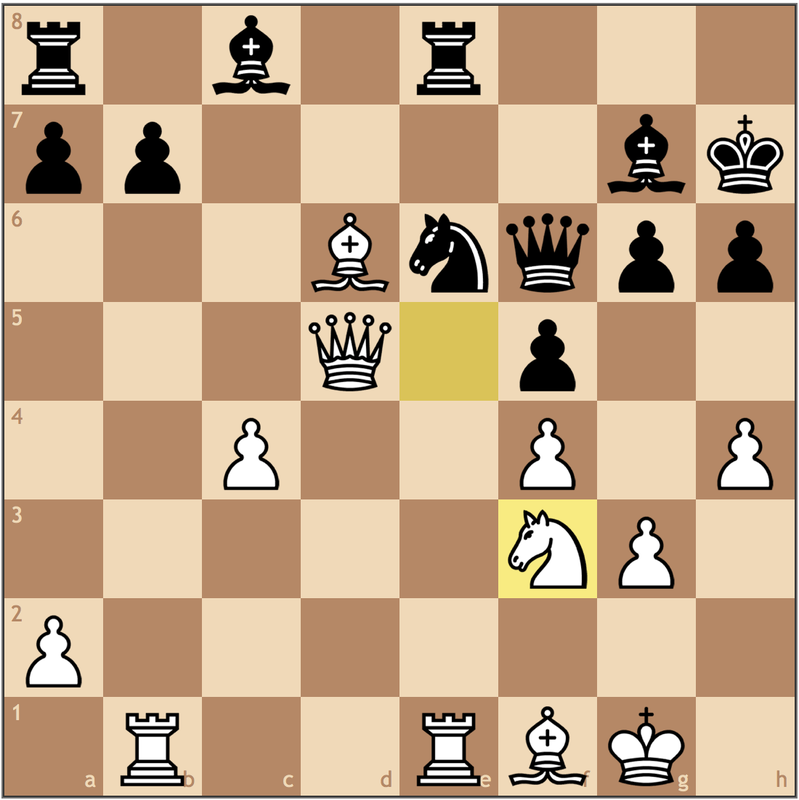 Again, like last game, Black has wasted two tempi with this knight to go nowhere. 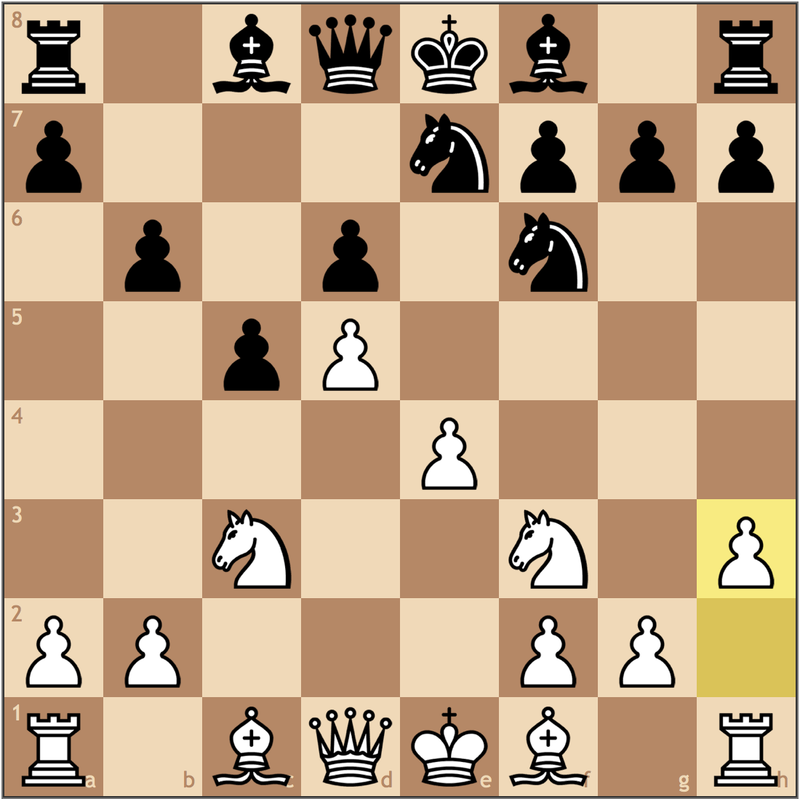 A much better plan would have been 10… a5 with the idea of …Nd7-c5! A much more active square. 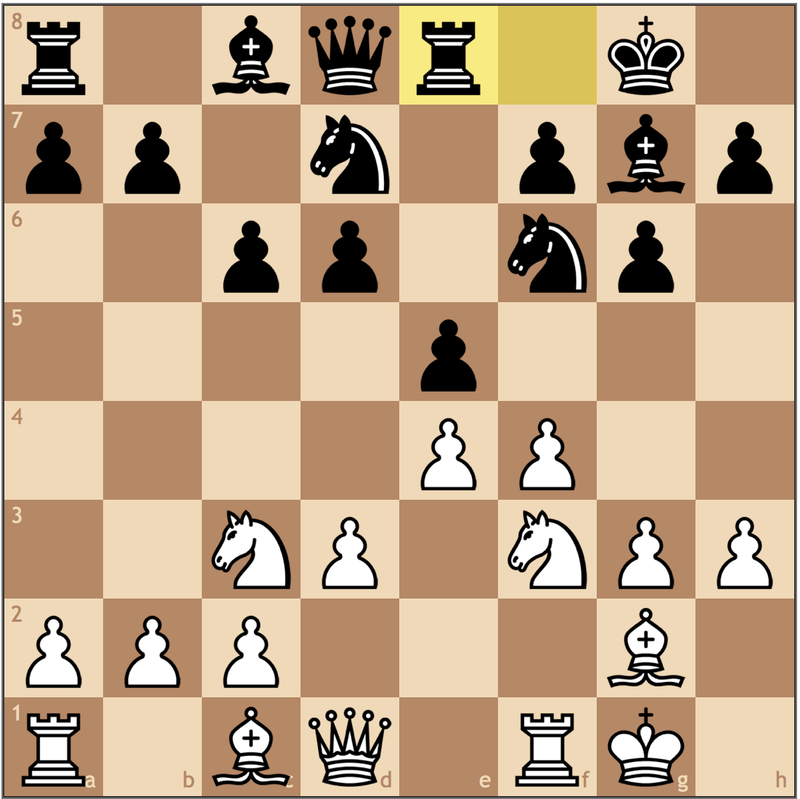 If you are going to play a modern style of chess, you must be prepared to be active. 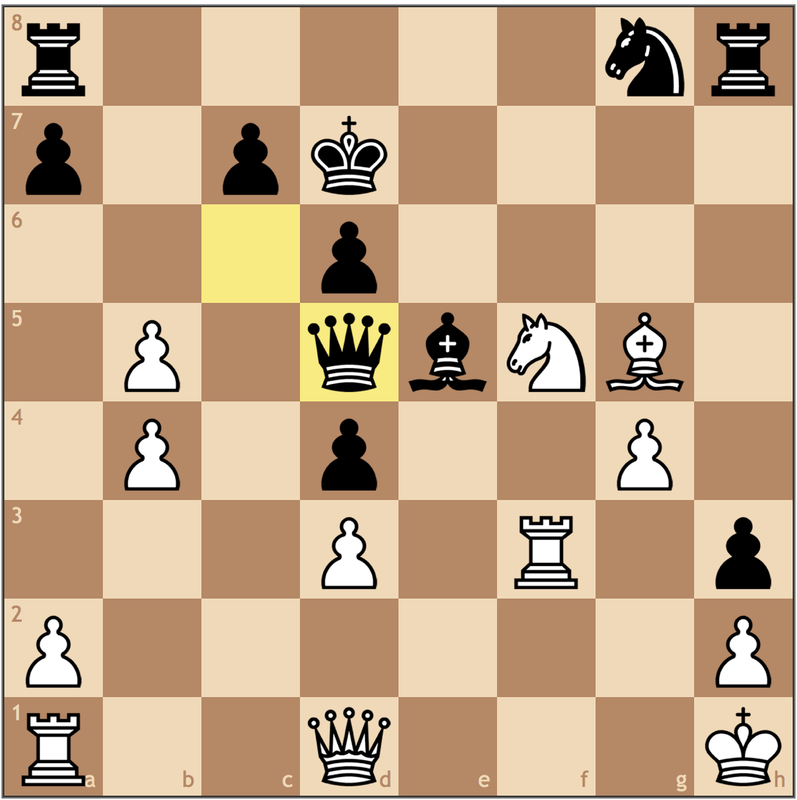 The King’s Indian is the least forgiving to passive players. 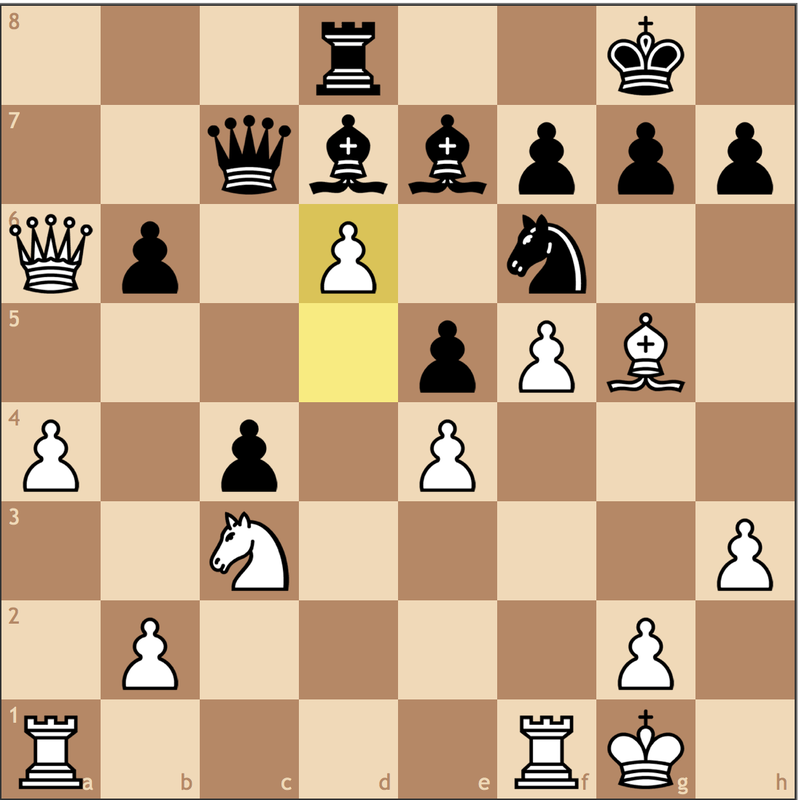 I think both 12. fxe5 and 12. f5 are possible here, but upon further evaluation, White’s choice doesn’t really matter since Black’s plan should be …Nf6-h5 with the idea of putting pressure on f4. 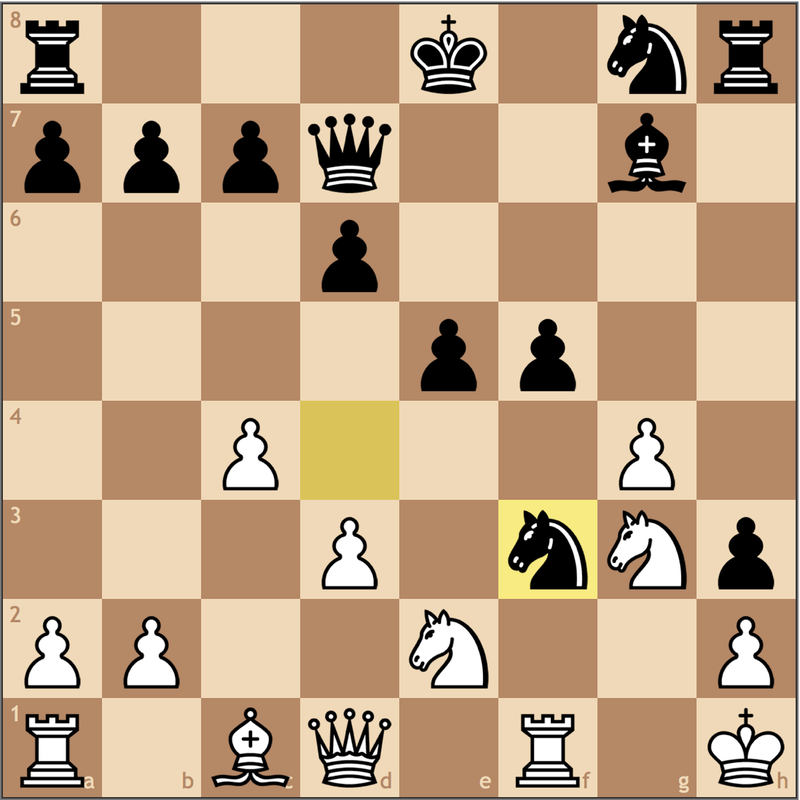 Black’s opening play has been kind of poor, but White’s play hasn’t exaclty been punishing. 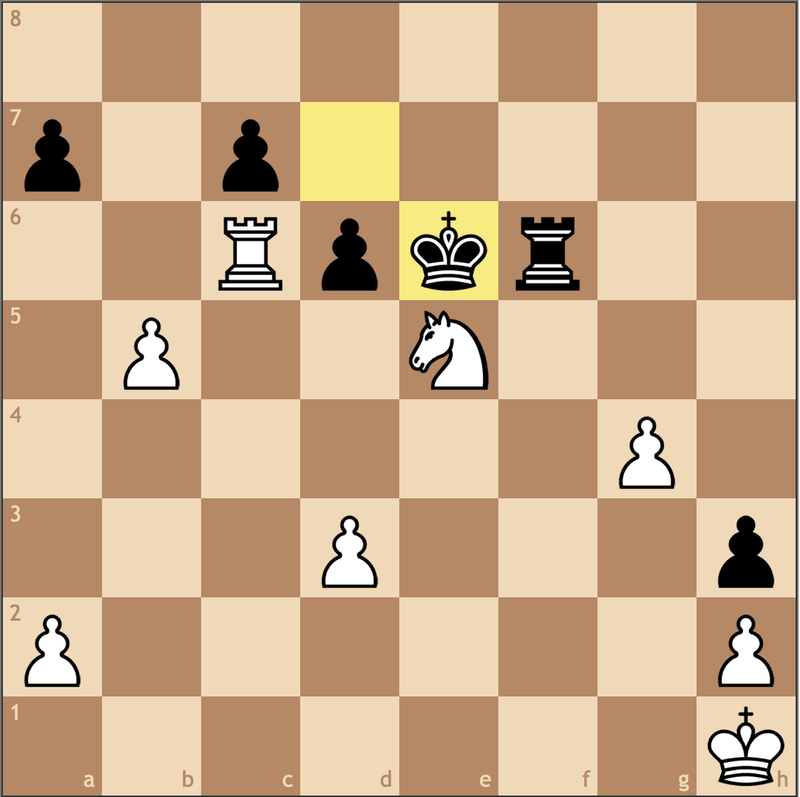 I analyzed the move order with an engine and came to a few conclusions. 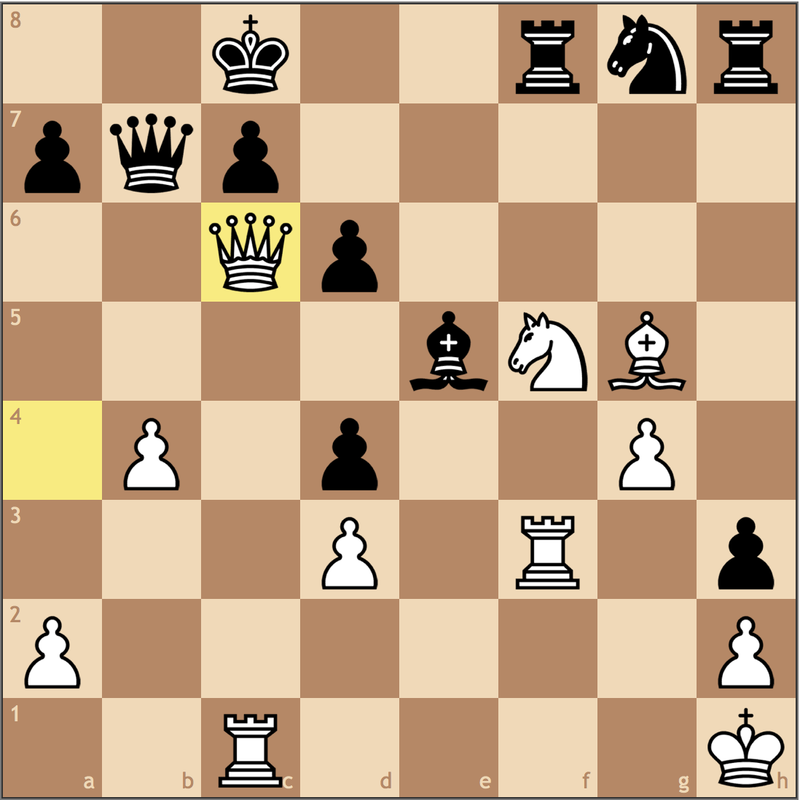 This has a structural resemblance to the game, but now White must move the knight on f3 to execute f2-f4. 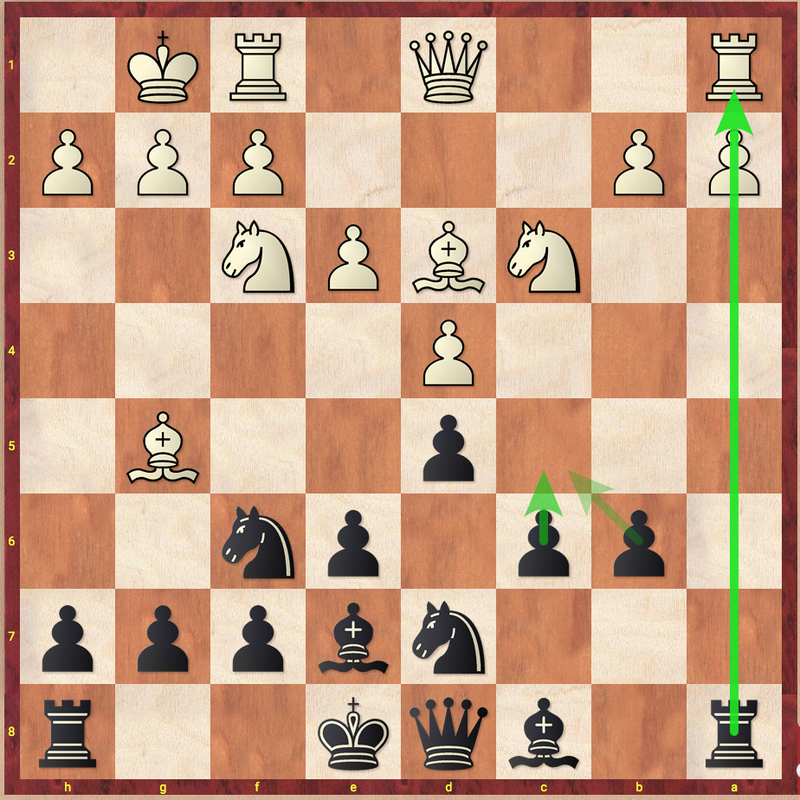 Since f5 is occupied, the knight usually goes to e1 and then returns to f3 to be able to enter the fray via g5 after f2-f4 has been played. 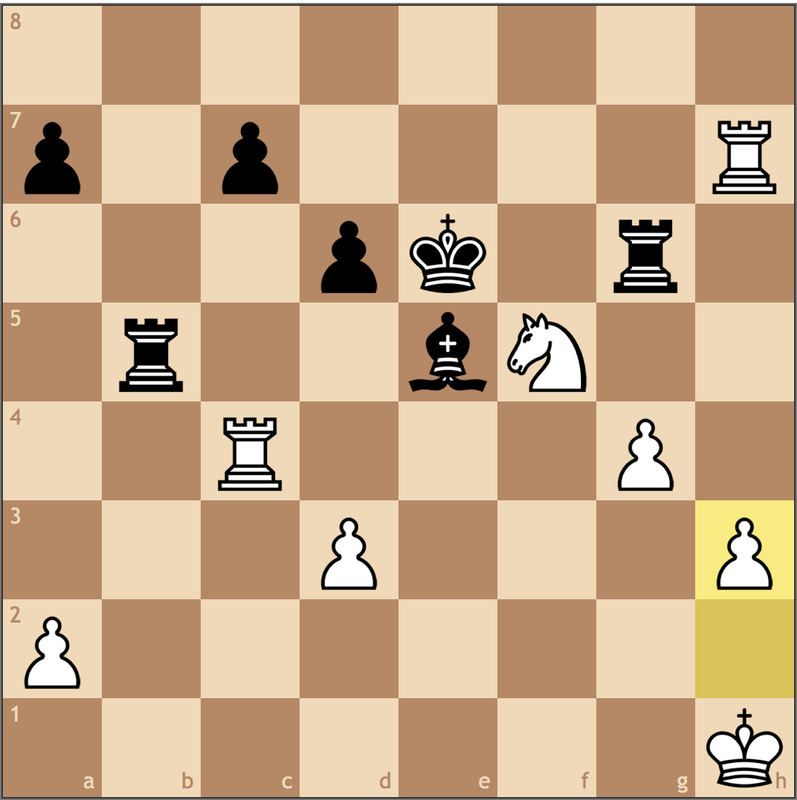 White’s first move enabled him to not lose this tempo. 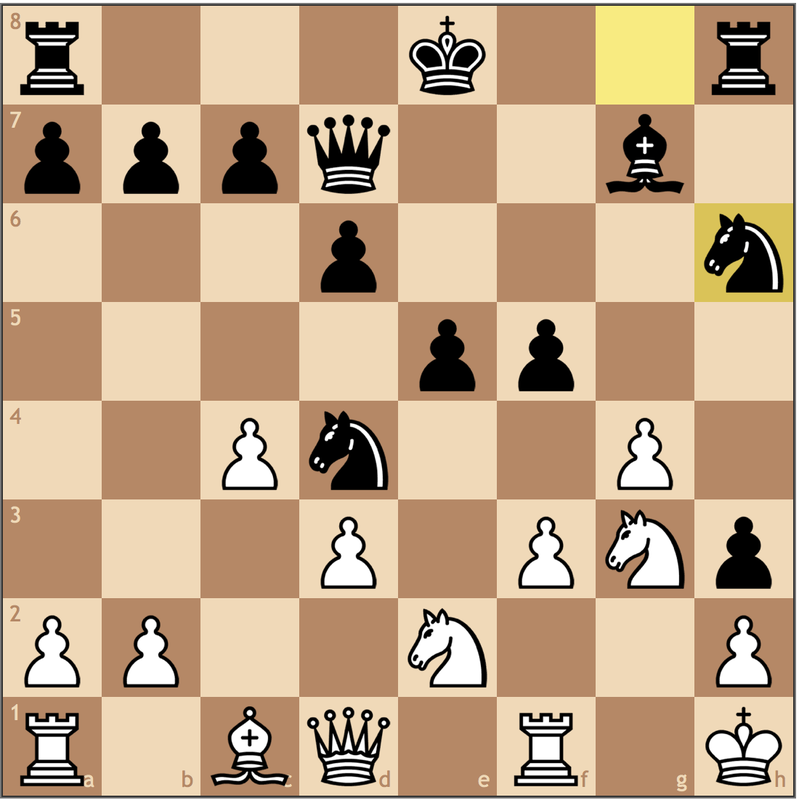 If you think about it, with a Black pawn on g6, White doesn’t exactly have a landing square for this knight besides f3, so to go back to my original question, the knight is grim! 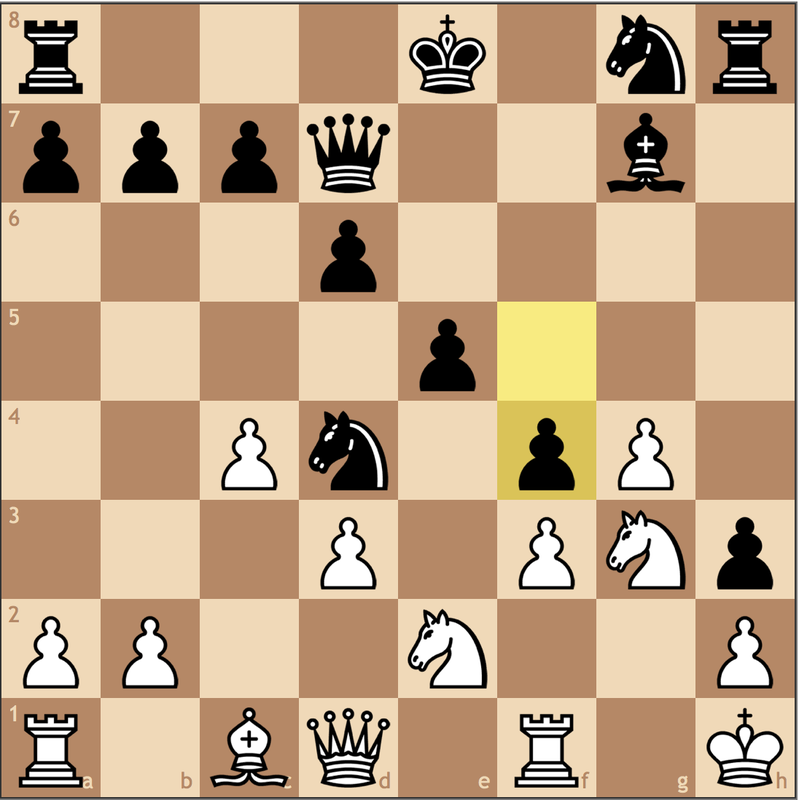 Next, 9. h3 is what gives Black the …Nh5 resource since g3 is weakened. 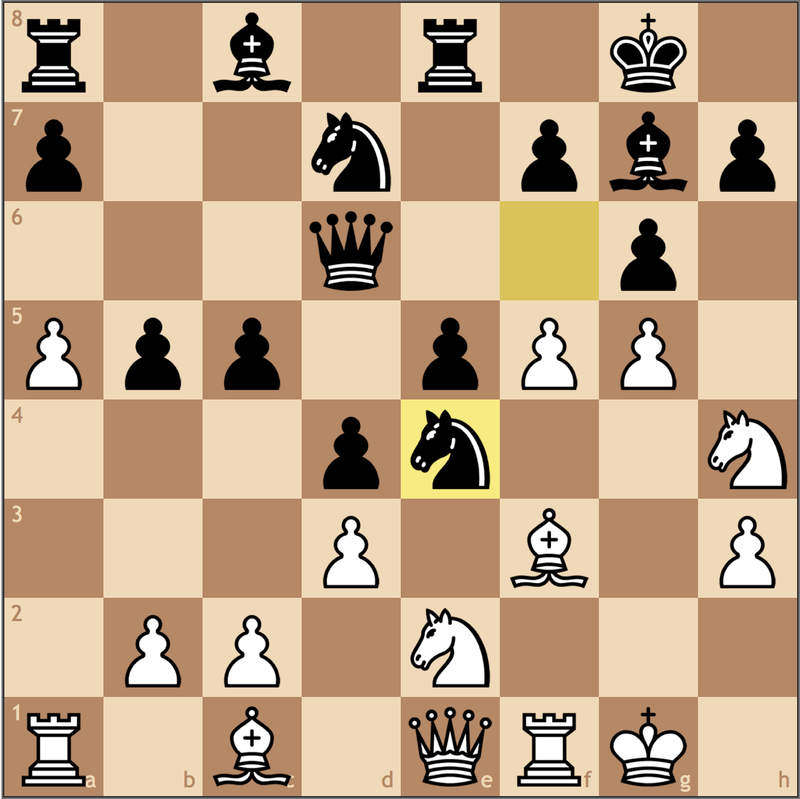 Usually this move is played to allow for Bc1-e3, taking away the g4 square from the knight, but seeing as Jeffrey didn’t play this move, 9. a4! would have been much more prudent. 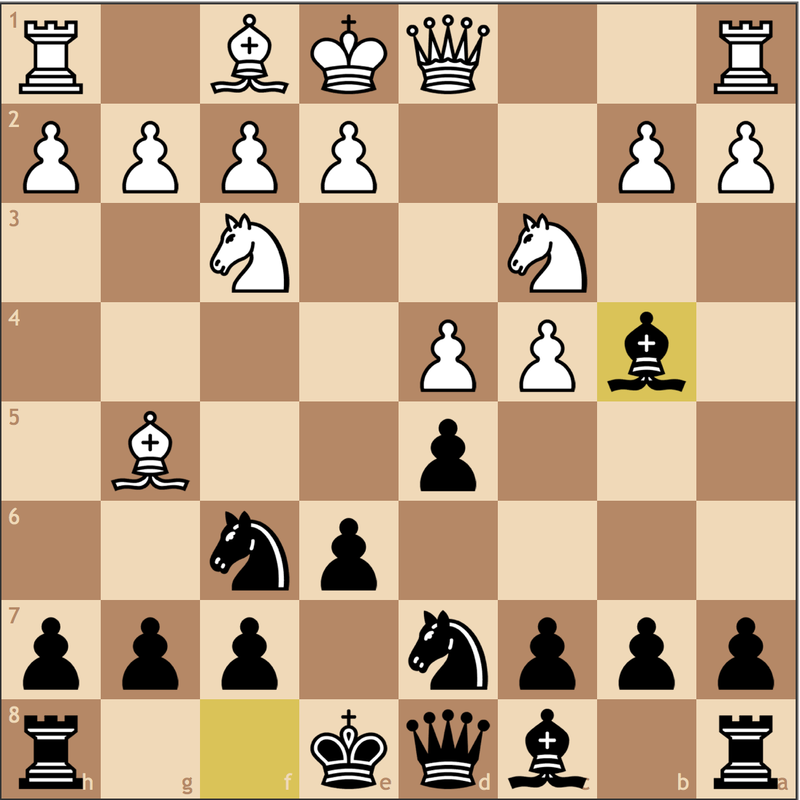 It’s not that we are expecting Black to play the poor 9…Nb6? its just that this move restricts Black’s ability to expand with …b7-b5 on the queenside. Now it’s up to Black to come up with ideas. 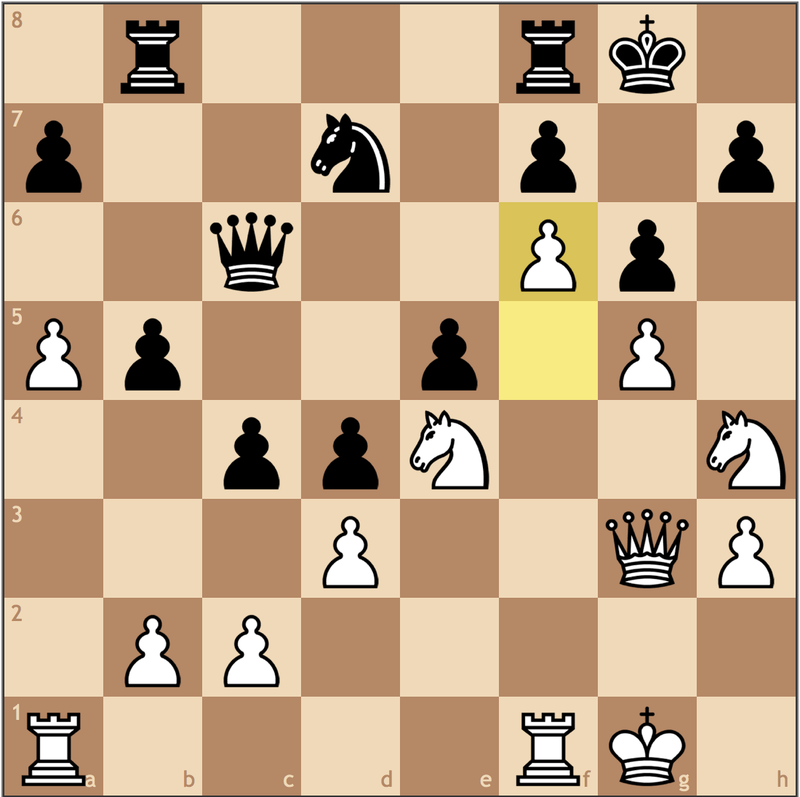 9… a5 is a natural move for Black to secure the c5 outpost, but a knight on c5 won’t help Black with the pawn on d3. White can just play Kh1 followed by f4-f5. 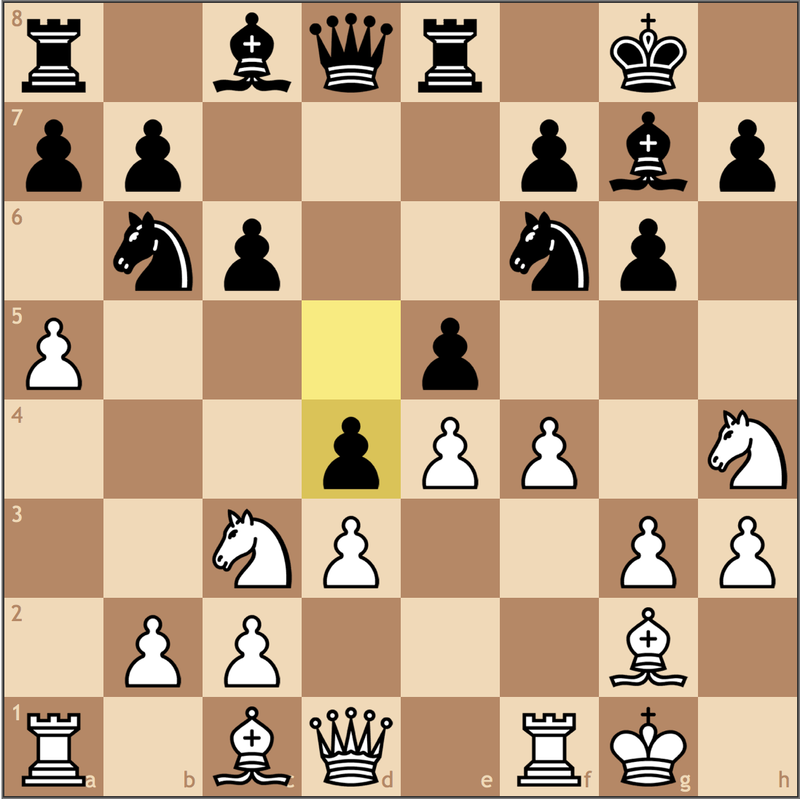 Also reasonable is b2-b3 and Bc1-a3 putting pressure on d6 once the f4-e5 tension is resolved (I will admit this is less agressive). 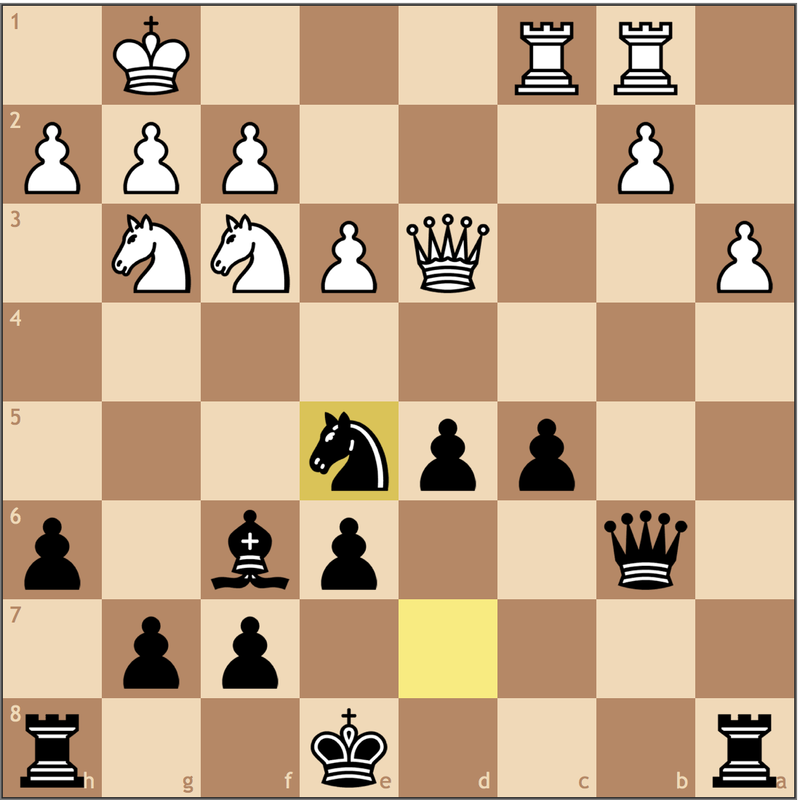 Anyways, I thought it was interesting that Black still had a tenable position after violating several opening principles. So who gained the most out of this sequence? 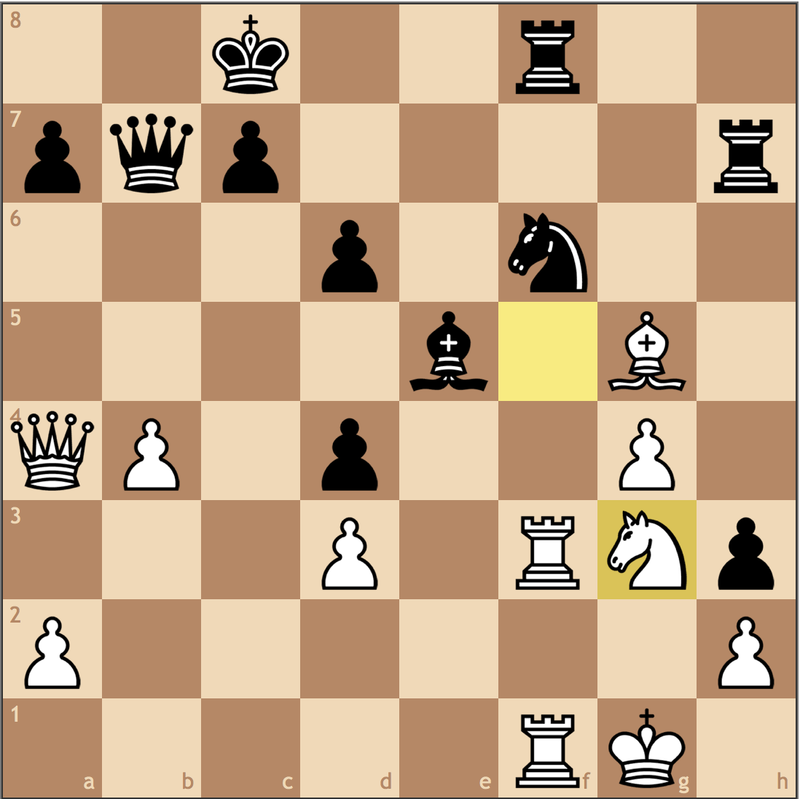 Black managed to expand in the center, but in doing so drives White’s knight to a more productive square, d2. 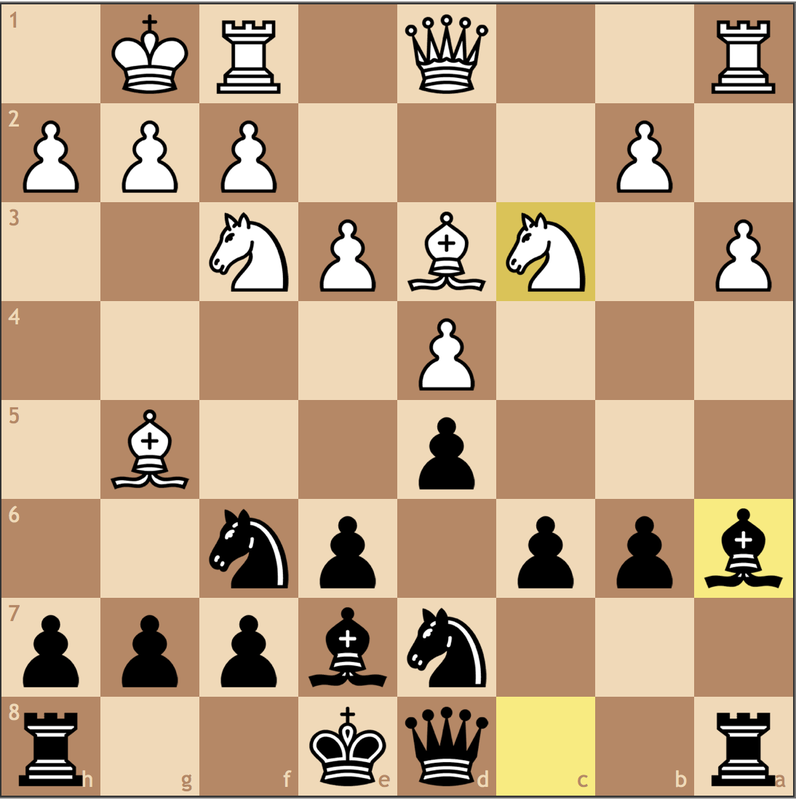 Meanwhile, Black must retreat the knight back to d7, and still is way behind in development. 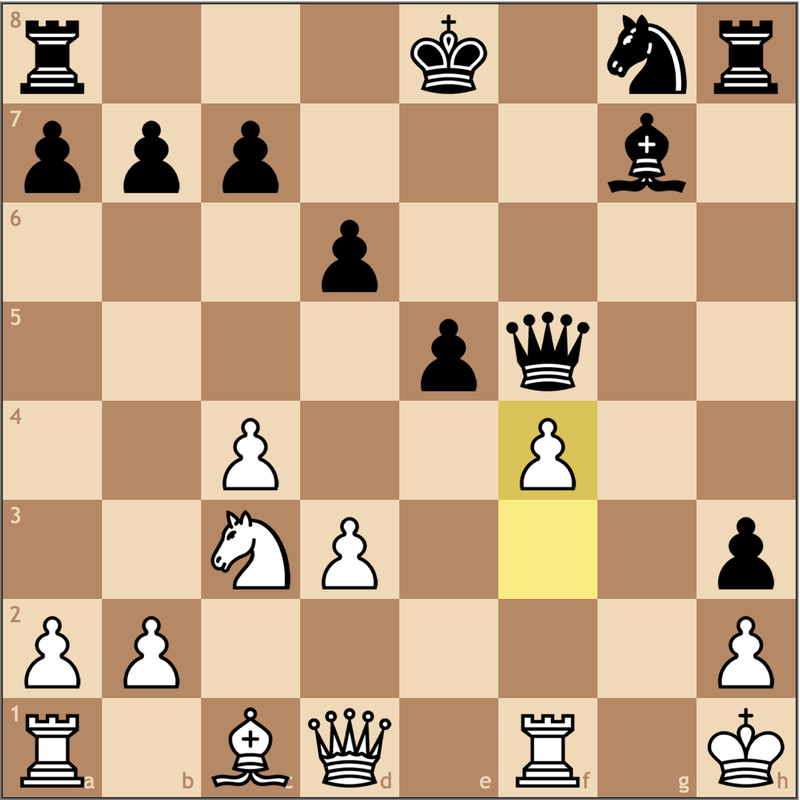 Black’s limited development makes it extremely difficult to mobilize his forces, but I think Black’s best plan is follow-up with a …c5-c4 push, with the idea of placing a knight on c5 pressuring d3. Simply too slow. 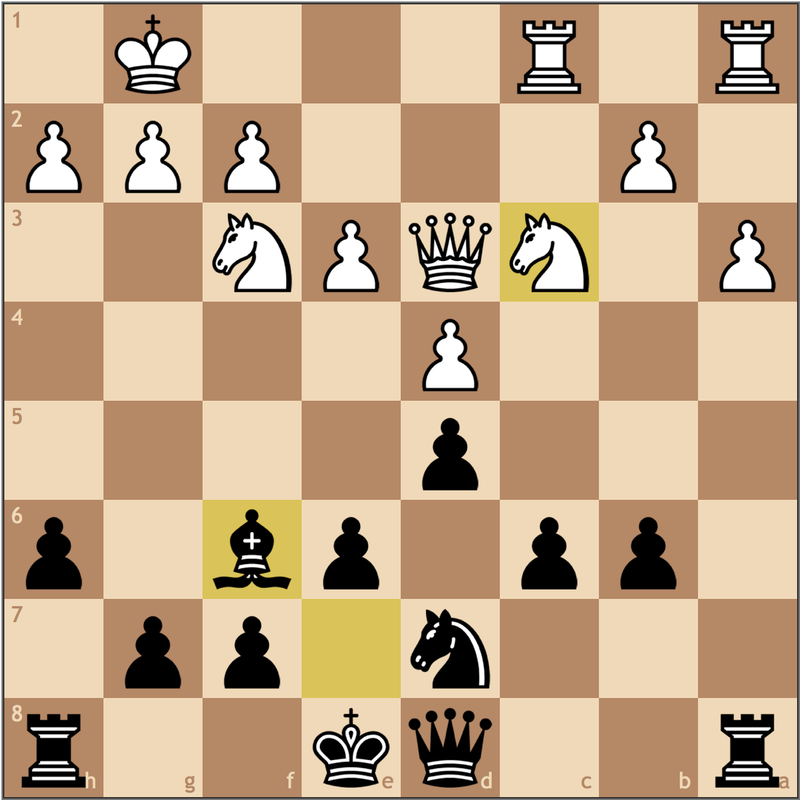 Black has no time and must act with 19…c4. 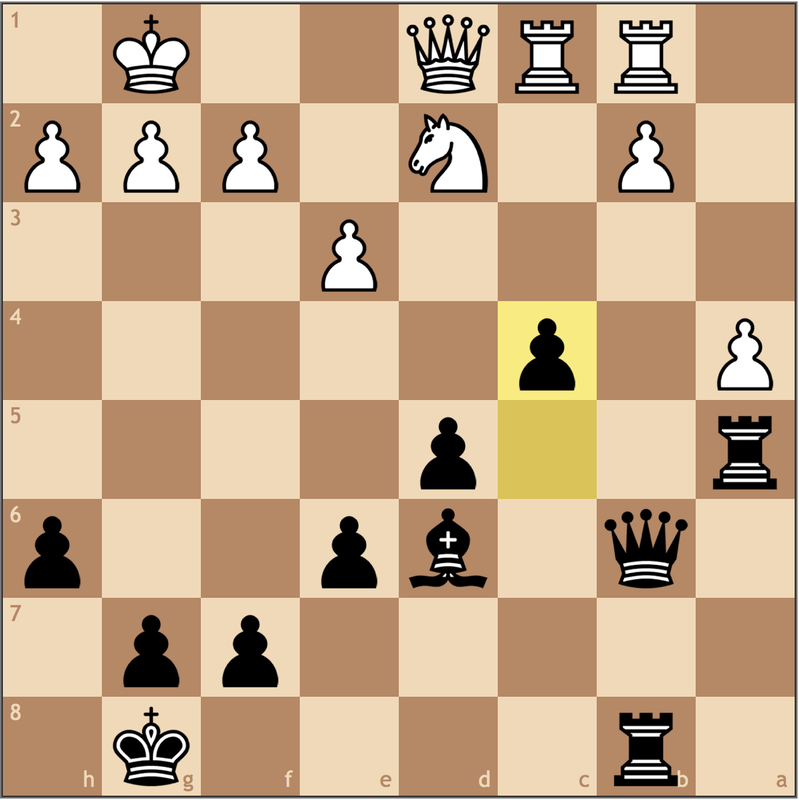 My guess is that Black was afraid of 20. Qb4, but 20… Ba6 21. dxc4?! Bf8 22. 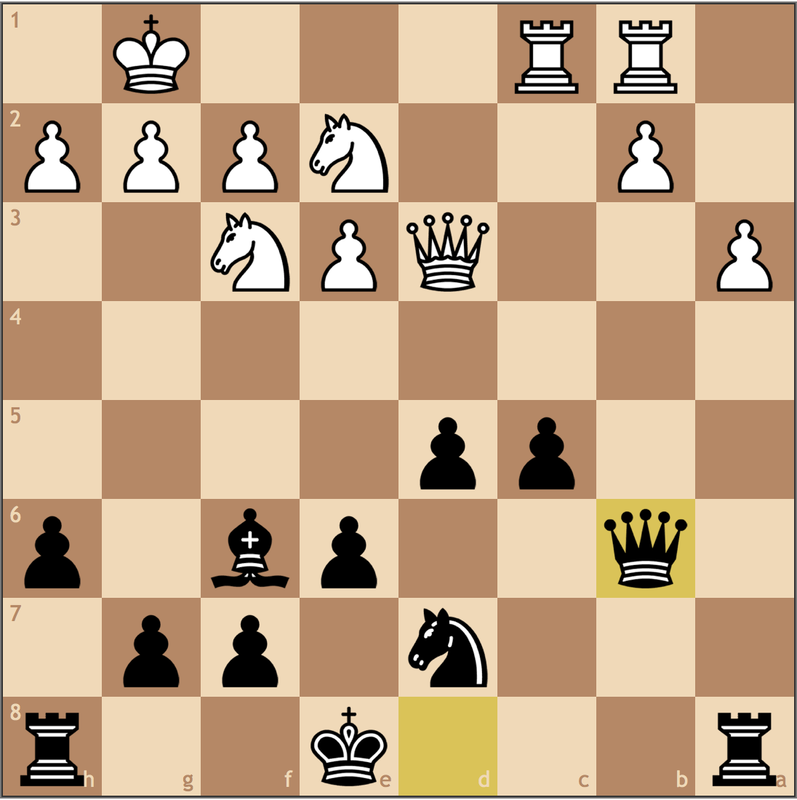 Qe1 bxc4 it becomes clear that this would only help Black mobilize his army. Following the sample line. Black is arguably better here with the strong a6 bishop, and the f8 bishop ready to come into c5. 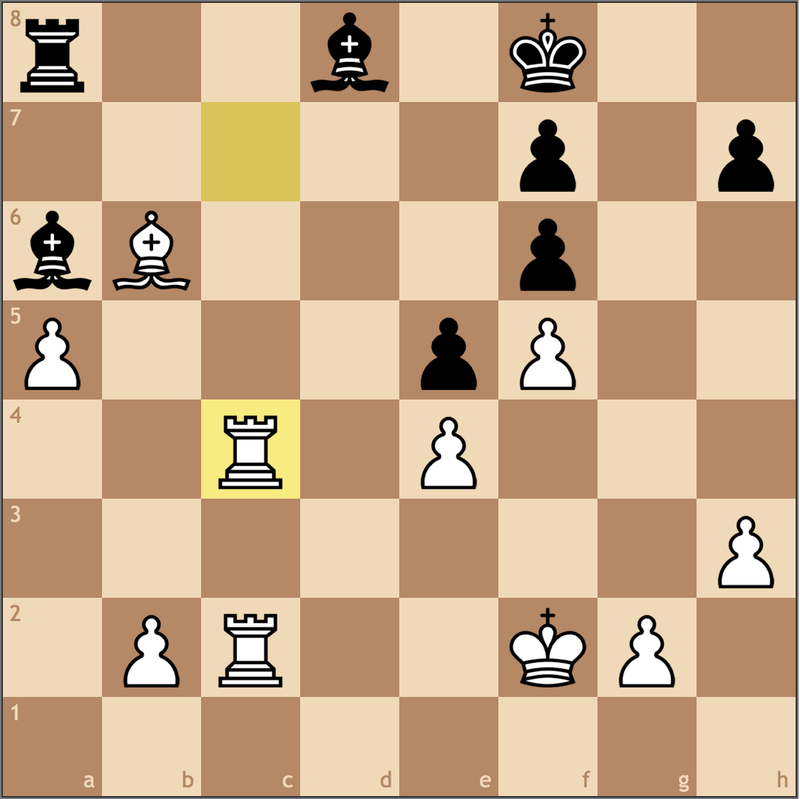 Obviously, White had much better in 20. Bf3. And my chief concern becomes the threat of g4-g5. 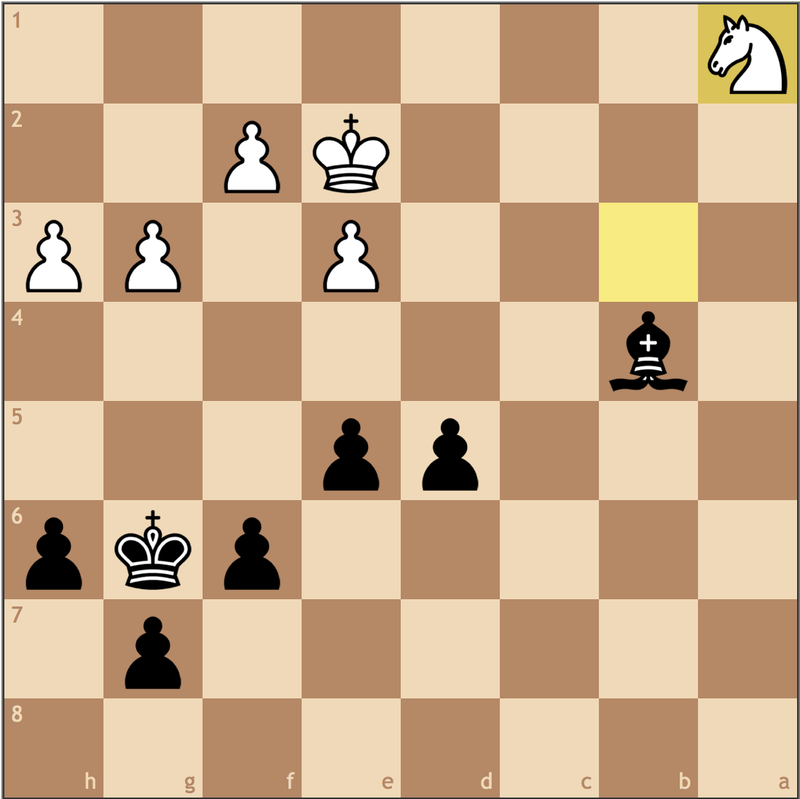 My proposed move doesn’t really give Black an answer, but neither did the text’s move. 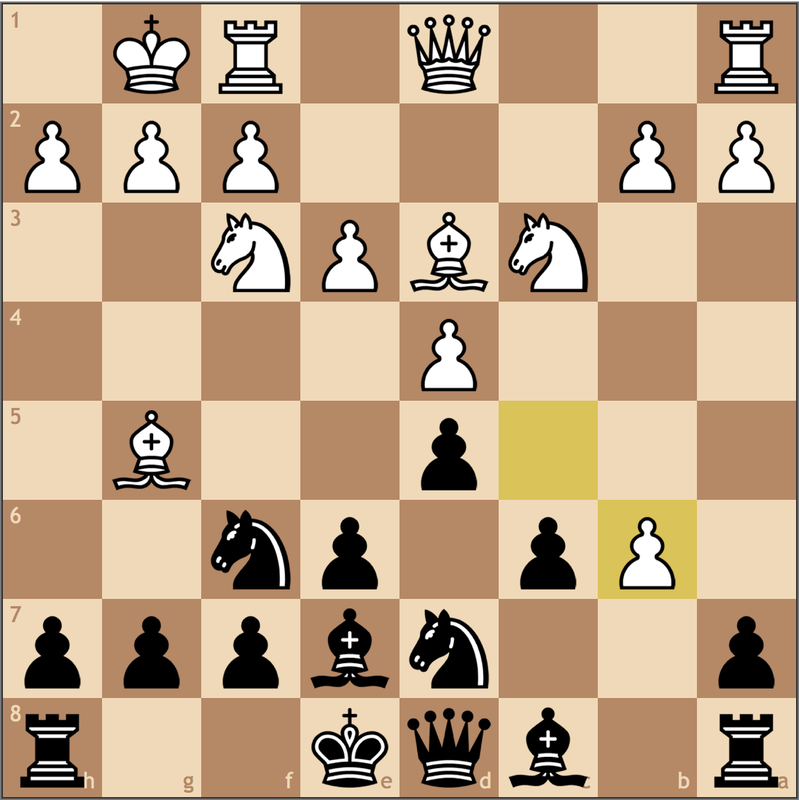 With Black already this far behind, it’s fair to believe Black is strategically, in large part to the idea of Nb6. 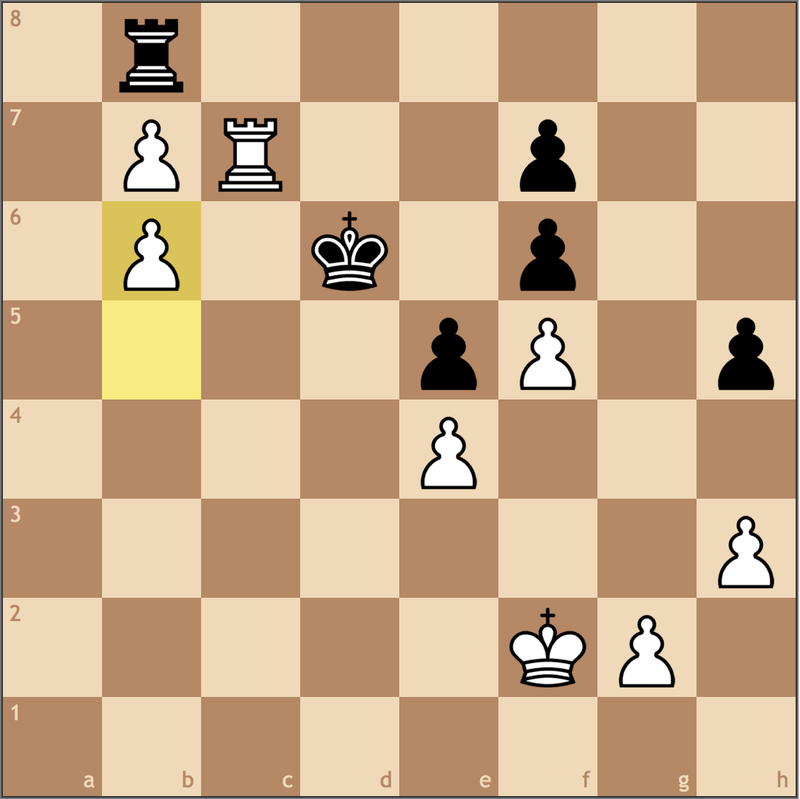 Black gives up material instead of …Nh5. This doesn’t bode well for Black. 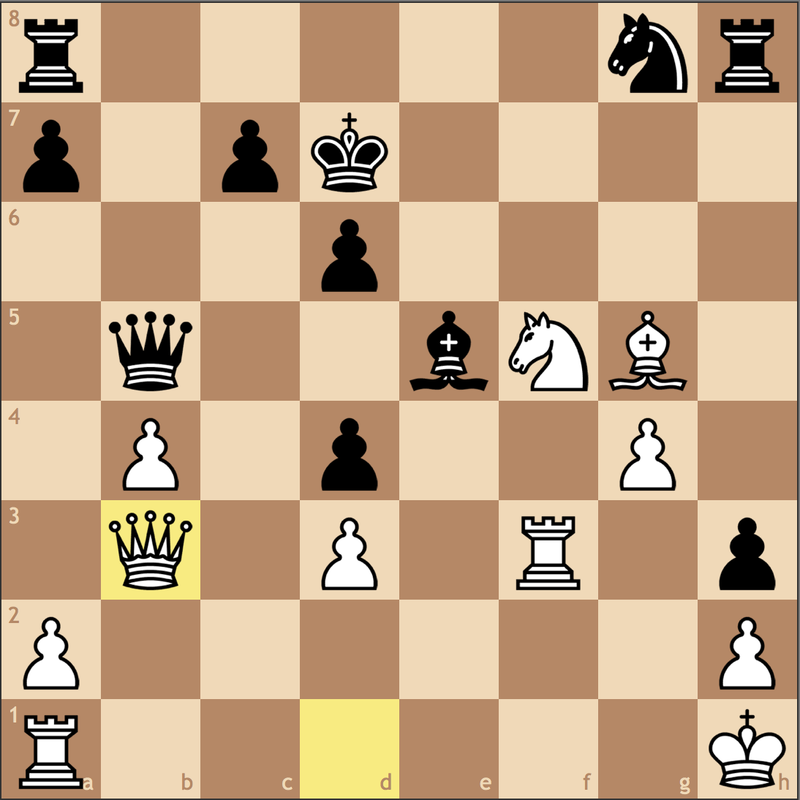 19.Bxe4 Rb8 20.Ng3 Bb7 21.Bd2! A very practical decision by Jeffrey. 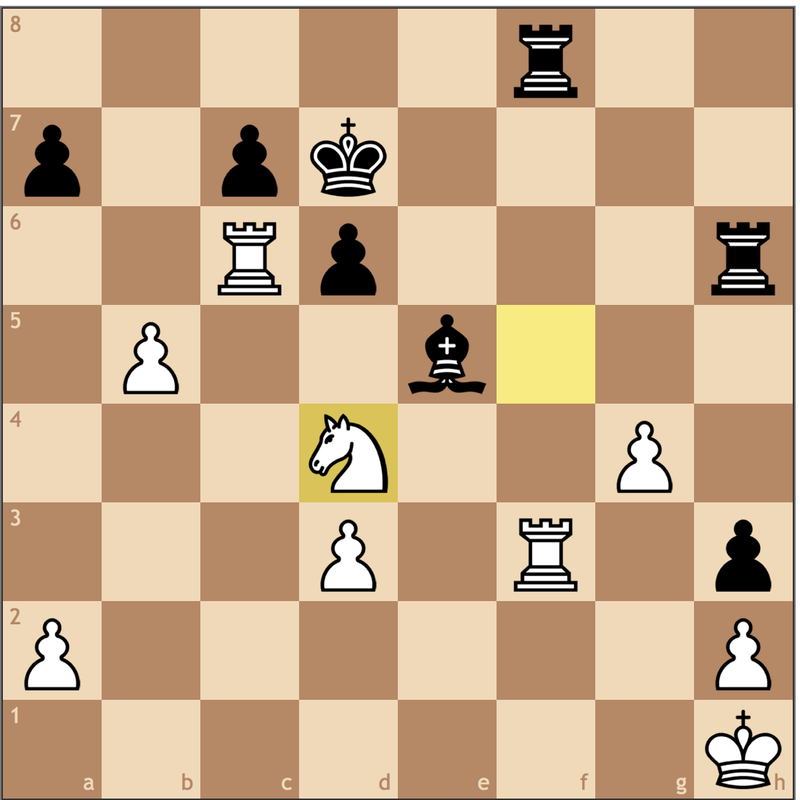 Instead of rushing manners on the kingside, he maximizes the overall optimization of his pieces before going in for the kill. Now the rook on a1 can join the fight. 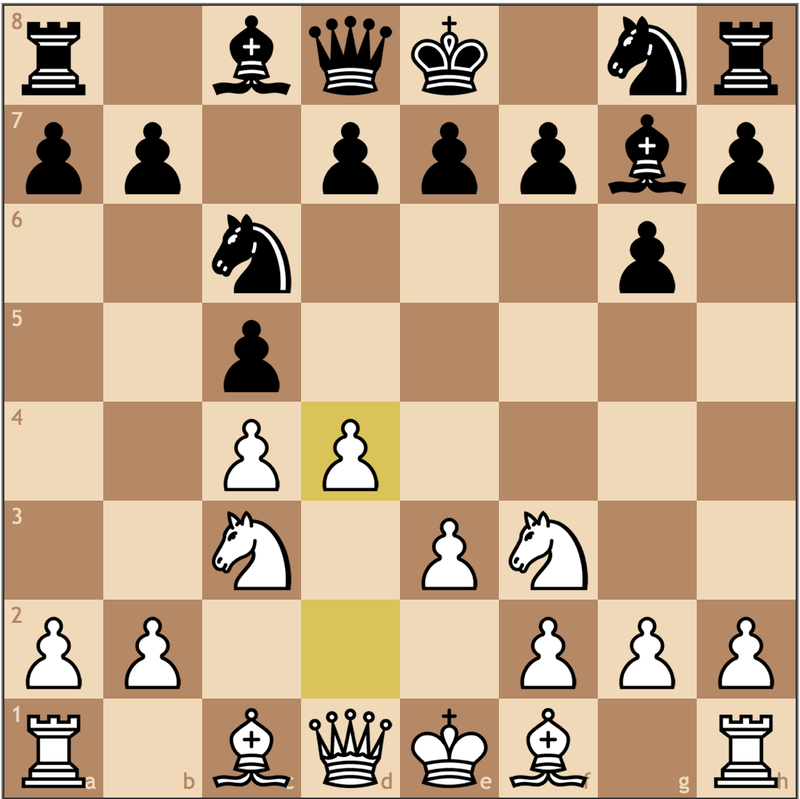 This is a great way to save time on the clock and maintain pressure over the board. 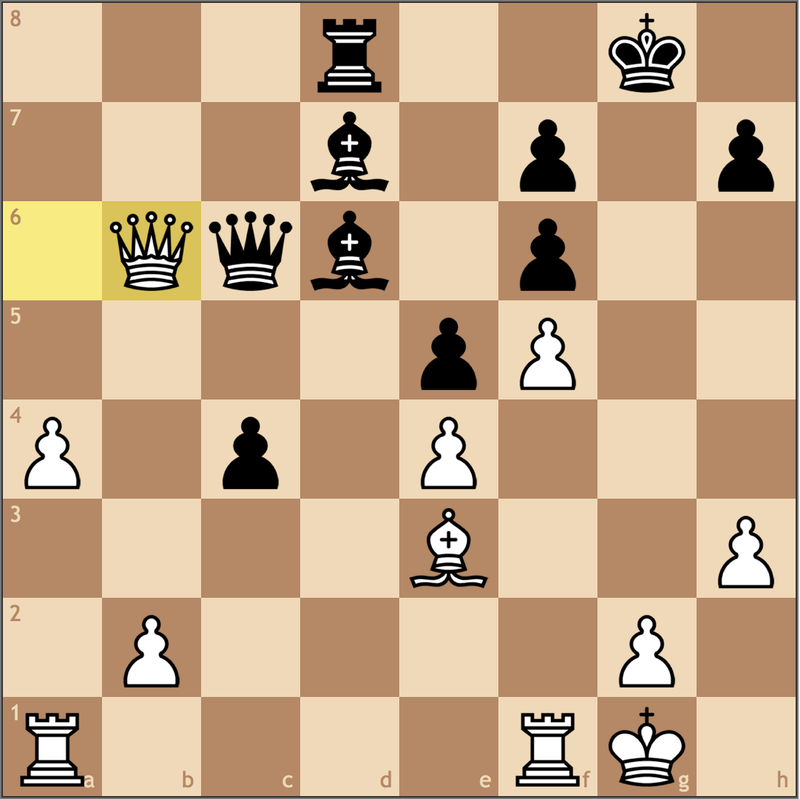 21…Bxe4 22.Nxe4 Qc6 23.Qg3 c4 24.Bb4 Bf8 25.Bxf8 Rxf8 26.f6? Trying to do too much. 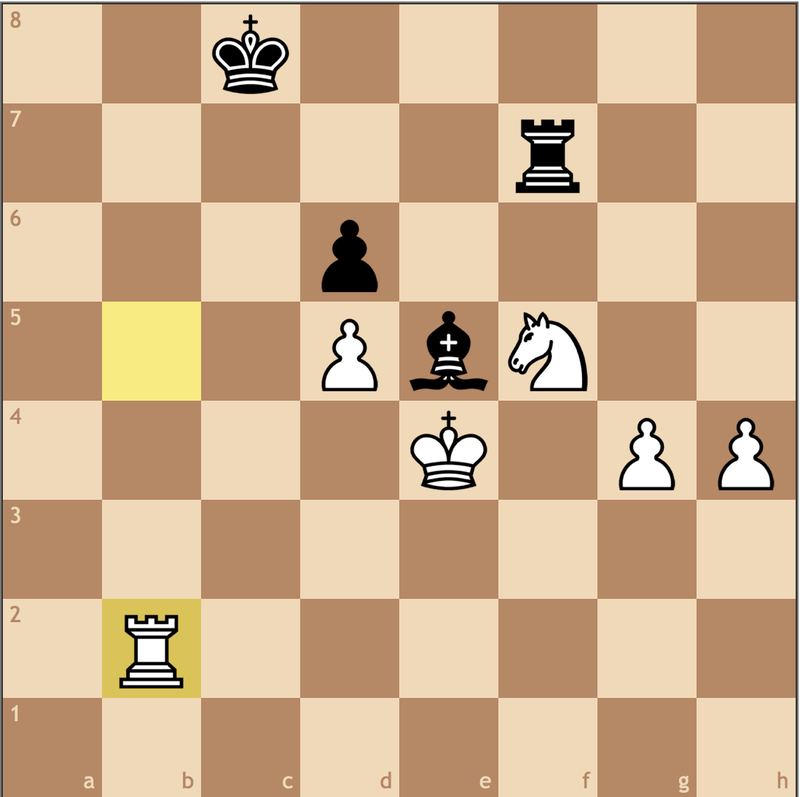 White is better because of material, but this move slows his ability to win. 26. 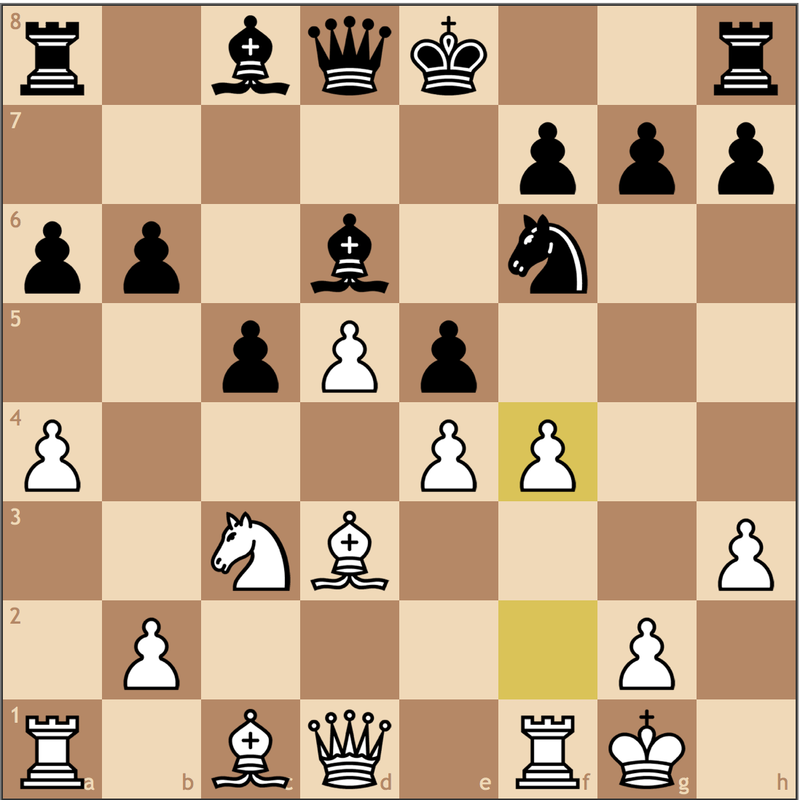 Nf6+! 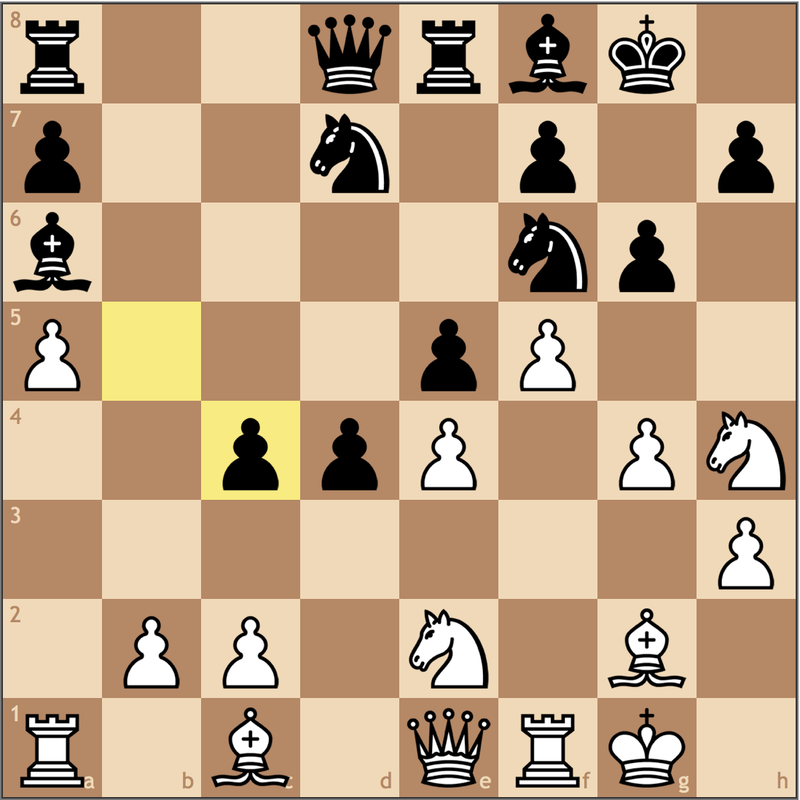 was a lot more simple, the idea being that 26… Nxf6 27. gxf6 Qxf6 28. fxg6, and Black’s queen and king are both under fire. 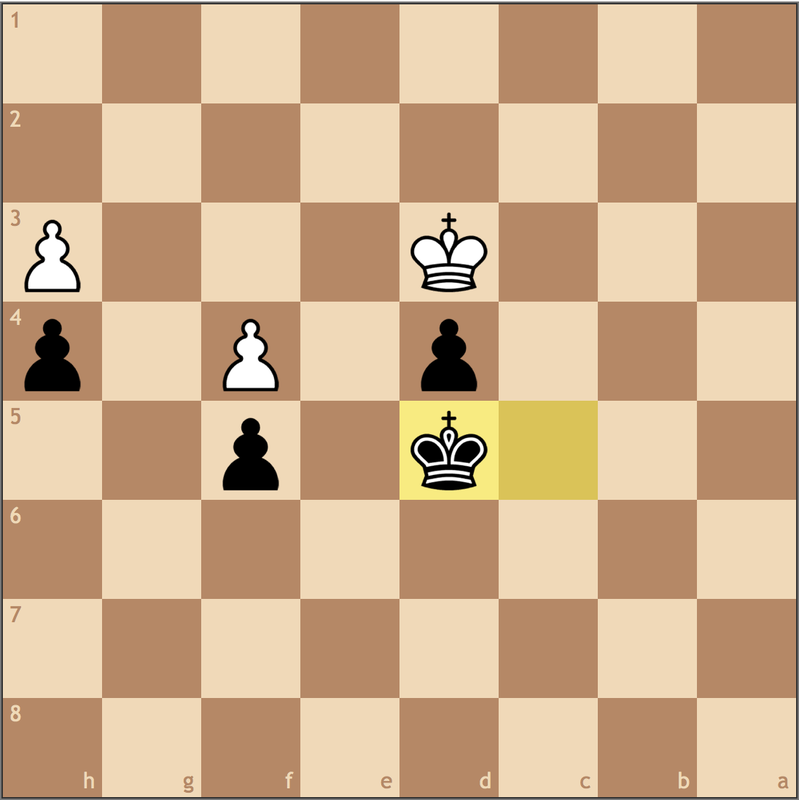 Black is lost. 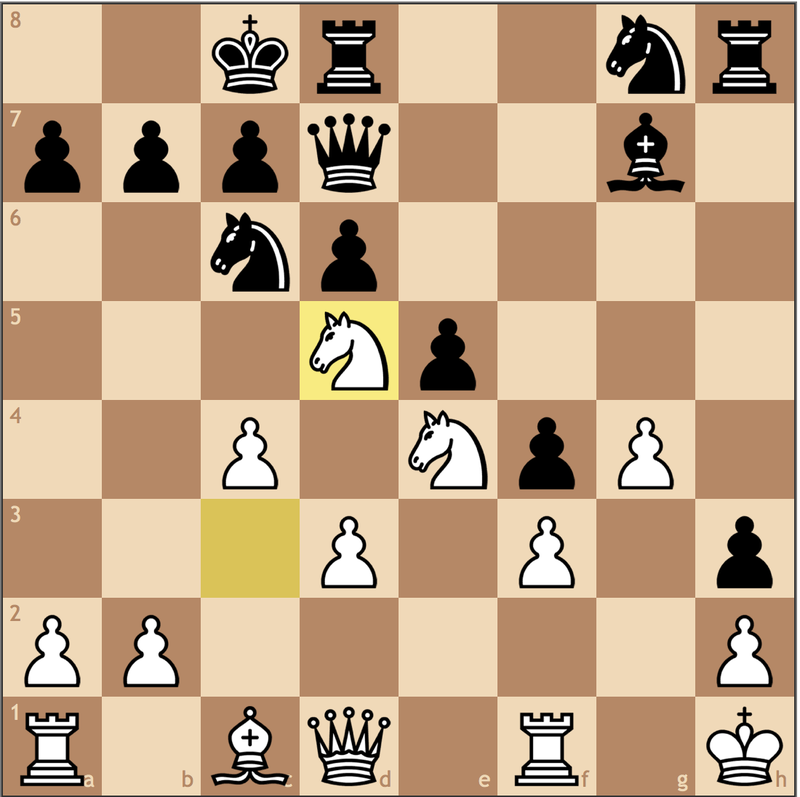 From f6, White’s knight is untouchable in the combination, and should Black not capture it, White will bring in his rooks to the kingside before busting open the g-file. This is too much, not to mention the combination actually fails! The idea is that if 27… gxf5! 28. Rxf5 Kh8! 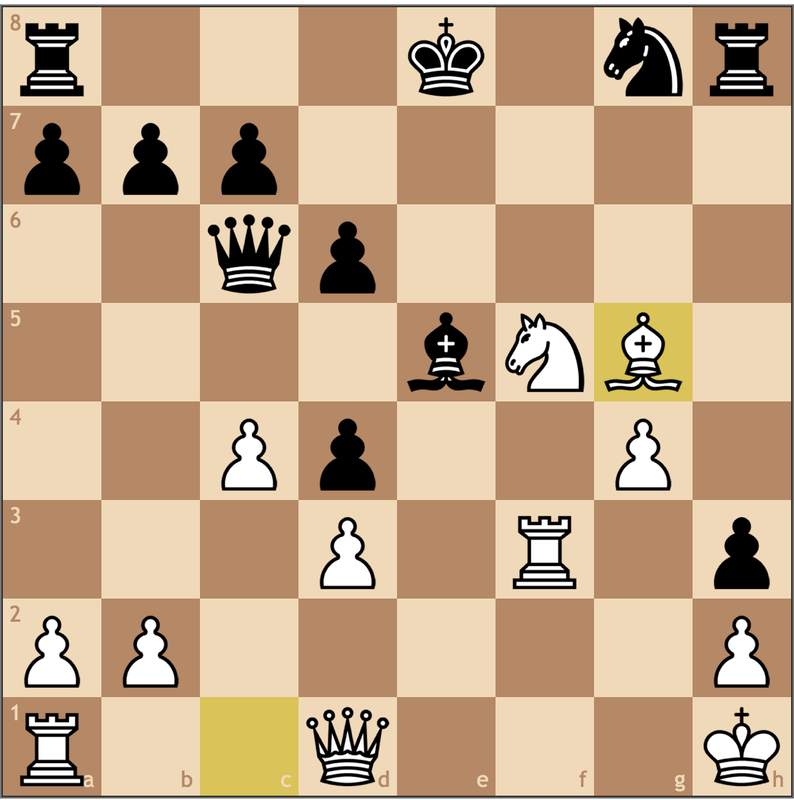 Black’s king is extremely safe, and after …Rf8-g8, White’s king could be under fire. 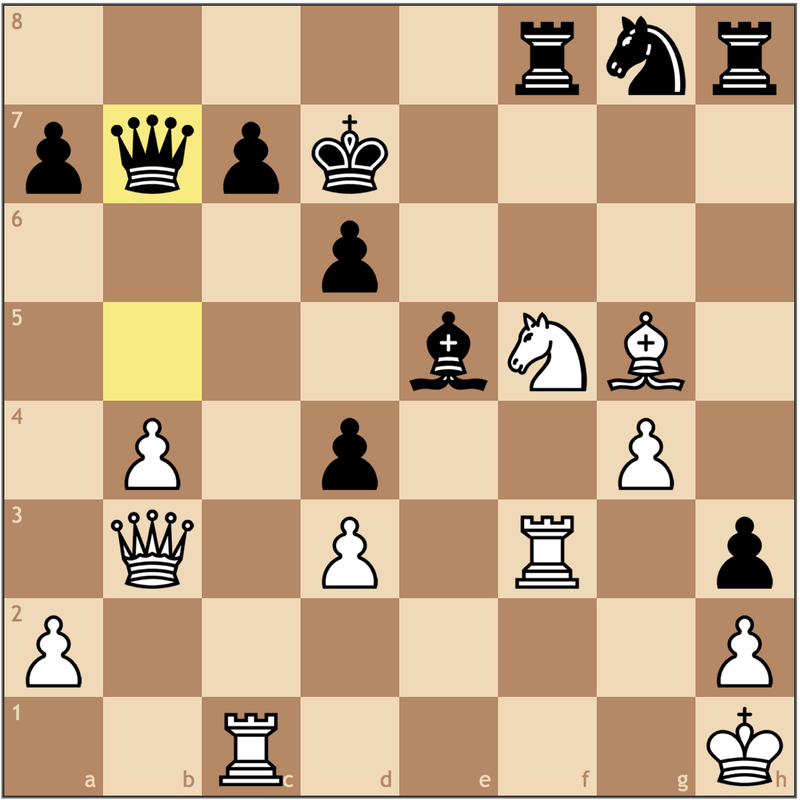 One of the reasons I didn’t like f5-f6 was that it makes it very difficult to attack Black’s king. 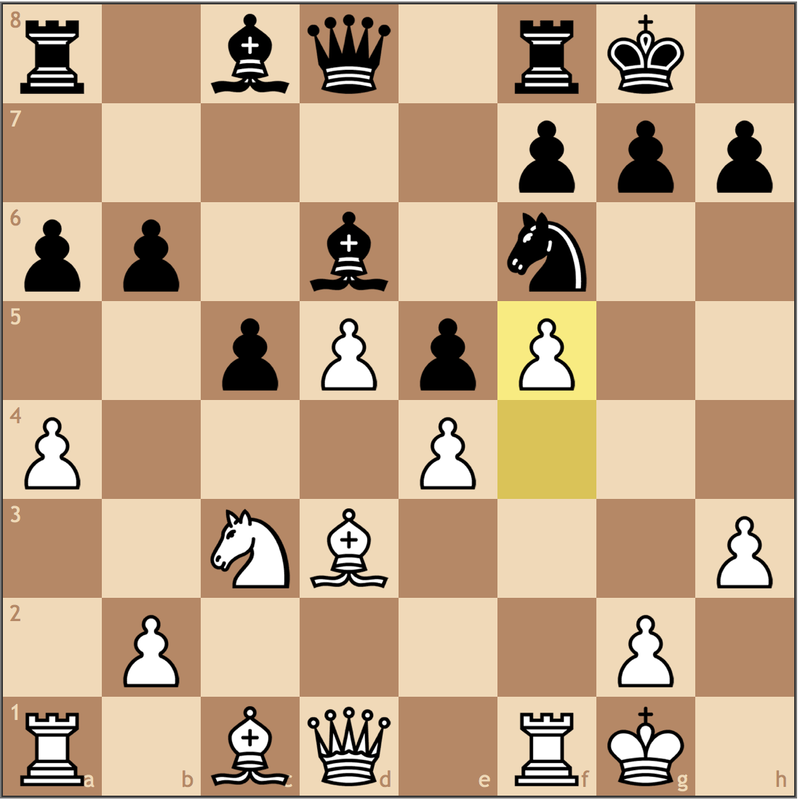 White doesn’t have many points of entry to the kingside aside from g7, and with the pawn on g4, it’s not quite clear how White will make progress. This diagram here is the structure if Black had taken on f5. As you can see, it’s not so simple to breakthrough. 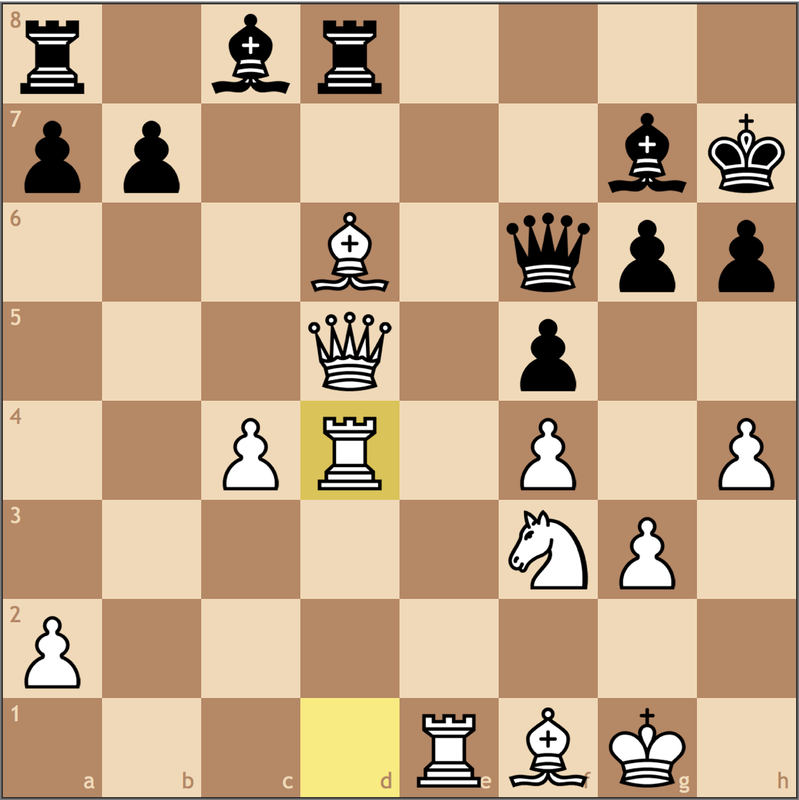 Sure White was up a piece anyways, but the f-pawn push followed by …Nf5 was a failure of tactical foresight. 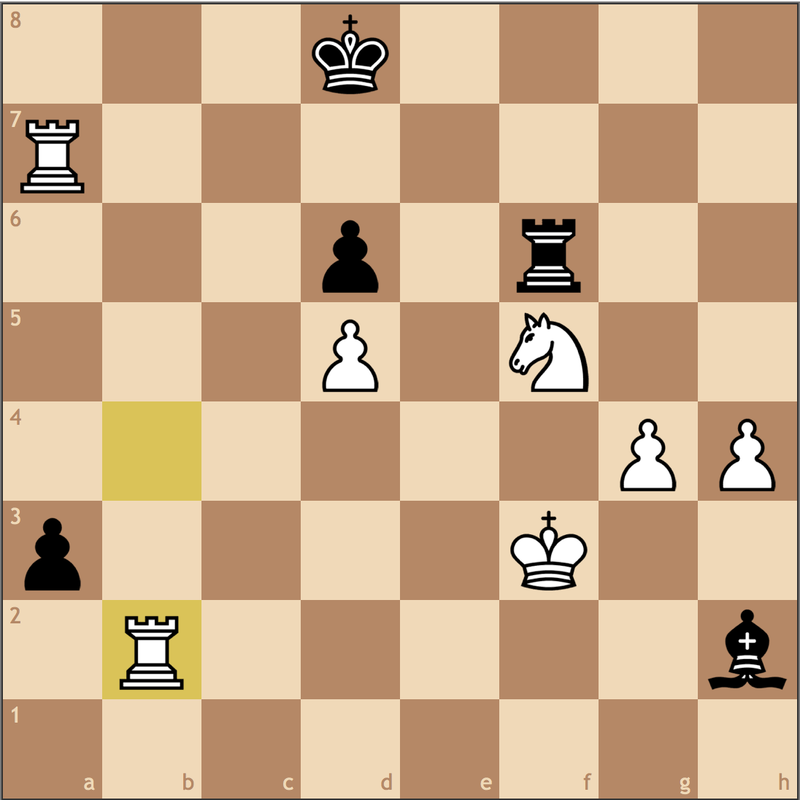 Out of frustration, Black gives up the rook, and in doing so, the game. Of the three cases we’ve discussed today, this is the worst …Nb6, and while my student knows much better now, I think it shows that even at the 1400 level, this move still shows up. If we’ve learned anything today, it’s that this amateur-ish …Nb6 idea is not only a weak move, but its a bad plan! 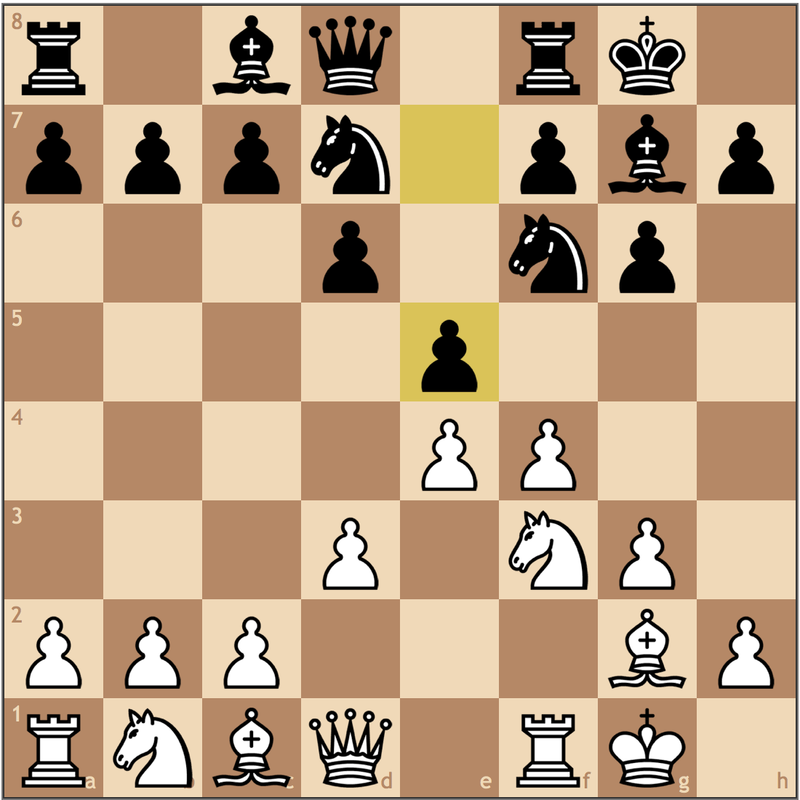 It’s passive, and it slows the natural expansion of the queenside for Black. 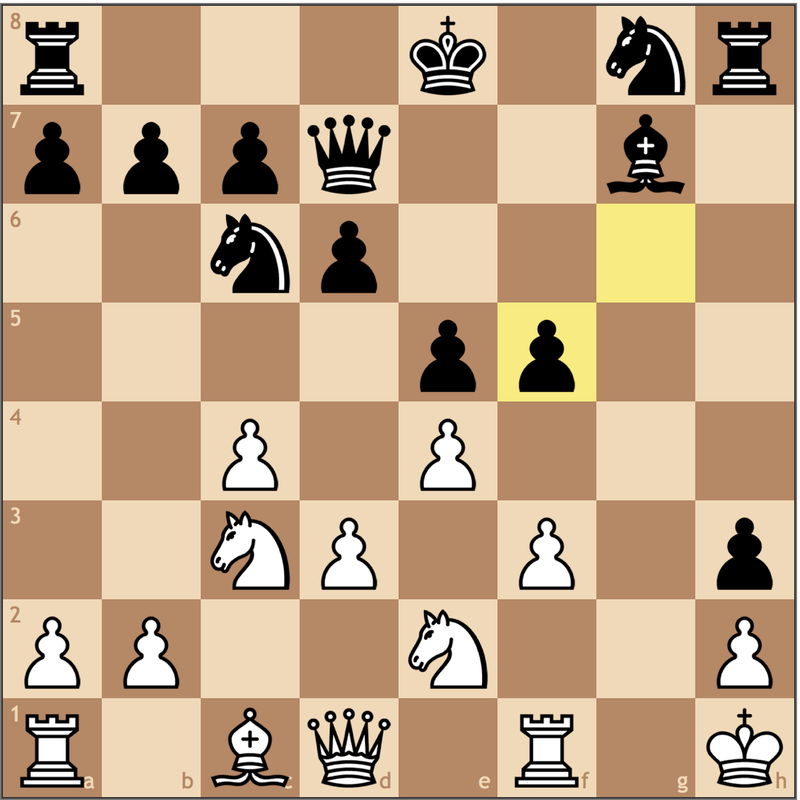 In more active openings like the King’s Indian, this move is even more unforgiveable since Black falls behind too many tempo in the sharp position. Well, I hope you’ve made it this far – this is my longest free game analysis post yet. 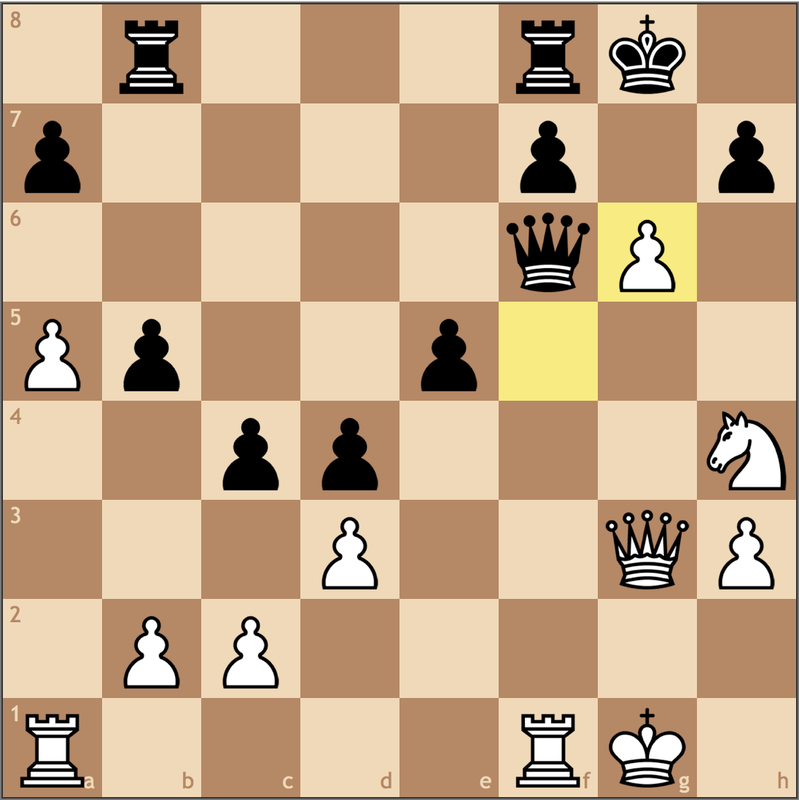 Make sure to send your games into chess.summit@gmail.com to have your game analyzed by me in my next post! Check out my video for today! In this video, I reset my tactics trainer rating to 1200 and tried to bring it up as much as possible in 10 minutes. With the exception of a small slip up in the end, I was nearly perfect! See if you can do better by pausing the video before I try and solve each puzzle. 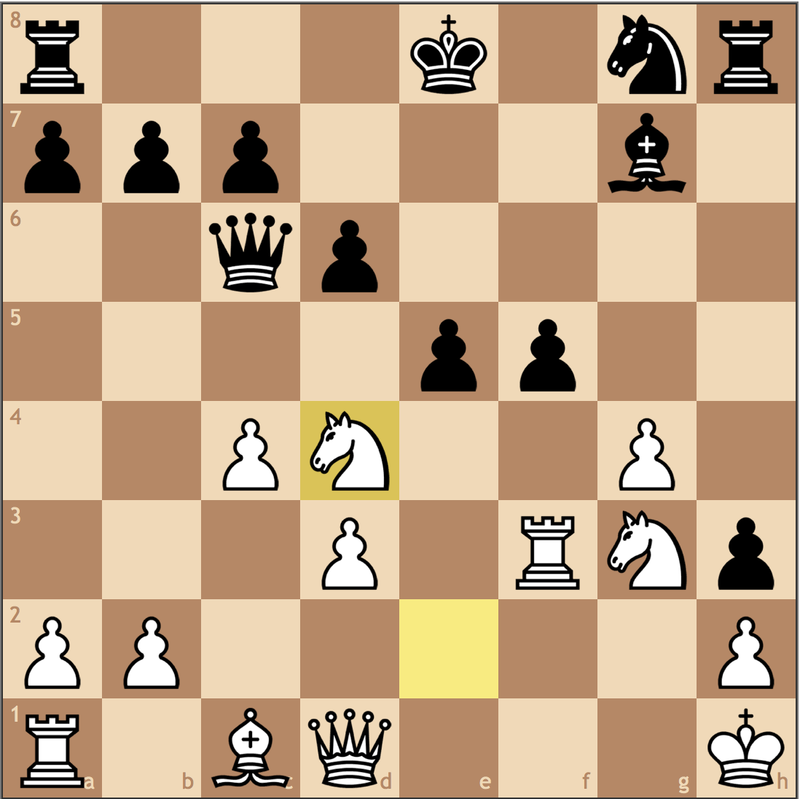 My first game had me on board 1, taking on Grandmaster Alexander Fishbein. 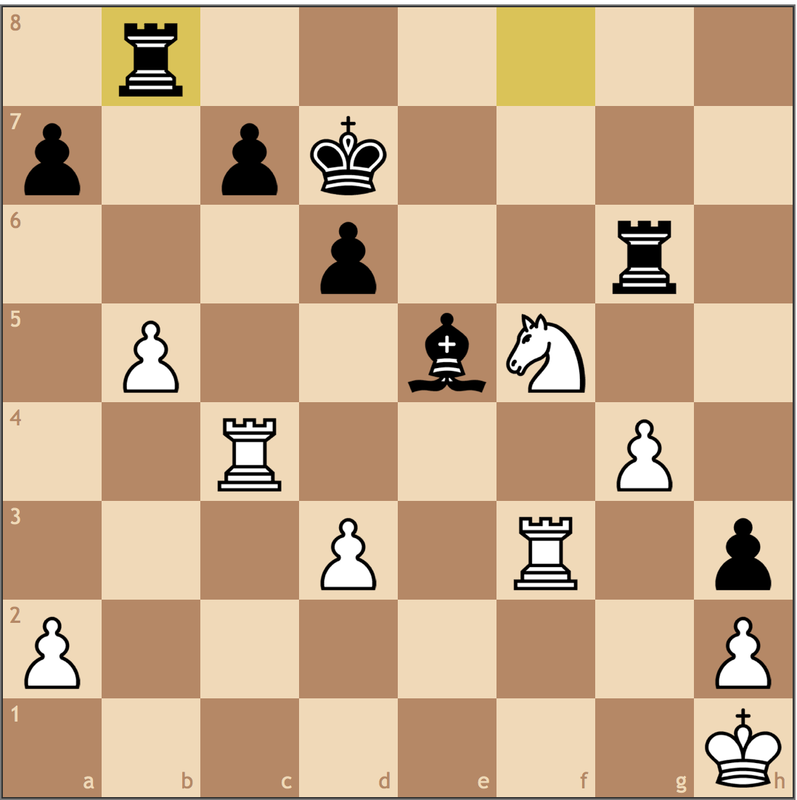 The game took five hours, and though I lost, it was a reasonably well-fought game on my behalf. 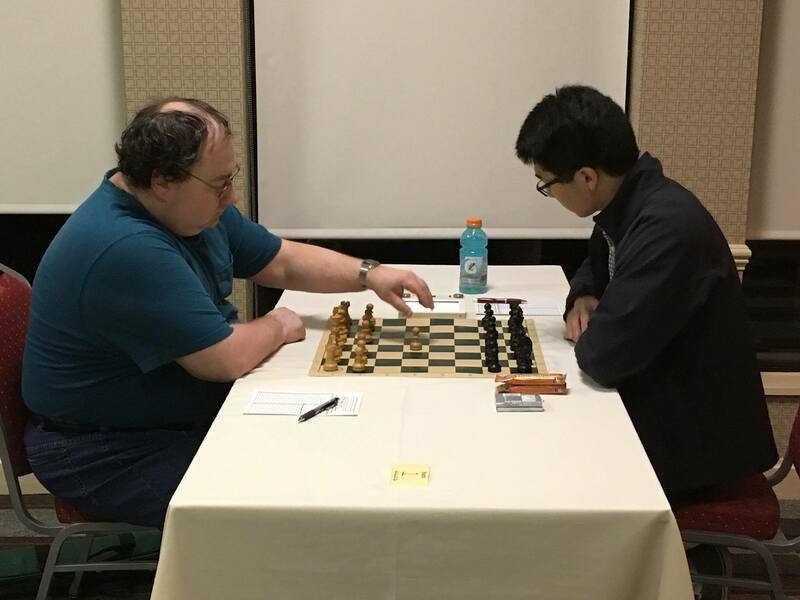 Well – I wish I could say that a week of intensive study and deep preparation paid off, but I simply had a rough outing at the Pittsburgh Open this past weekend. 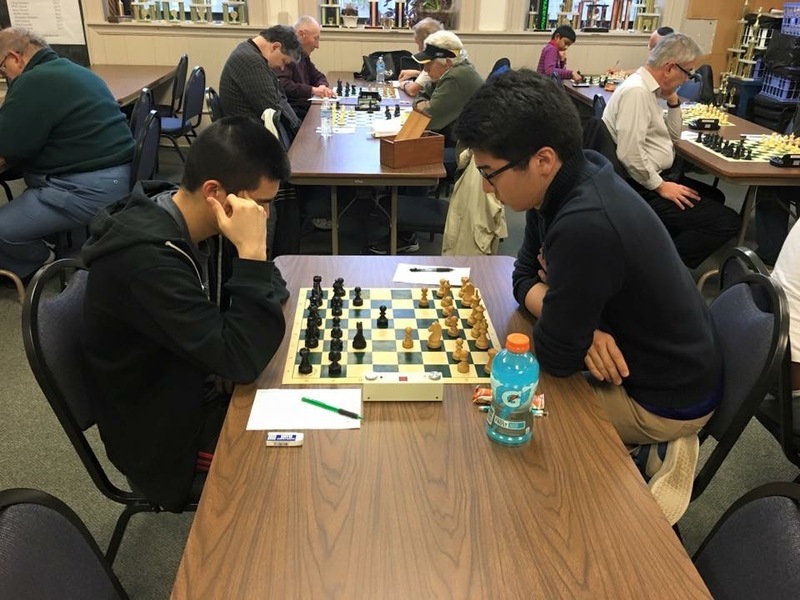 Only scoring 1/4 in the top section, the weekend’s performance showed me that the road to becoming a master and playing for the US Junior Open is a lot longer than I had anticipated. 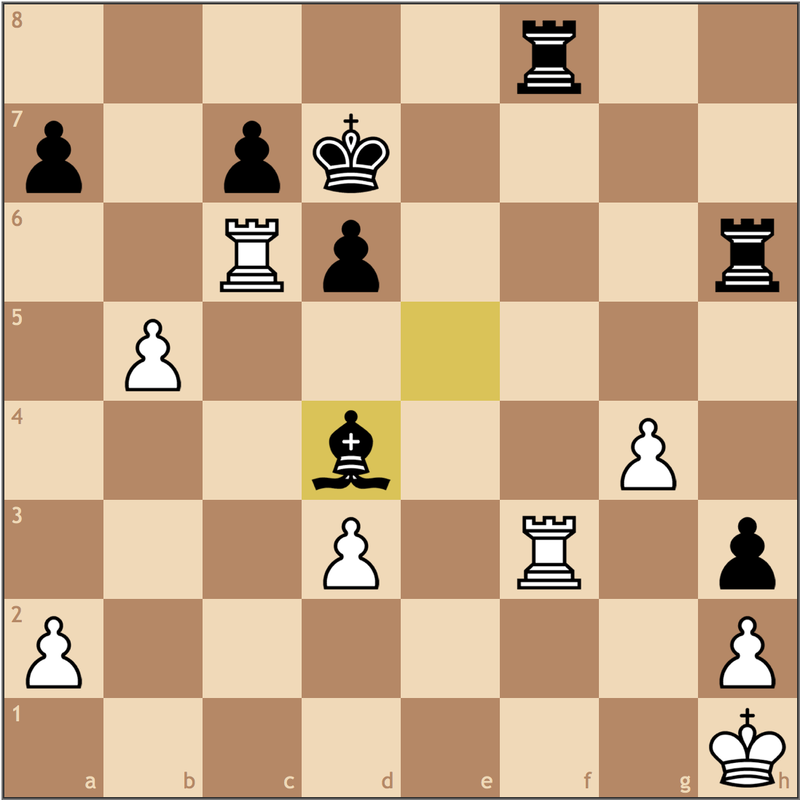 While there were a lot of negatives for me in this event, I did want to share my second round match-up. Once again I opted for this c4-d4-e3 set-up, it’s really easy to play since it’s mostly intuitive. 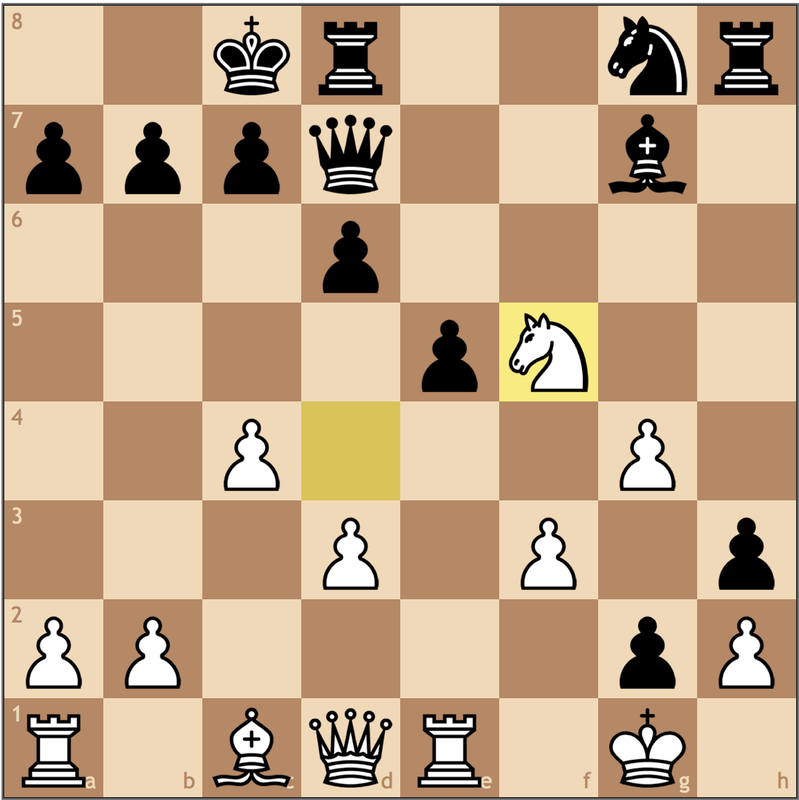 I knew my opponent can play the English, so going for this meant there was a greater chance he wasn’t familiar with the opening. 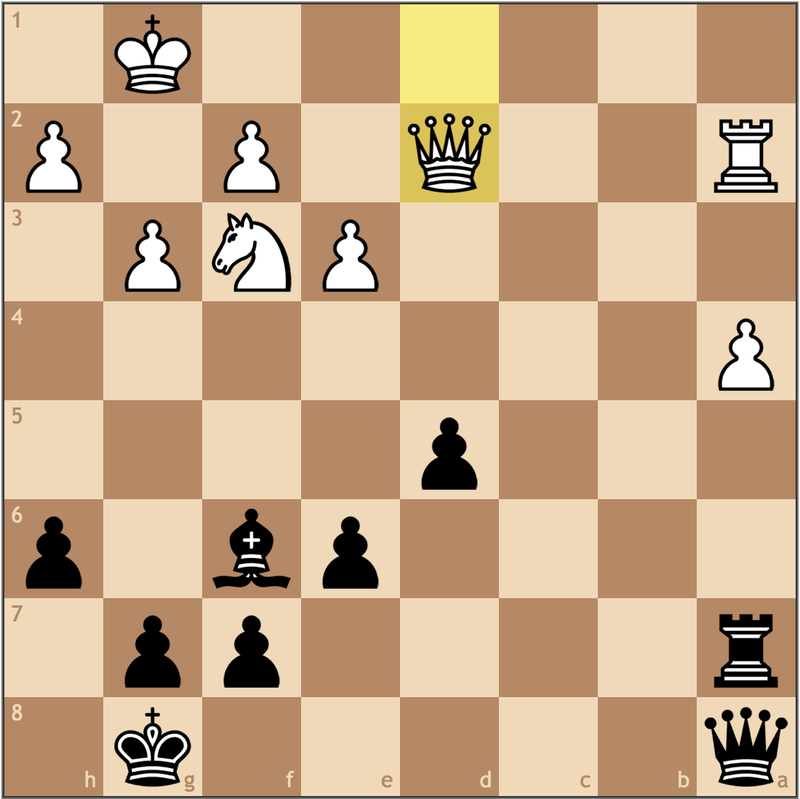 Already, I have vast central control, and it’s up to Black to come up with solutions. 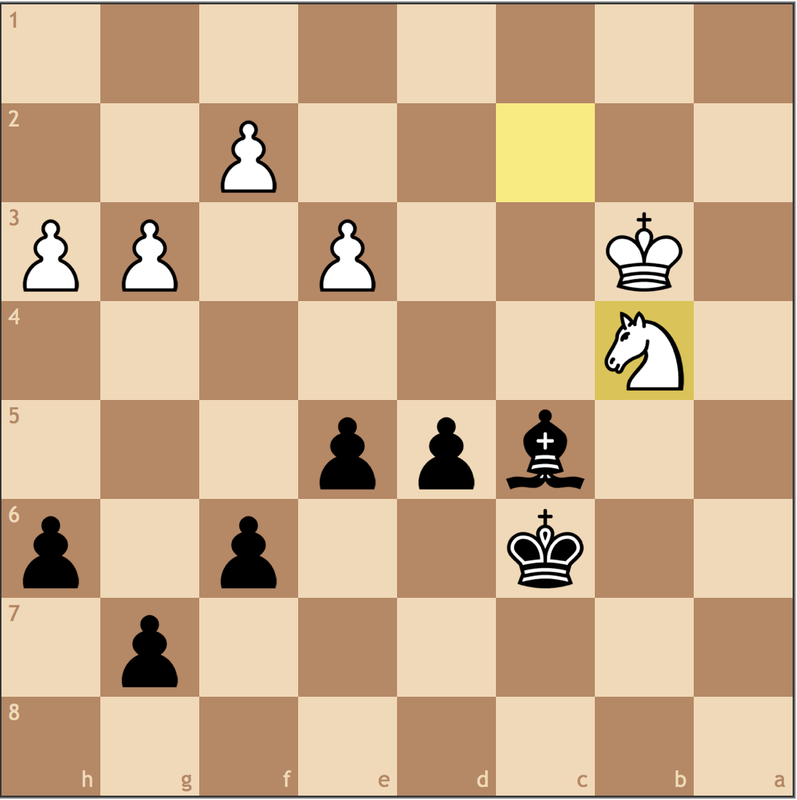 The computer already loves my position, since Black must now decide on an awkward knight move. 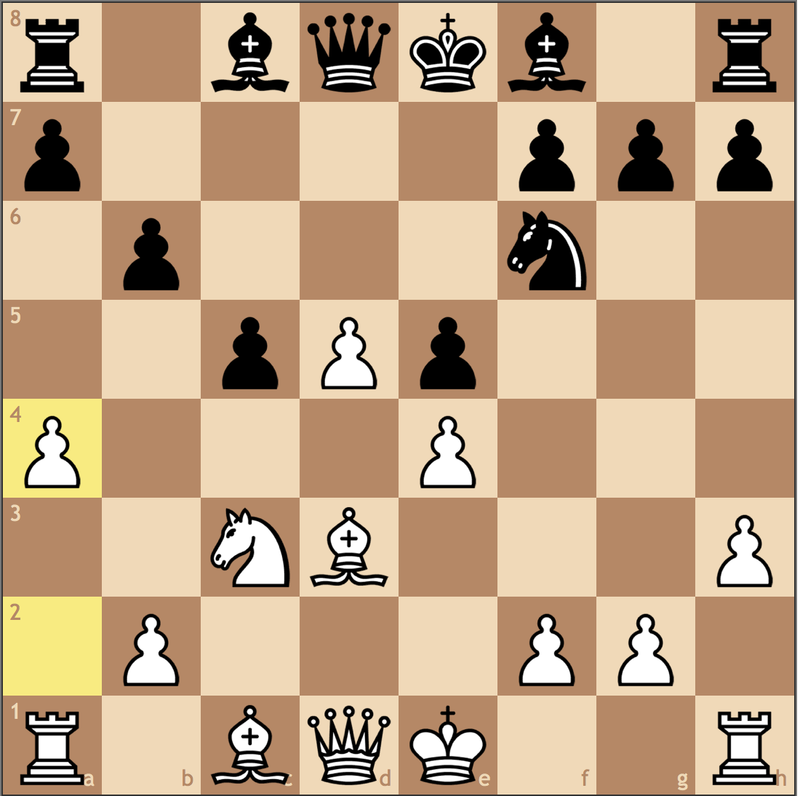 Willing to give up the bishop pair if it means provoking …f7-f6. I thought this was a good decision when compared to Bc2. 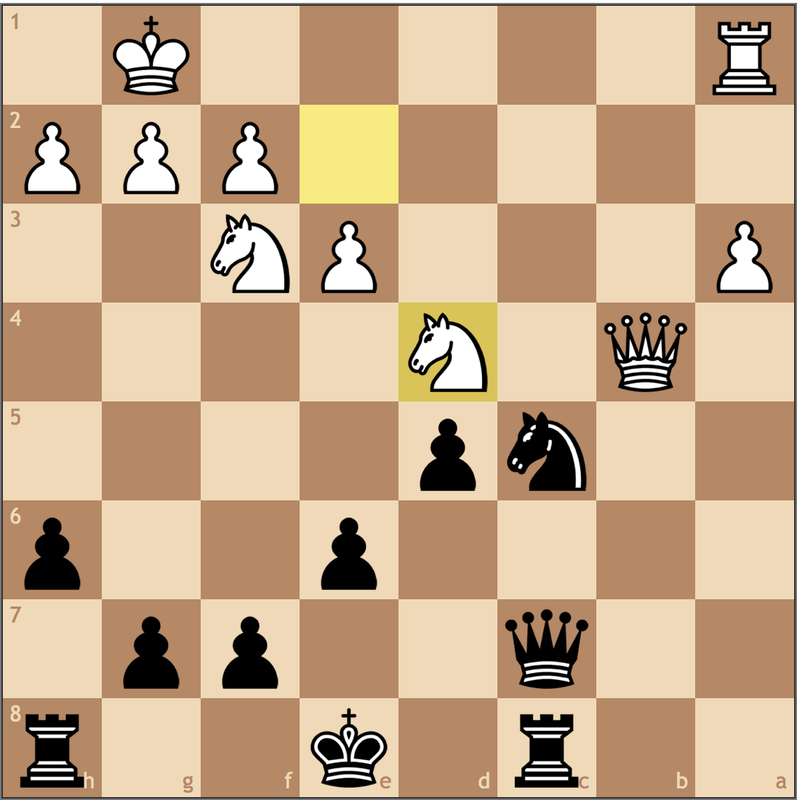 I decided that Black having a light squared bishop is inconvenient since going to f5 would block in the dark squared bishop, so going to c2 where a trade was possible wasn’t as appealing. 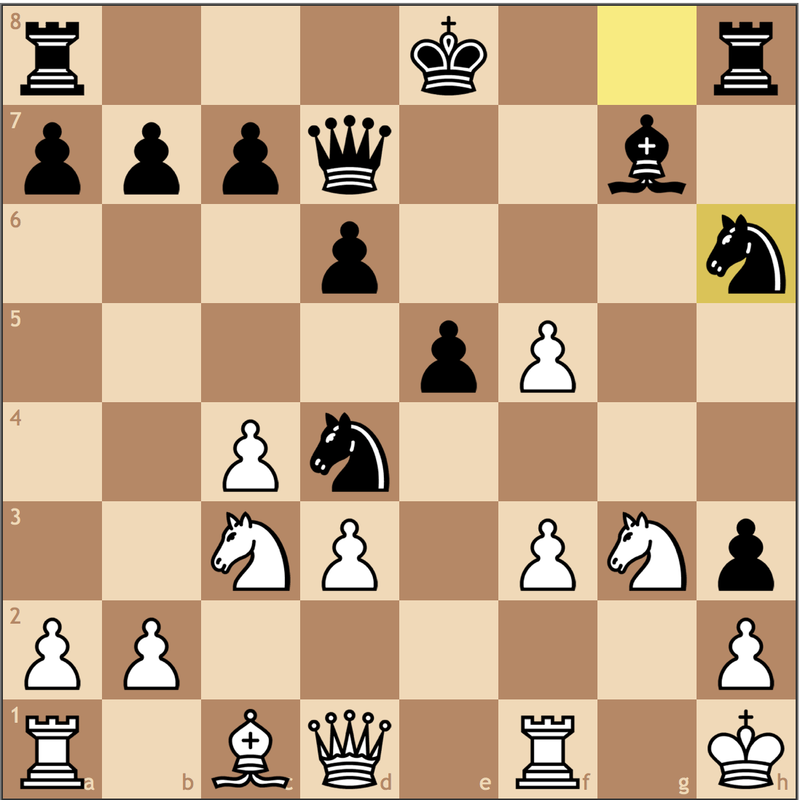 I was super happy when I saw this, I thought after 14… a5 then …Ne5, Black had a respectable position. Now the pawn on d6 is a major liability. 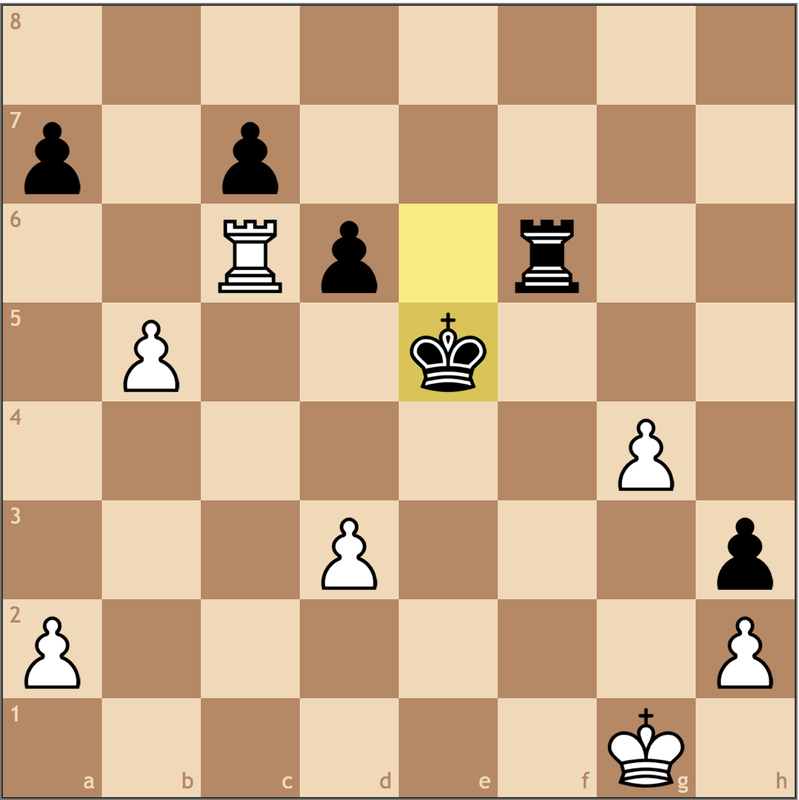 I will win the pawn on d6, so in this trade, I got an opportunity to claim the half-open b-file. 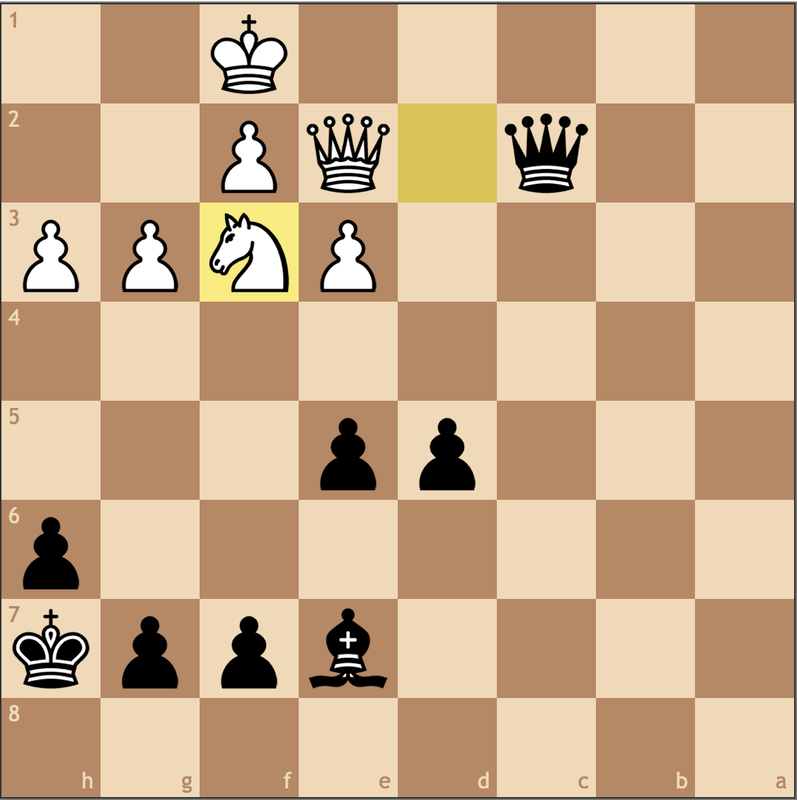 Black’s lack of development makes his position quite uncomfortable. And the initiative is all mine. 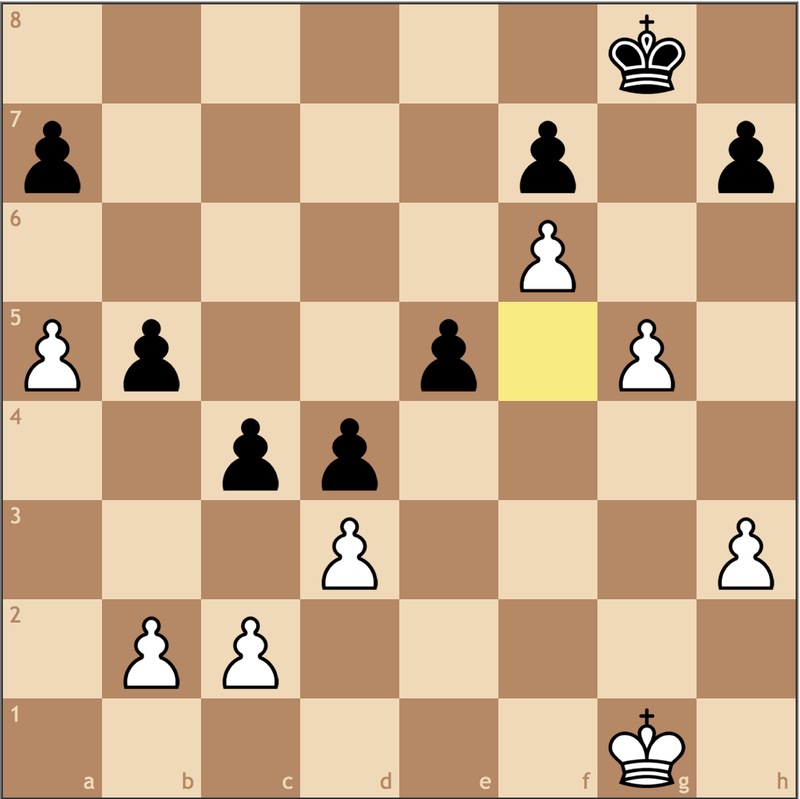 I had calculated 19… f4 (I suppose this was Black’s intention after f5), 20. Nxf7 Qxd1 21. Rbxd1 Rxf7 22. 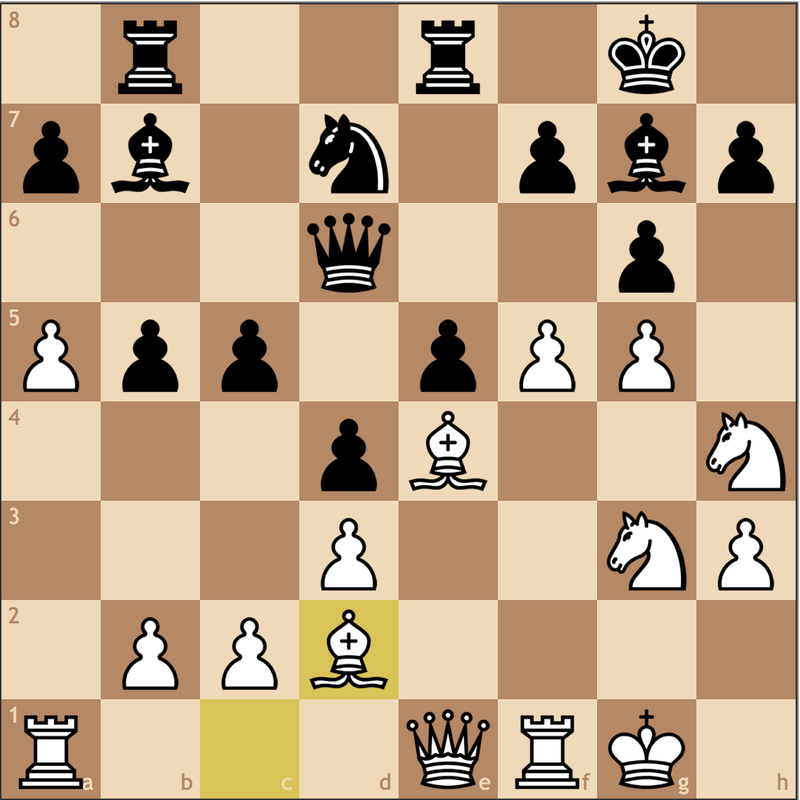 Rd6 and if 22… Re7 the f4 pawn is hanging and I have the option of 23. Ng5 and Black’s lack of development is a real problem. 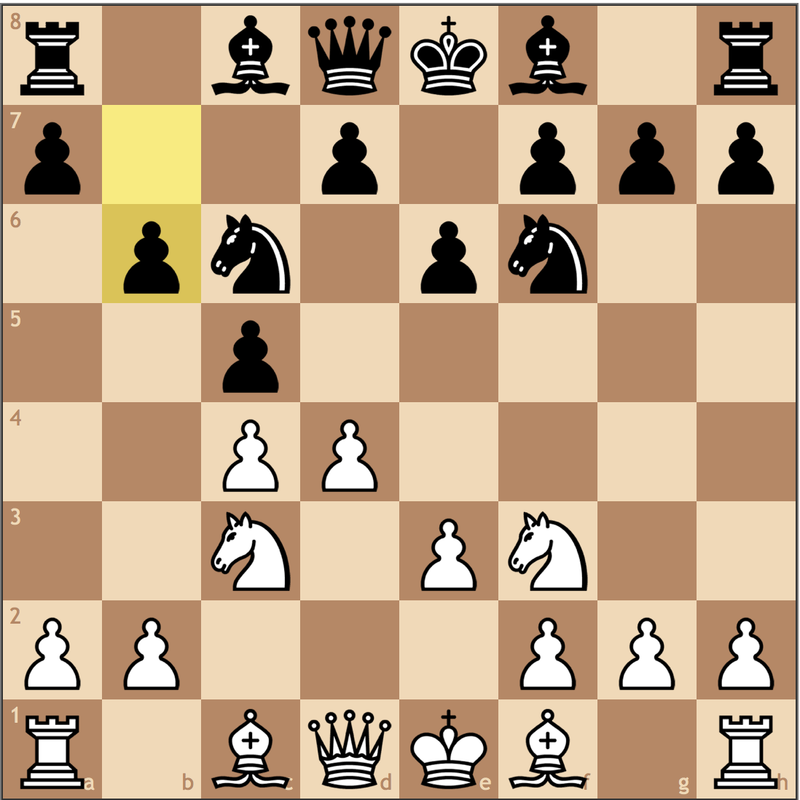 He didn’t play this the first time around, so I had prepared a fun line 23.. Qh5 24. Be2 Qxh3 25. Nf7+ Kg8 26. Ng5 Qh6 27. 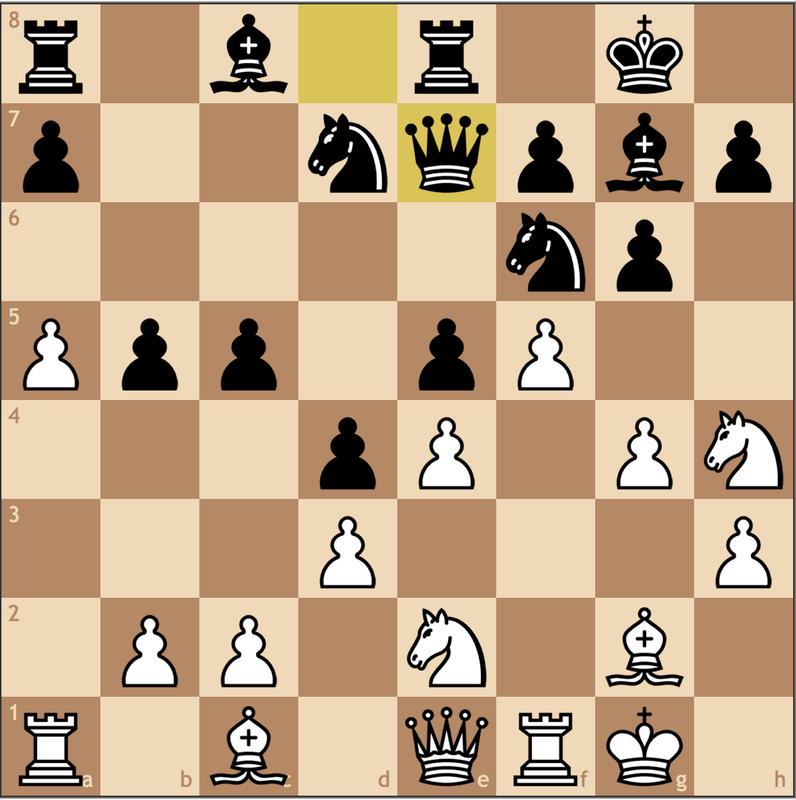 Bf4 and black is losing thanks to the pin on the knight and discovery soon to happen on the queen on h6. 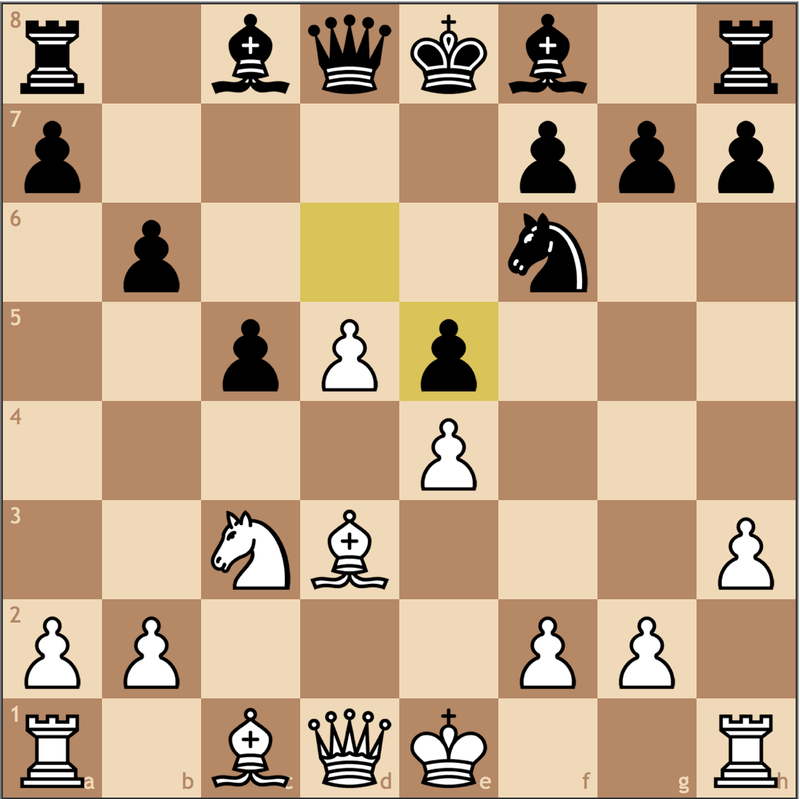 24.f4 h6 25.h4 Kh7 26.Nf3? Pressed for time, I made this mistake, which relieved too much pressure. 26. c5 is so much cleaner, since …g6-g5 isn’t really a problem. Once the h-file opens, I can just play Re1-e2-h2 and have a comfortable grip on the position. A mistake in mutual time trouble. 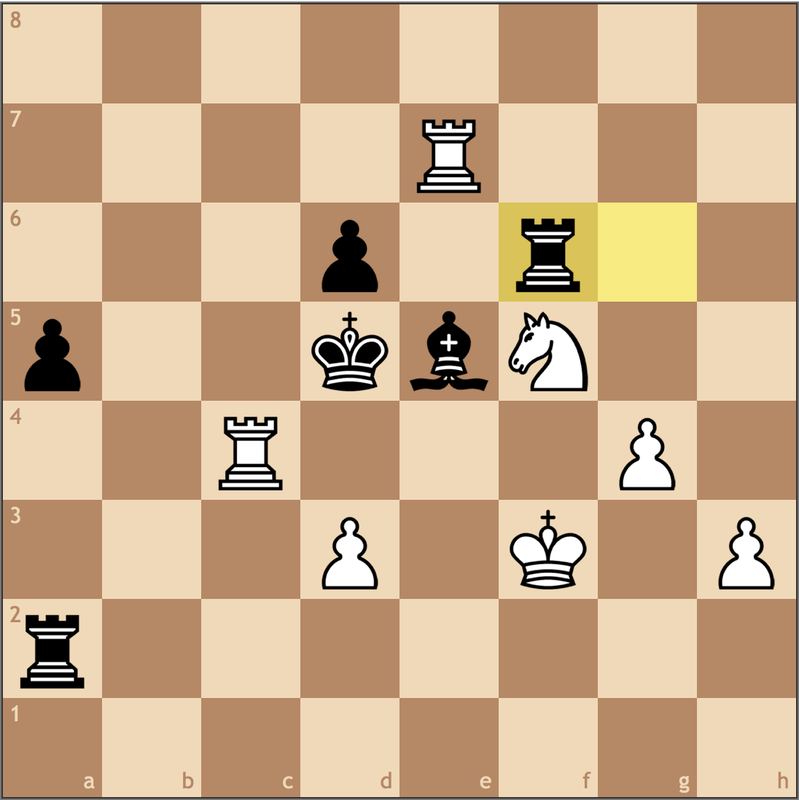 As you may have noticed, while the computer evaluation is roughly equal before the knight blunder, it is difficult to find constructive moves for Black. My only point of the weekend, but hopefully the short-term disappointment will lead to long-term success. I have a match for the Universtiy of Pittsburgh in two weeks, and I don’t intend to let that one go.